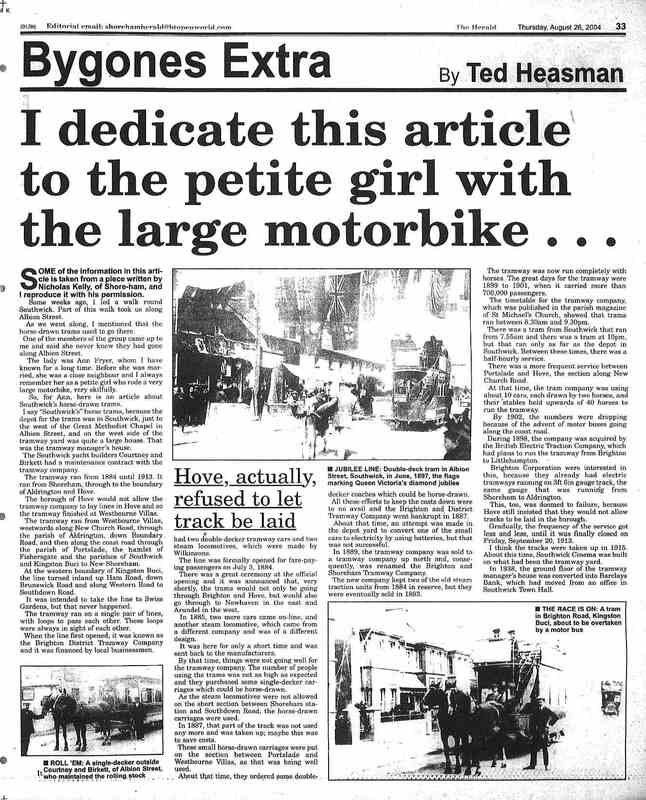 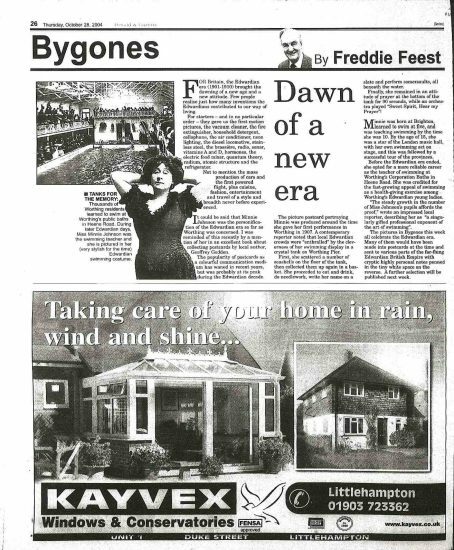 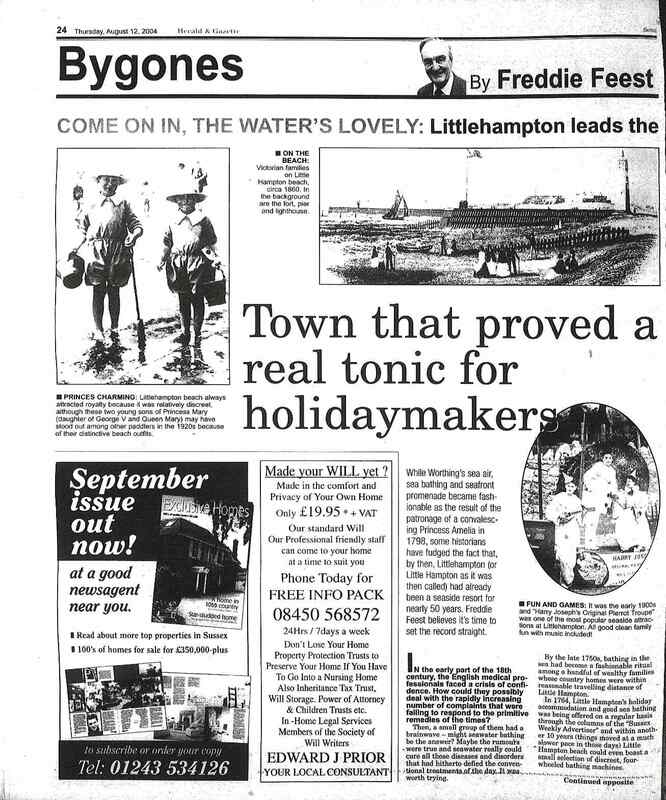 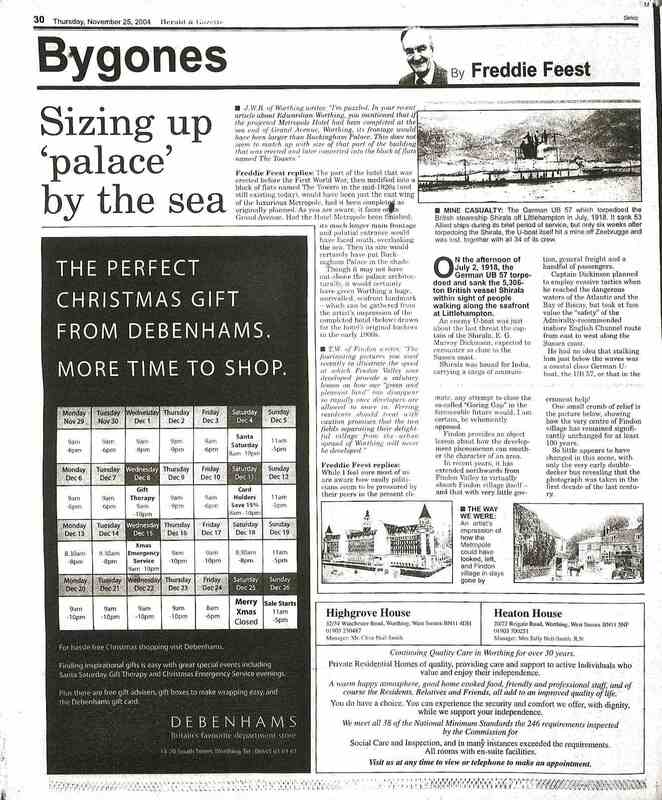 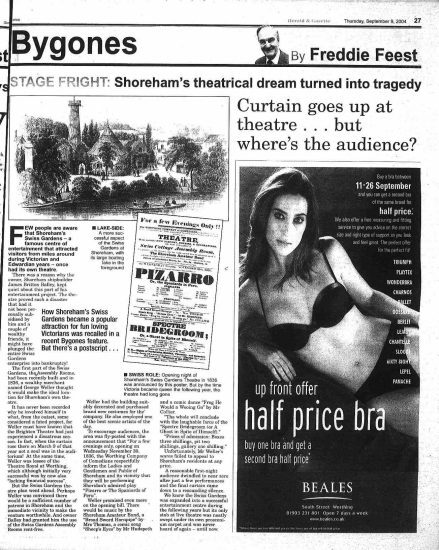 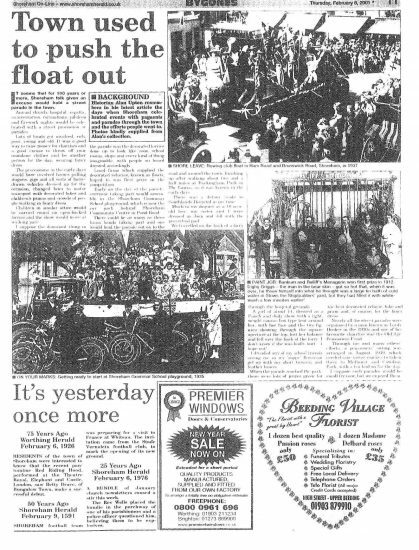 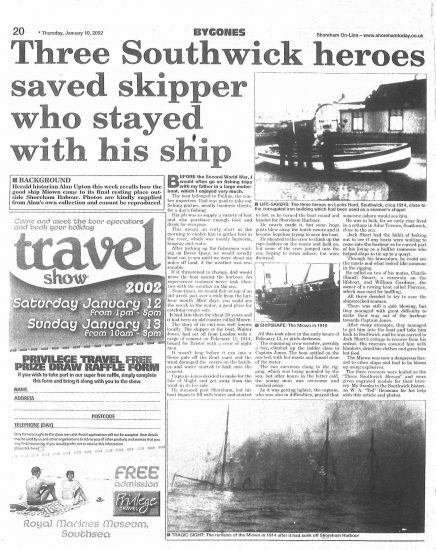 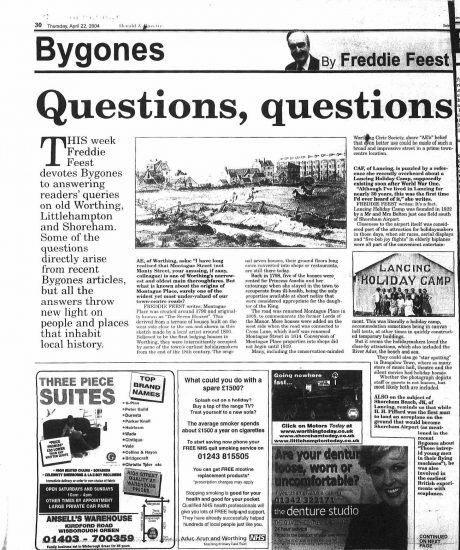 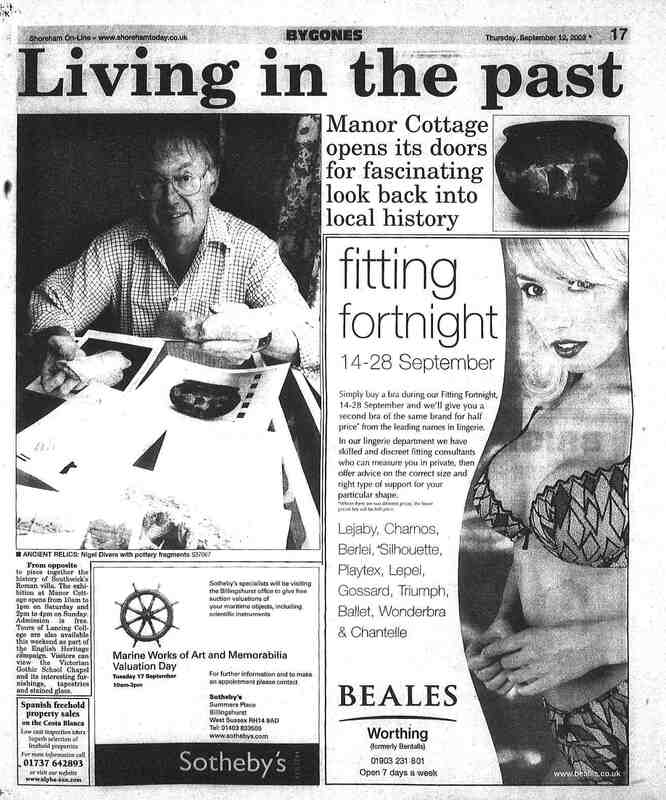 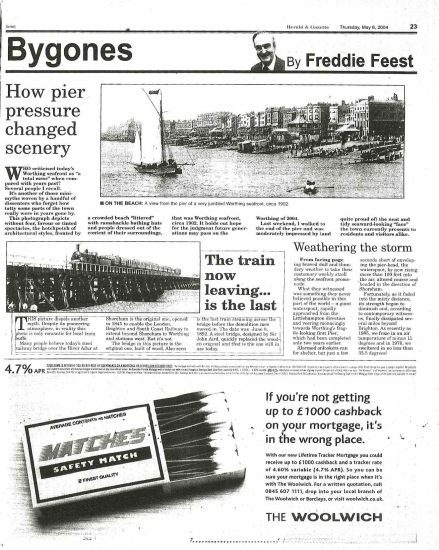 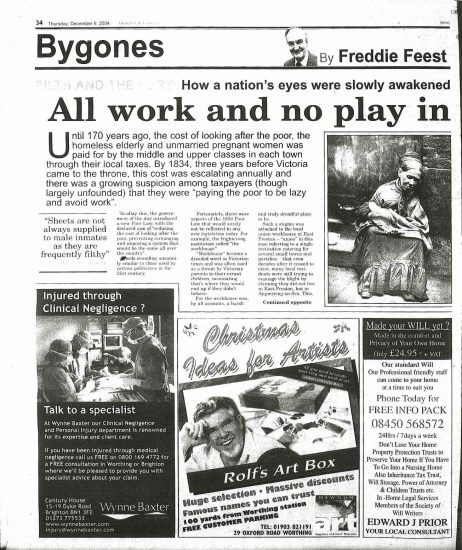 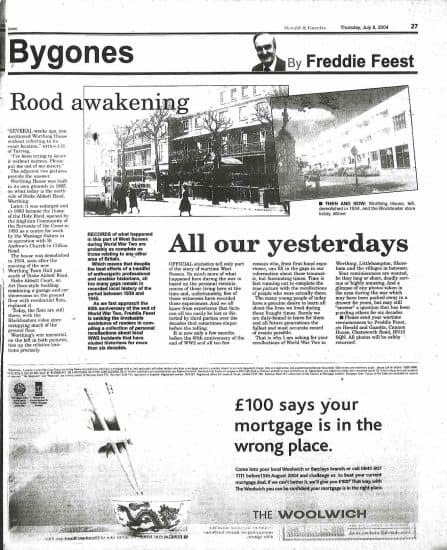 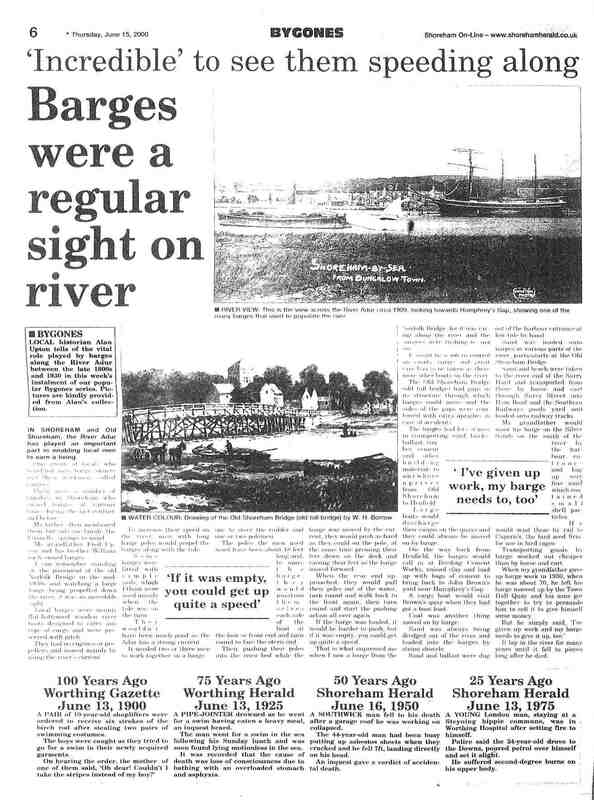 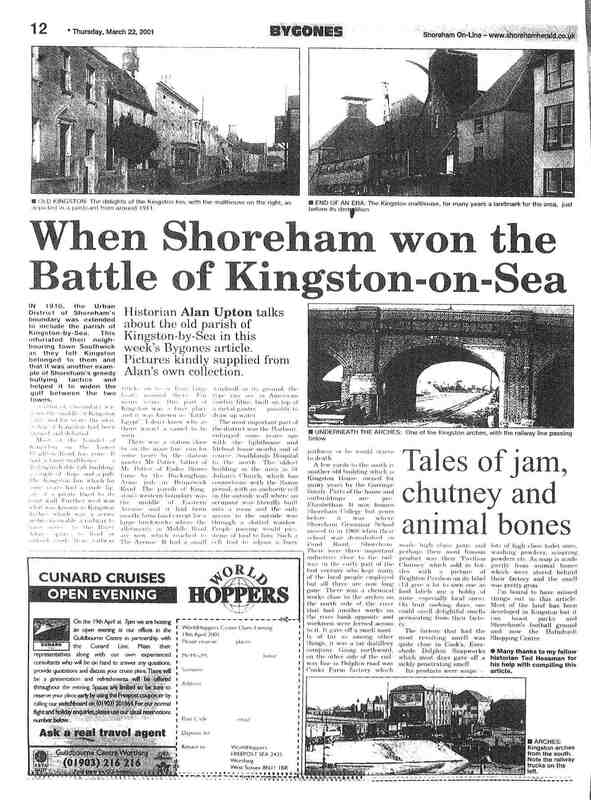 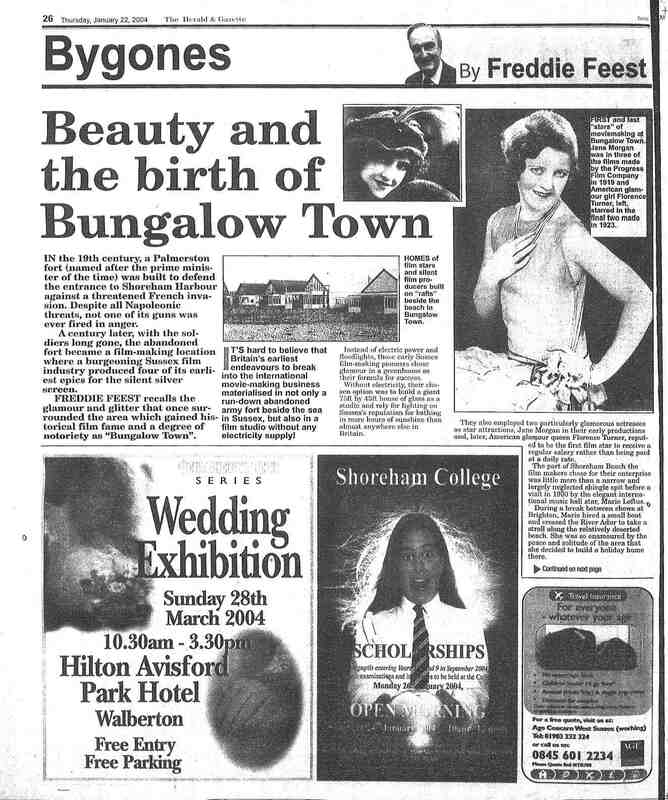 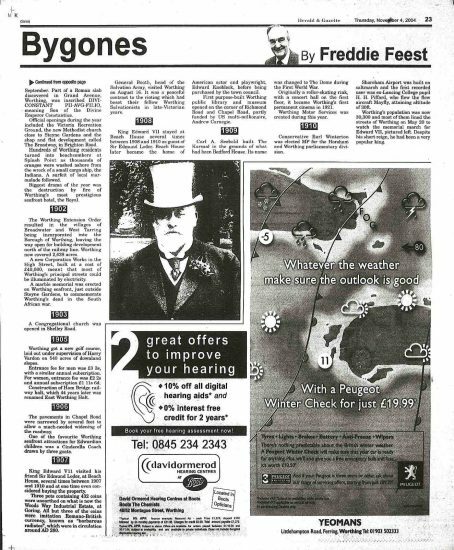 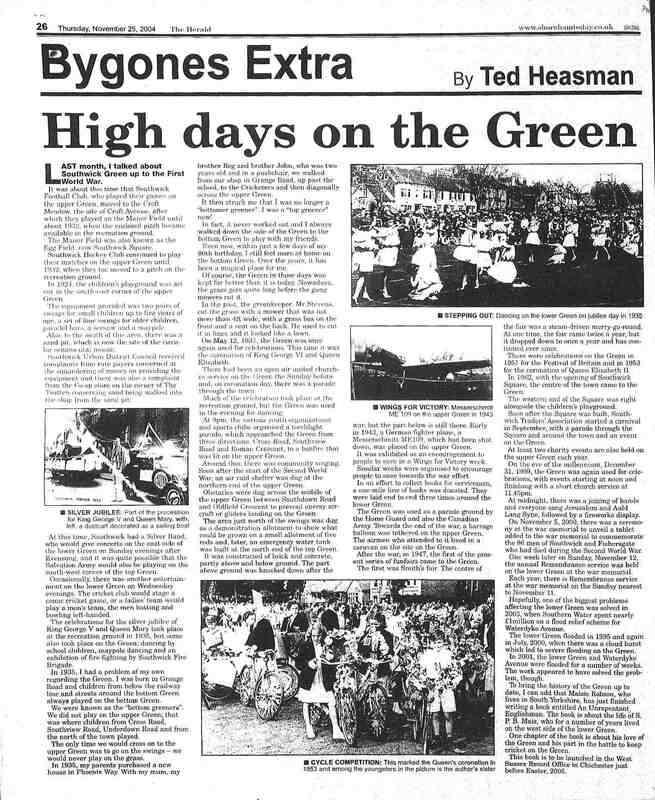 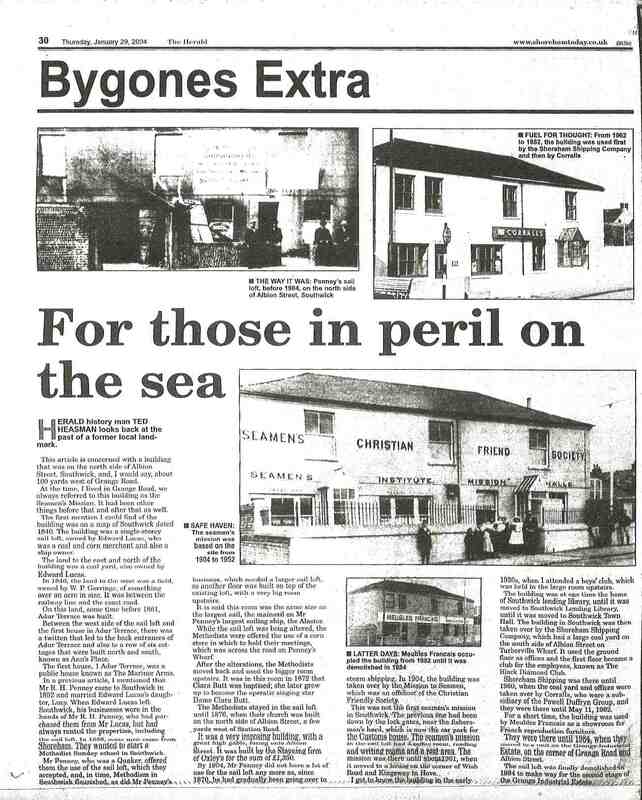 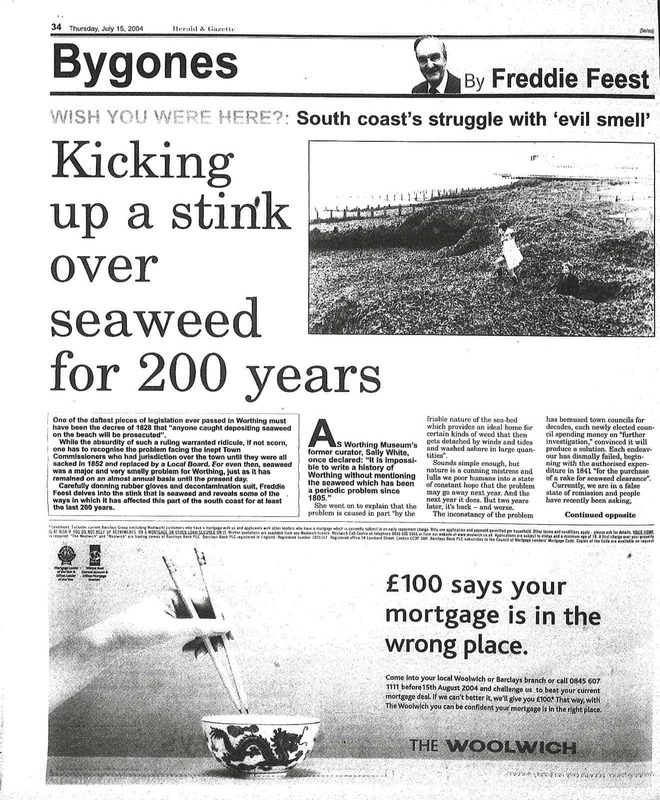 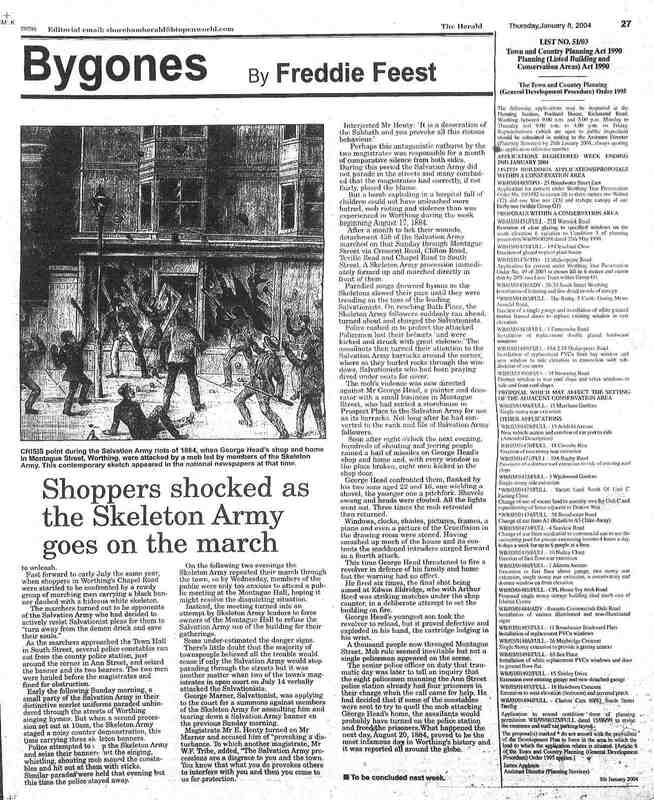 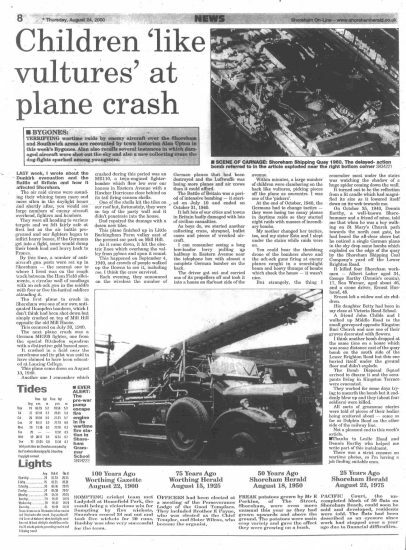 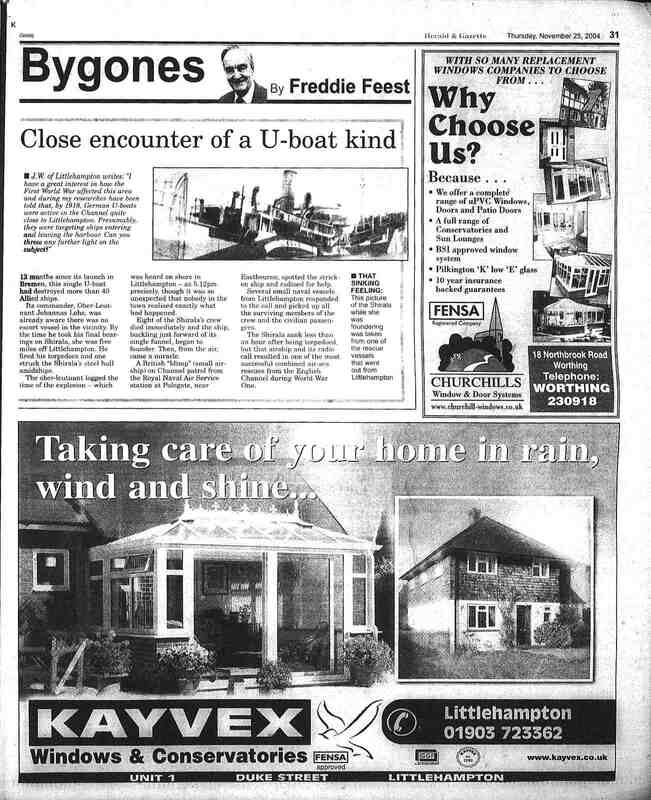 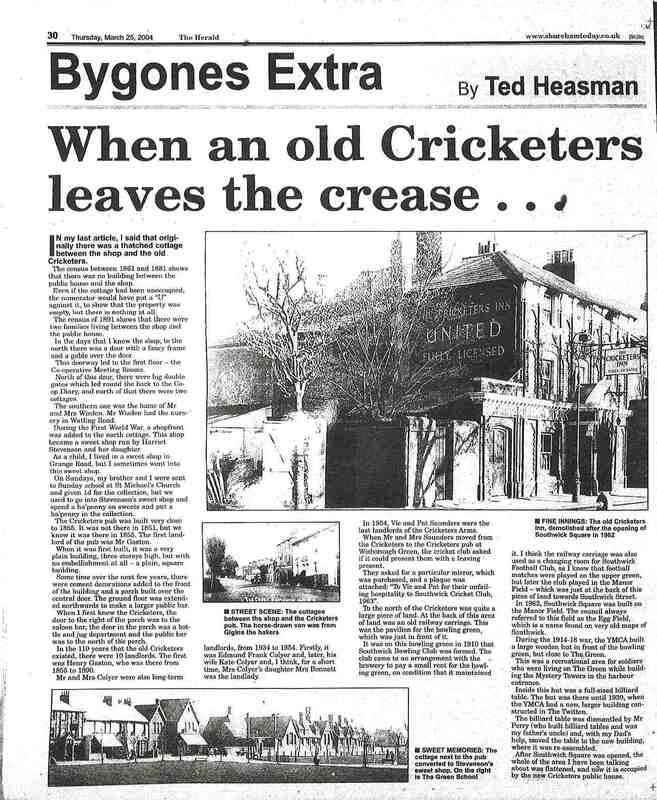 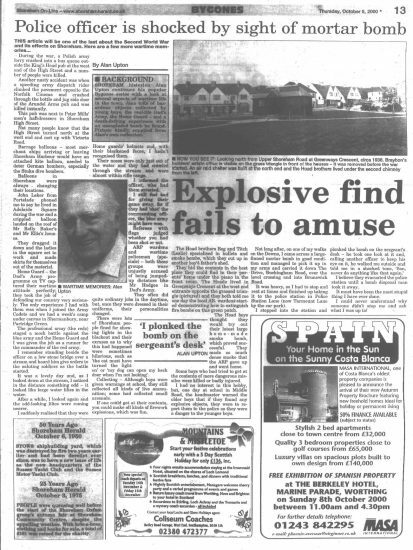 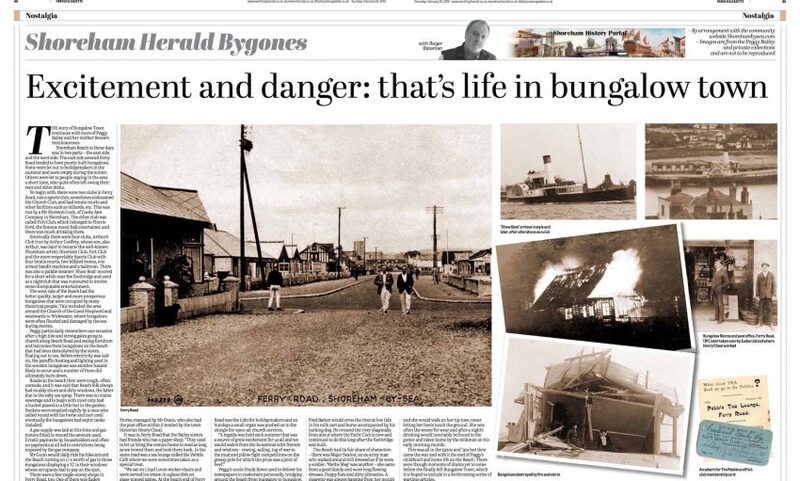 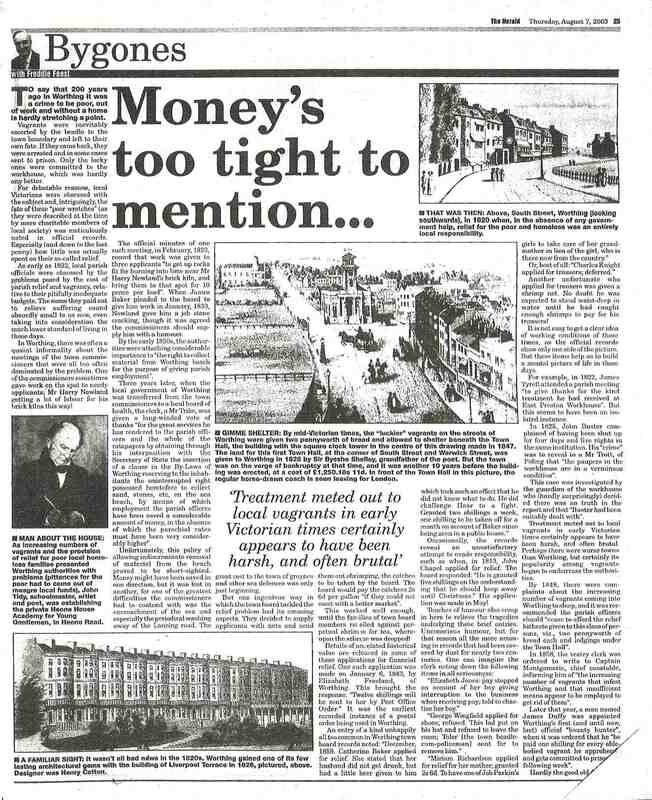 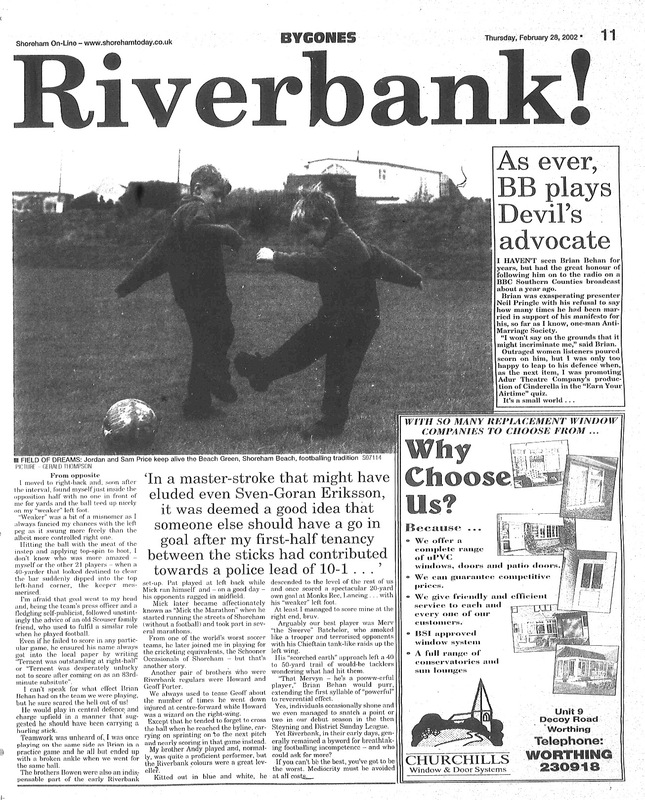 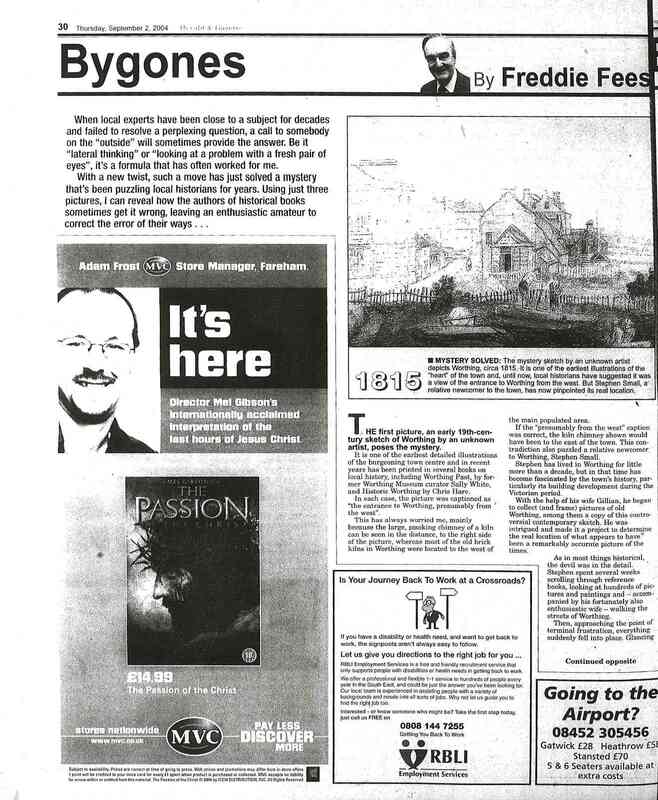 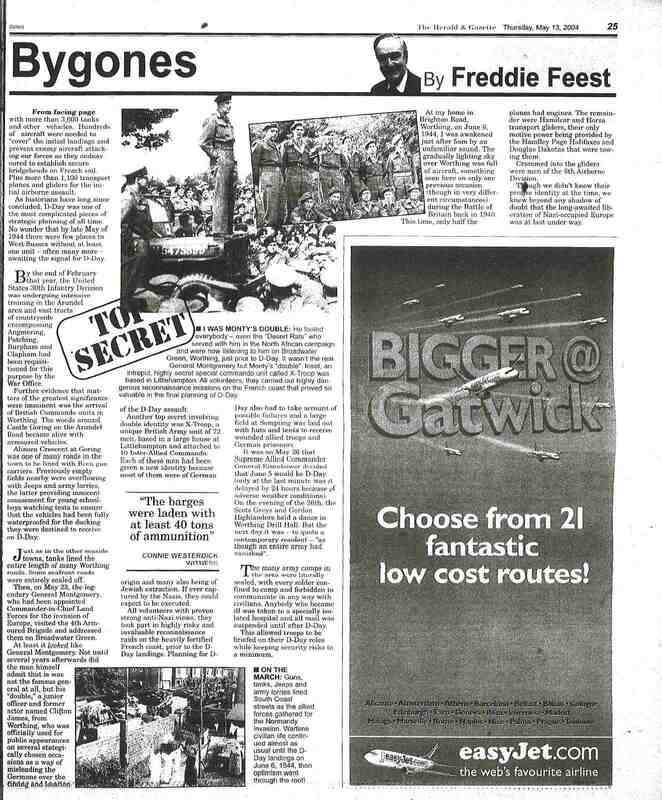 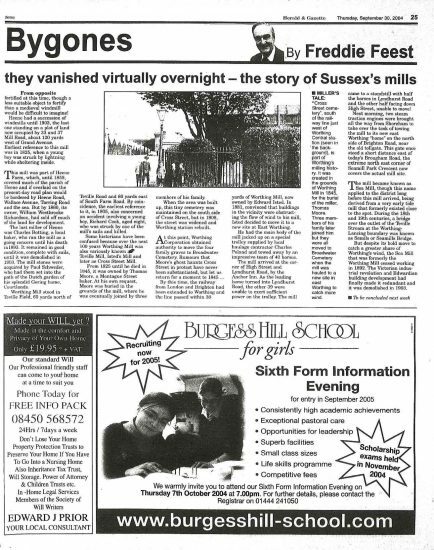 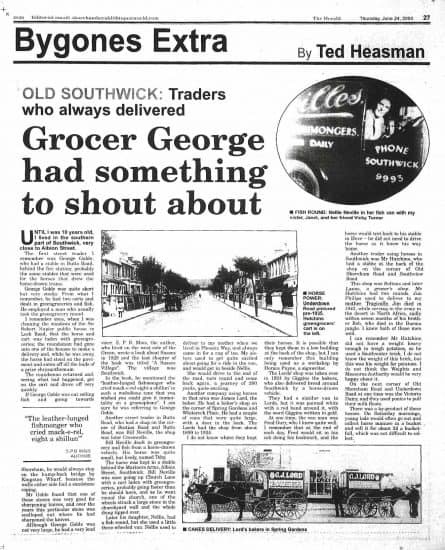 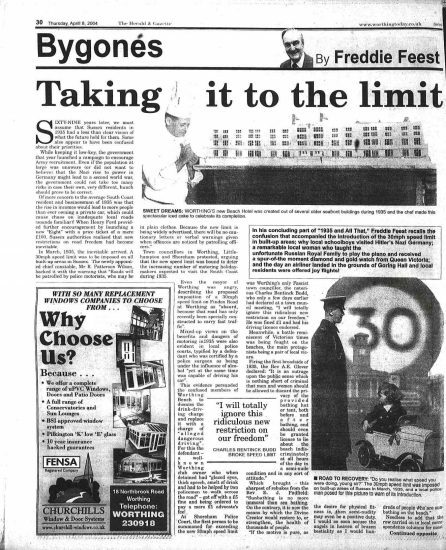 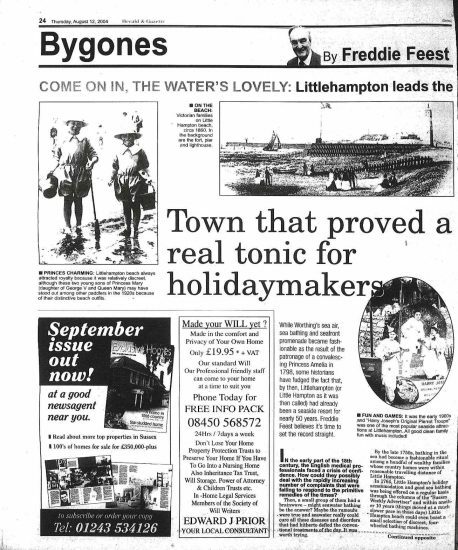 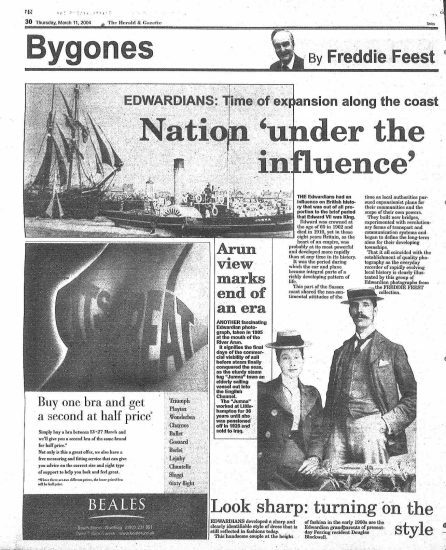 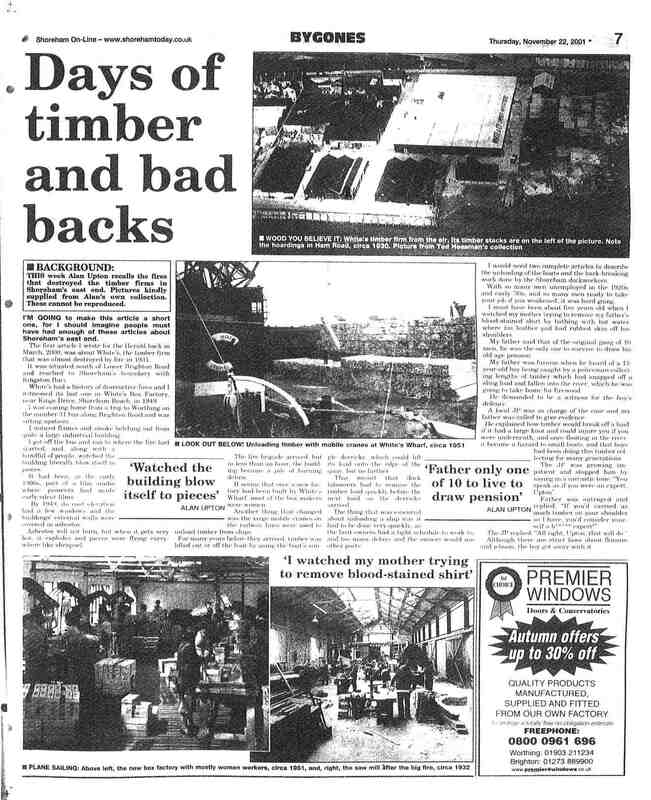 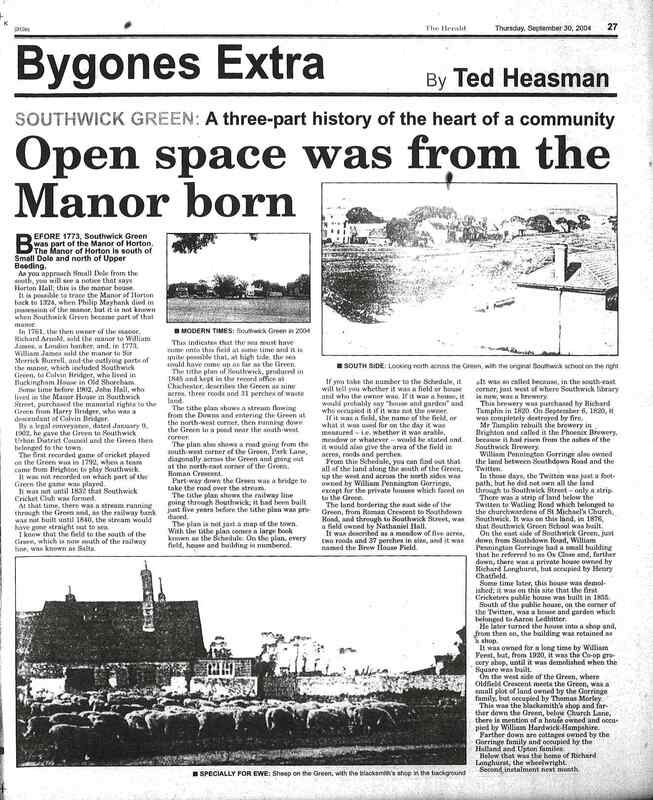 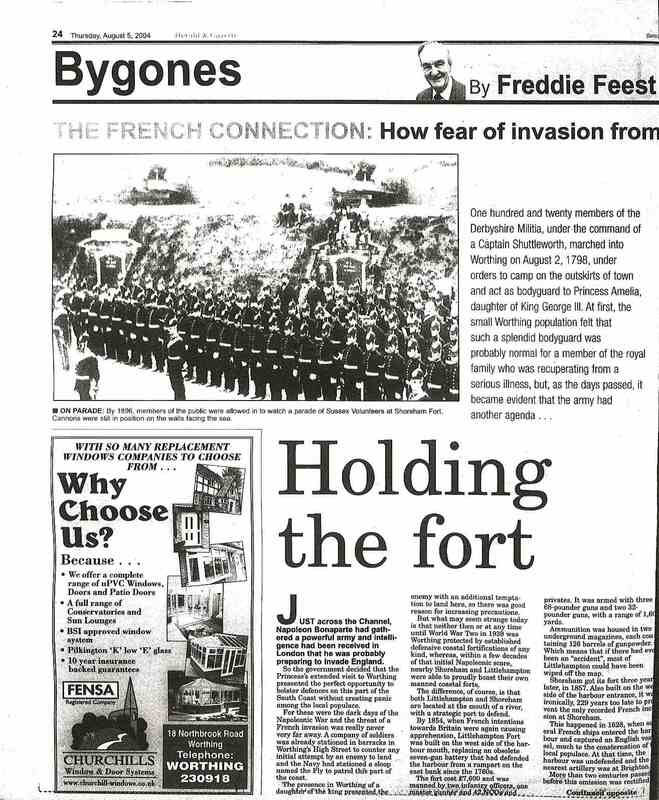 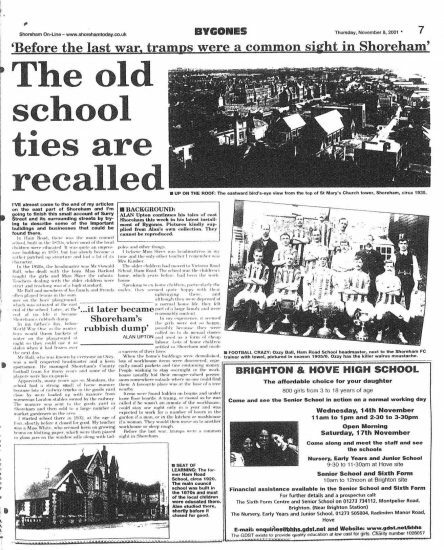 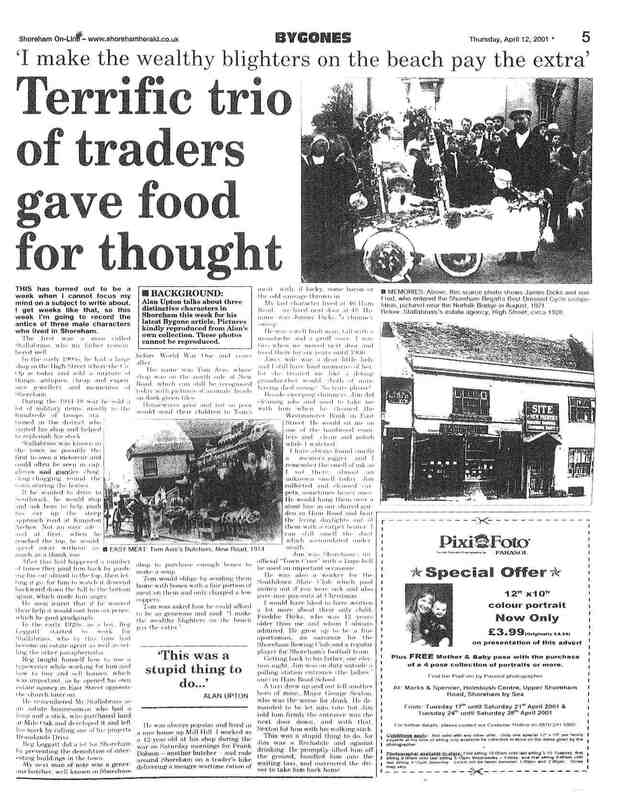 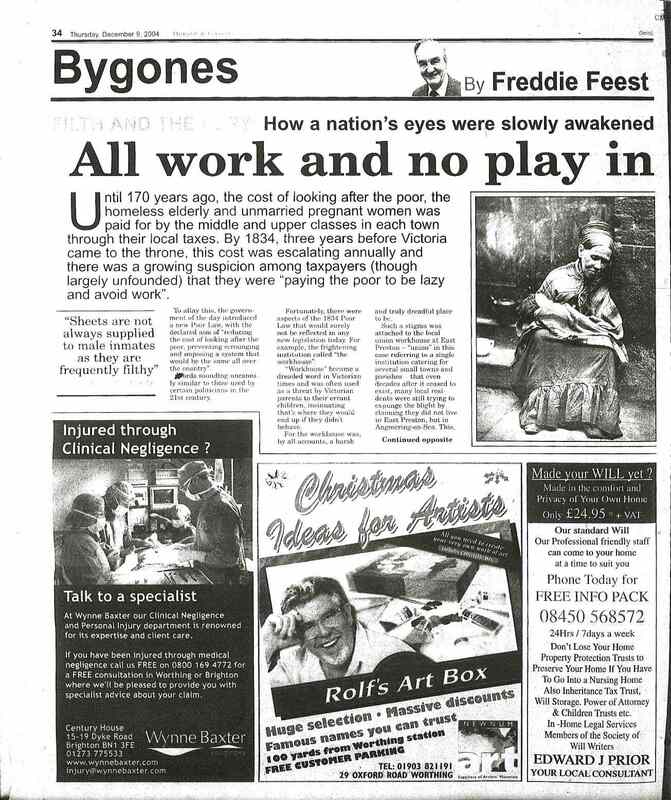 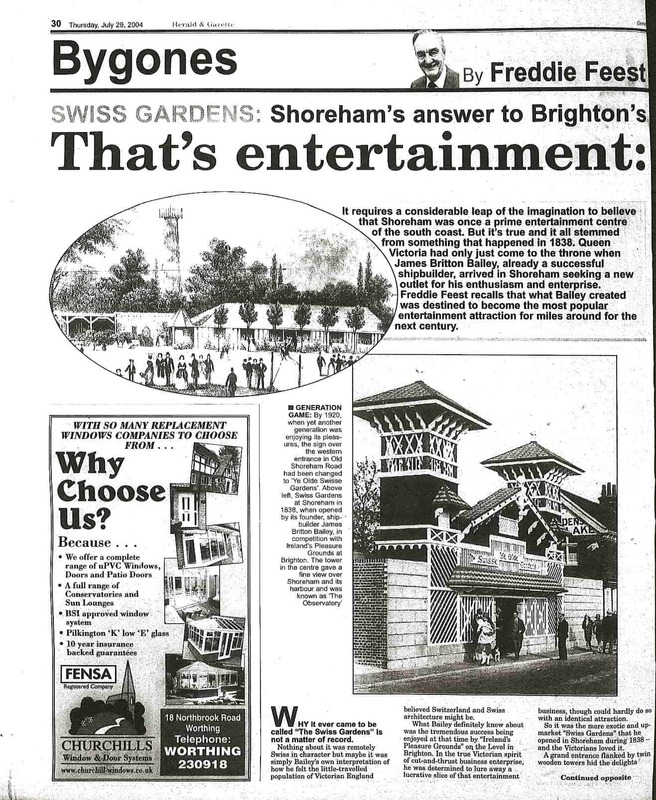 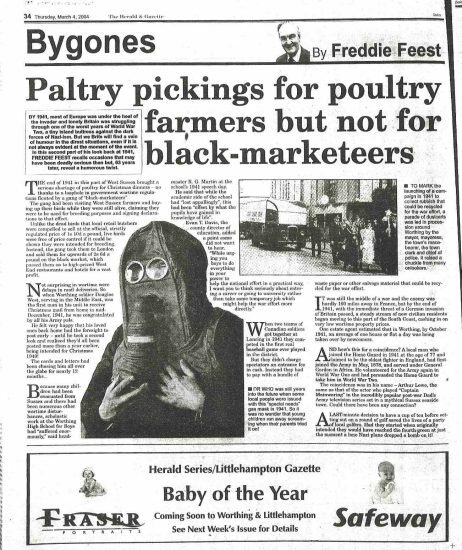 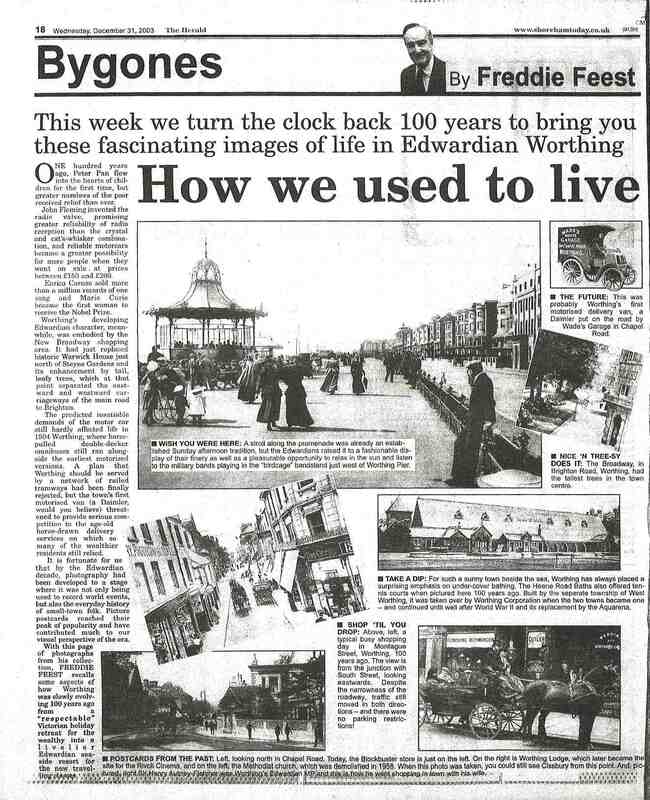 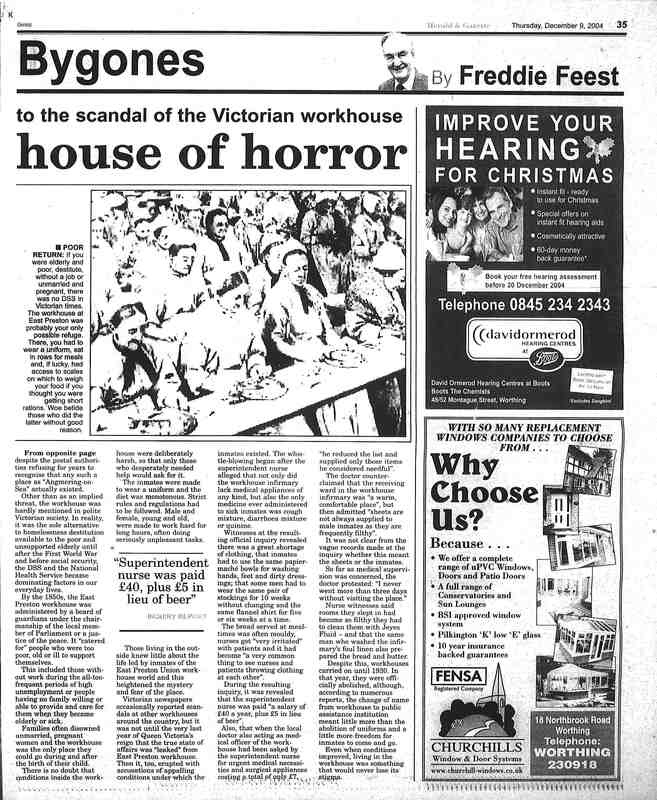 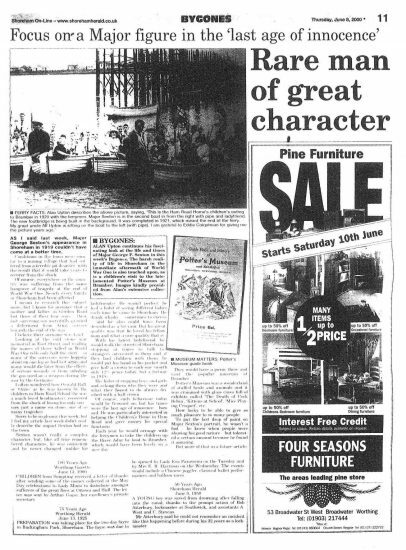 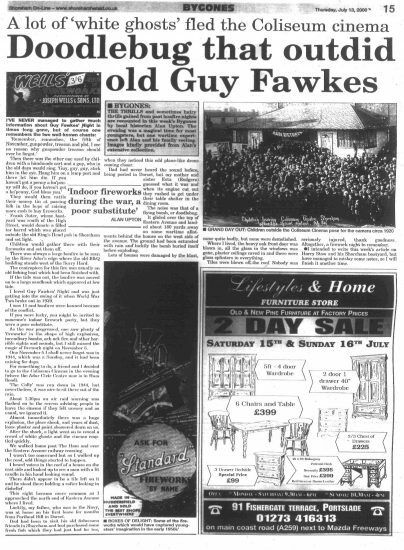 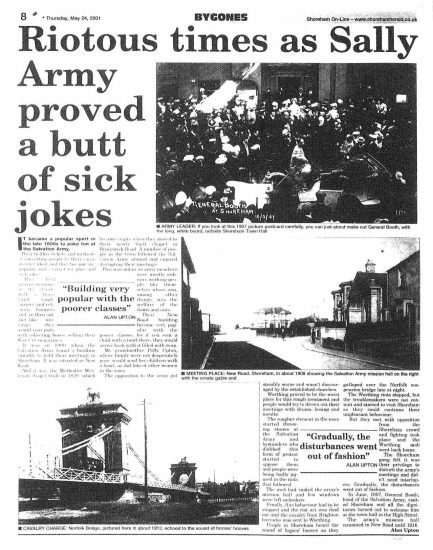 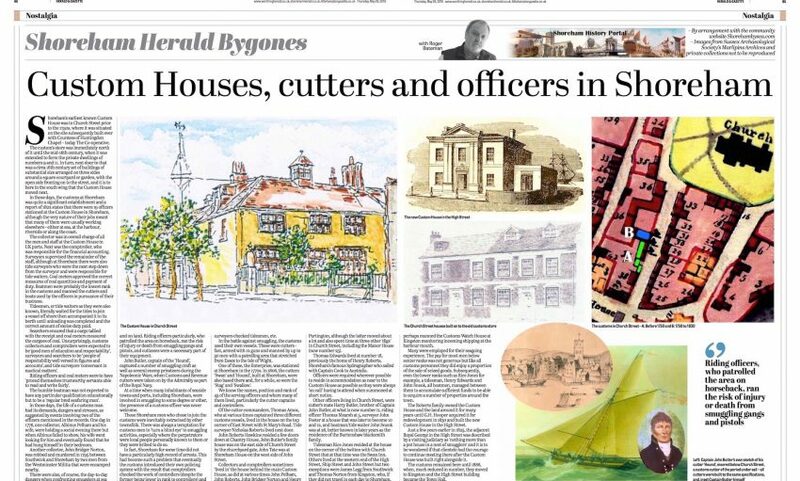 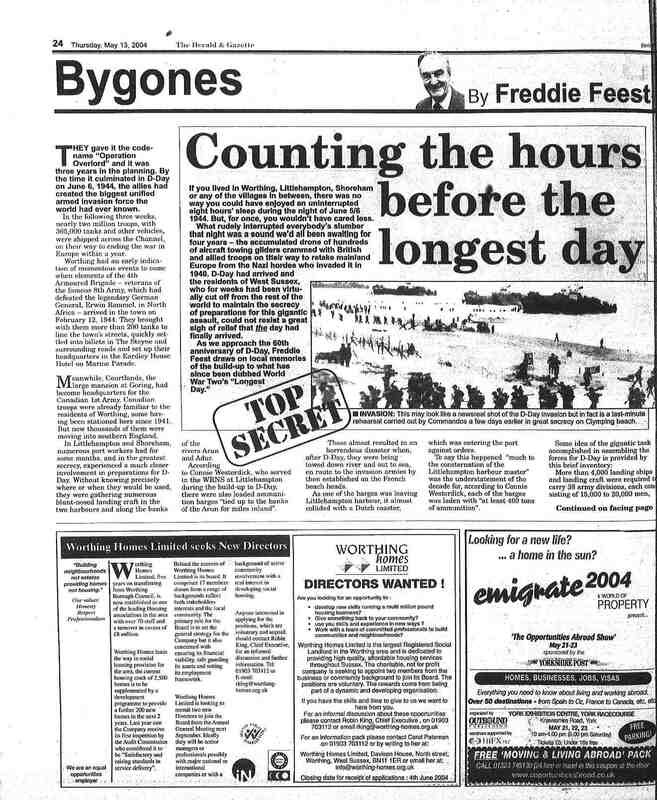 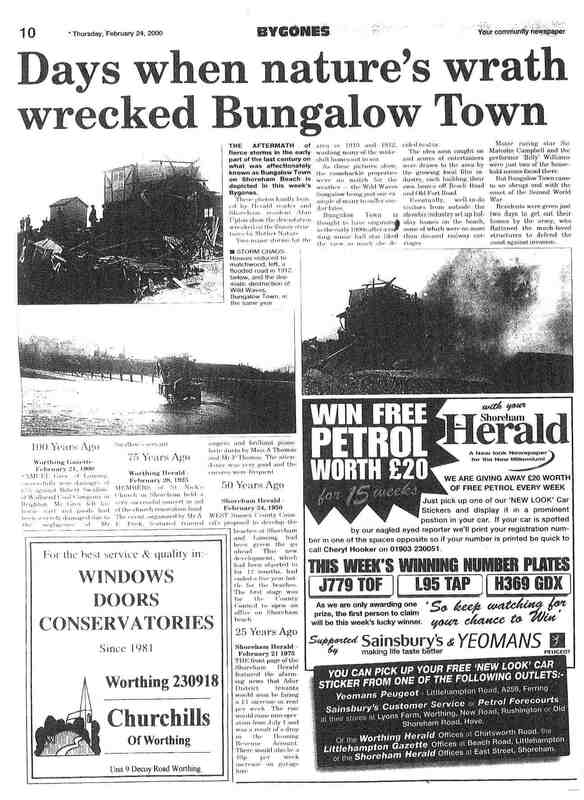 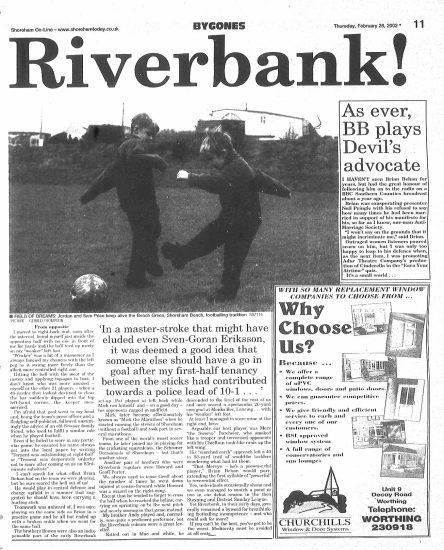 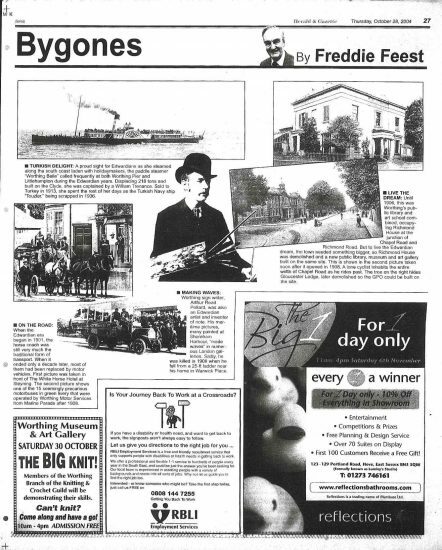 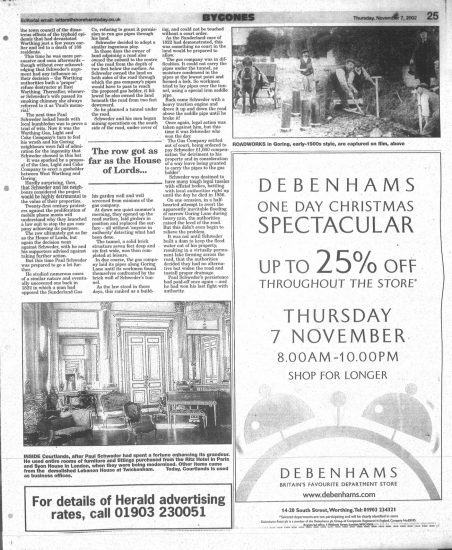 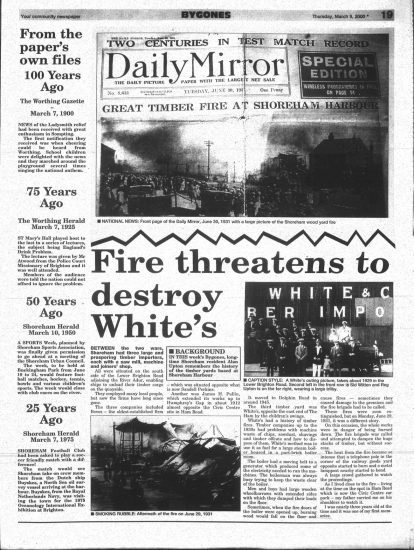 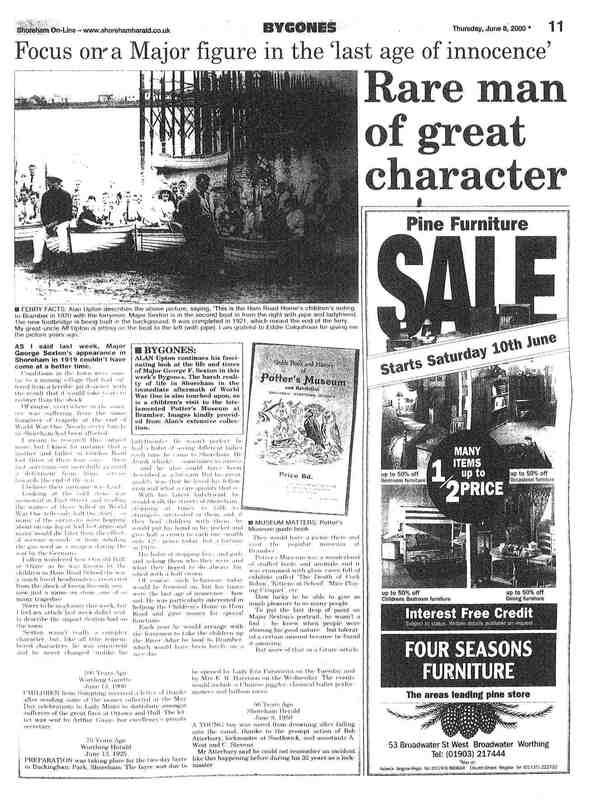 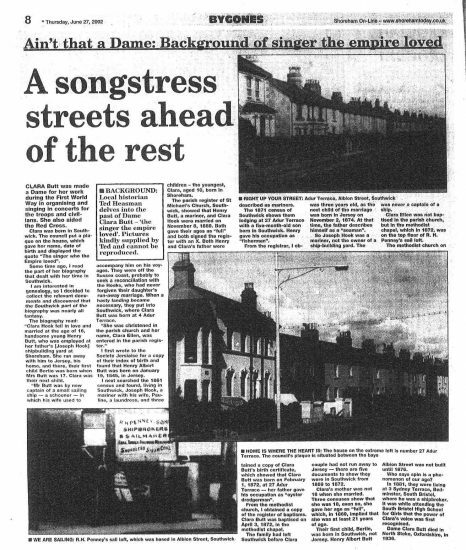 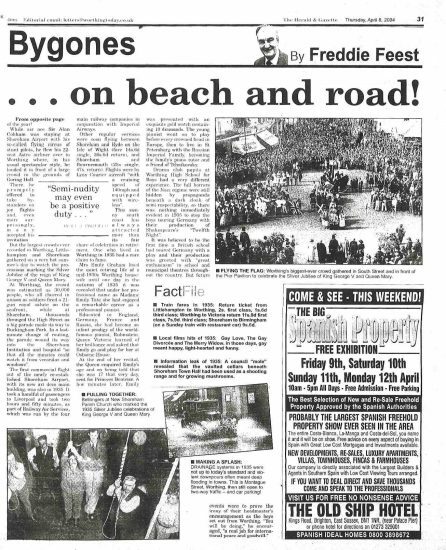 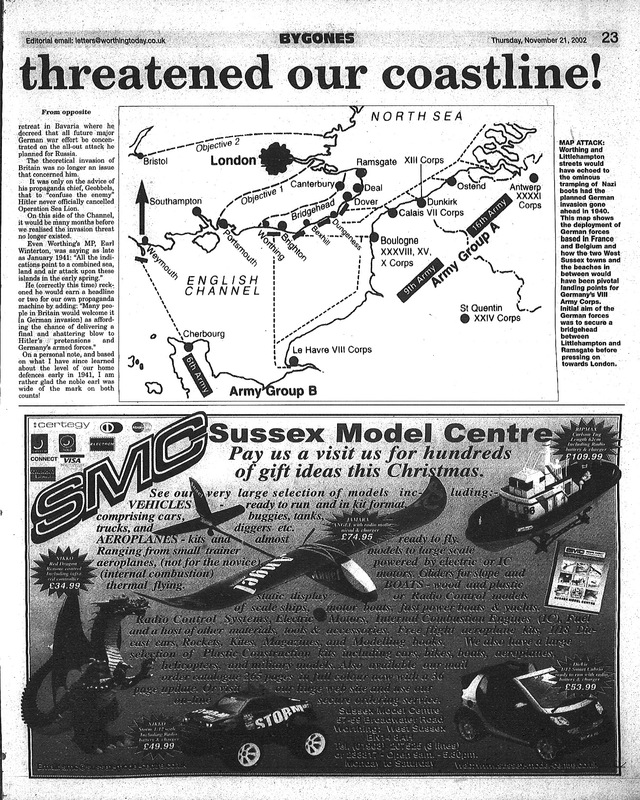 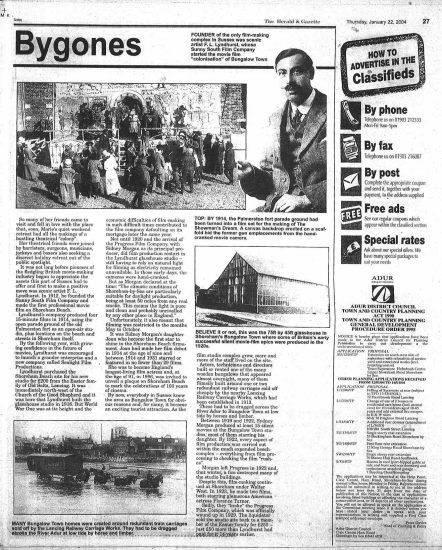 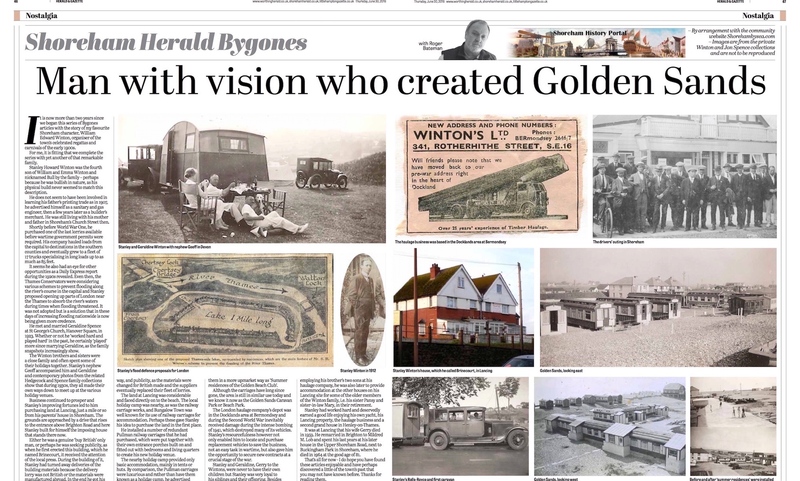 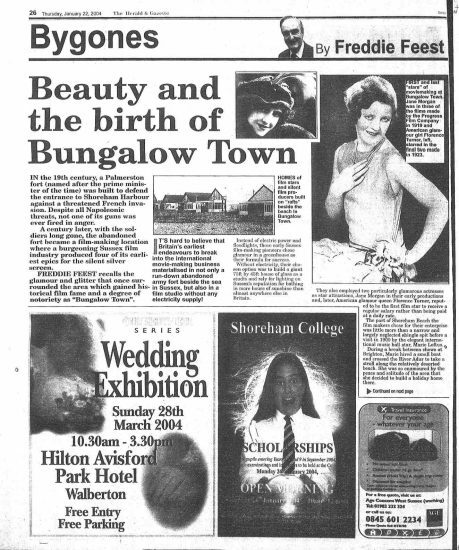 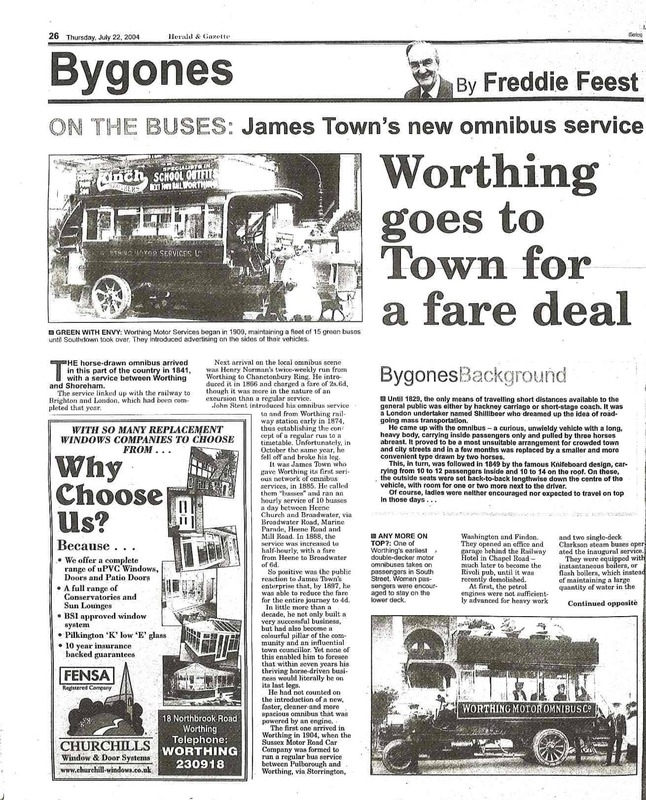 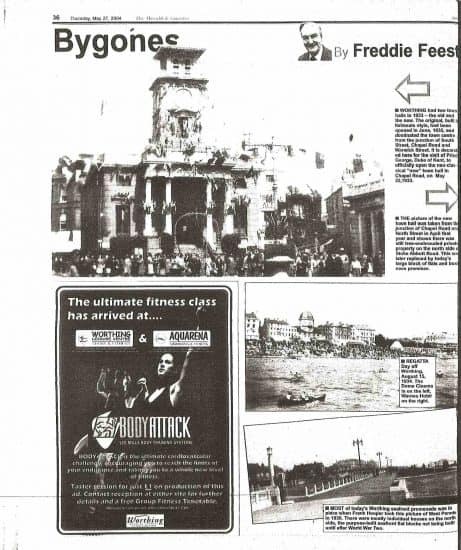 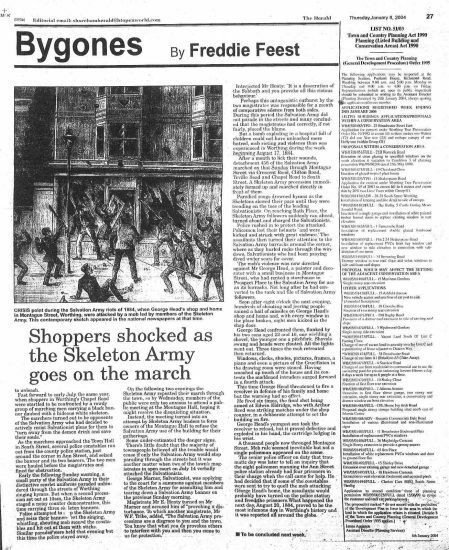 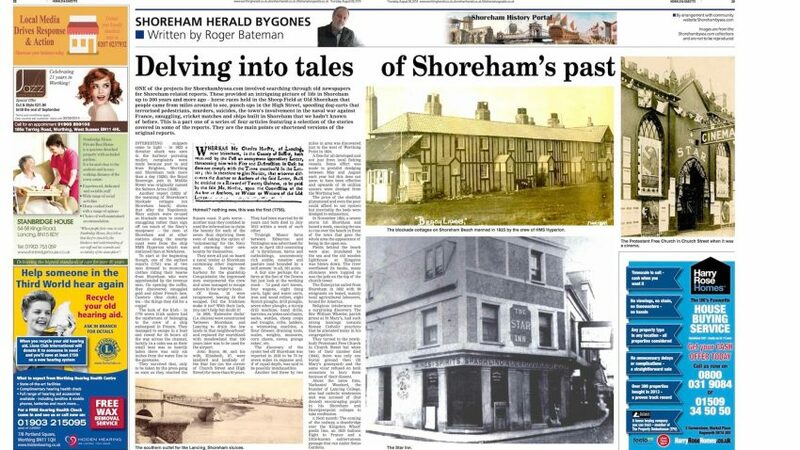 Shorehambysea.com is delighted to reproduce here over 250 fascinating ‘Bygones’ articles from the Herald’s publications of 2000 to 2004. 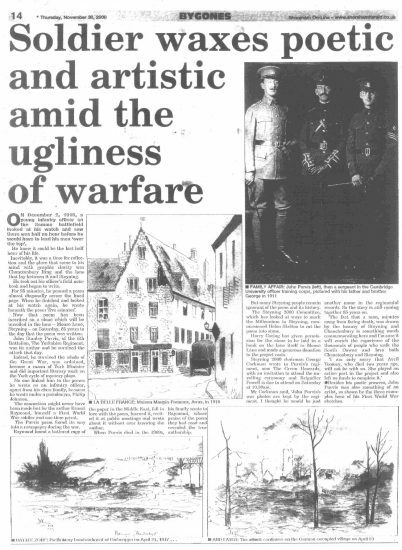 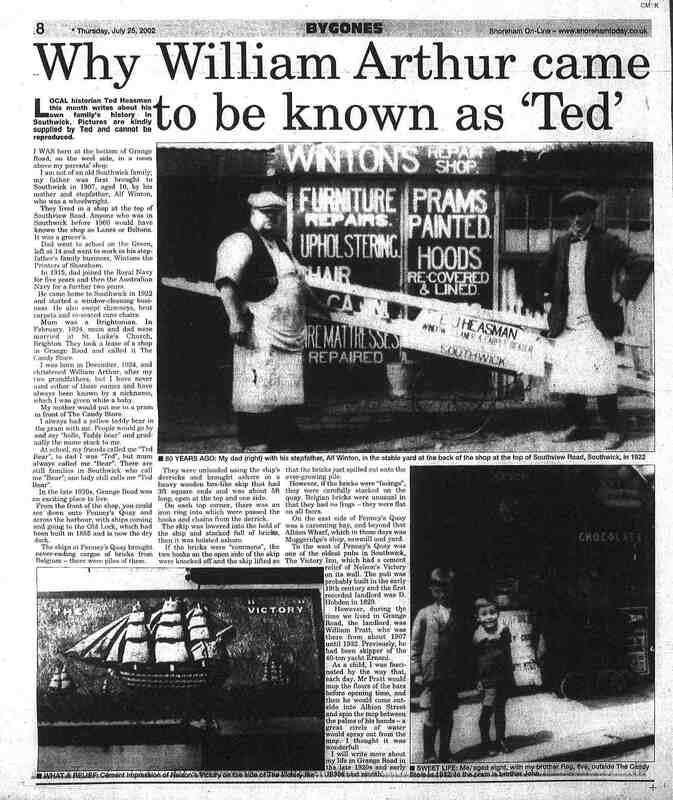 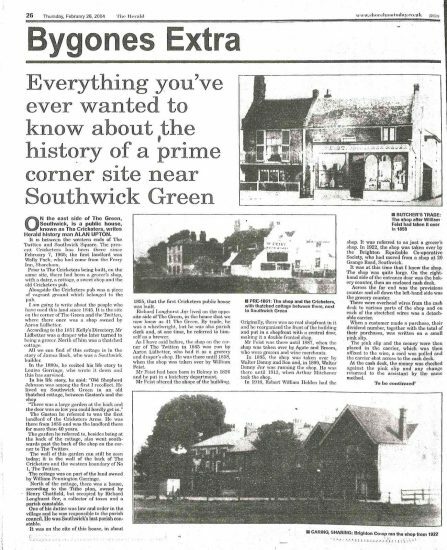 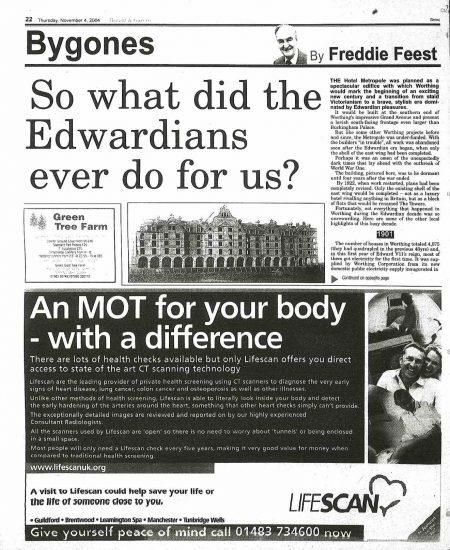 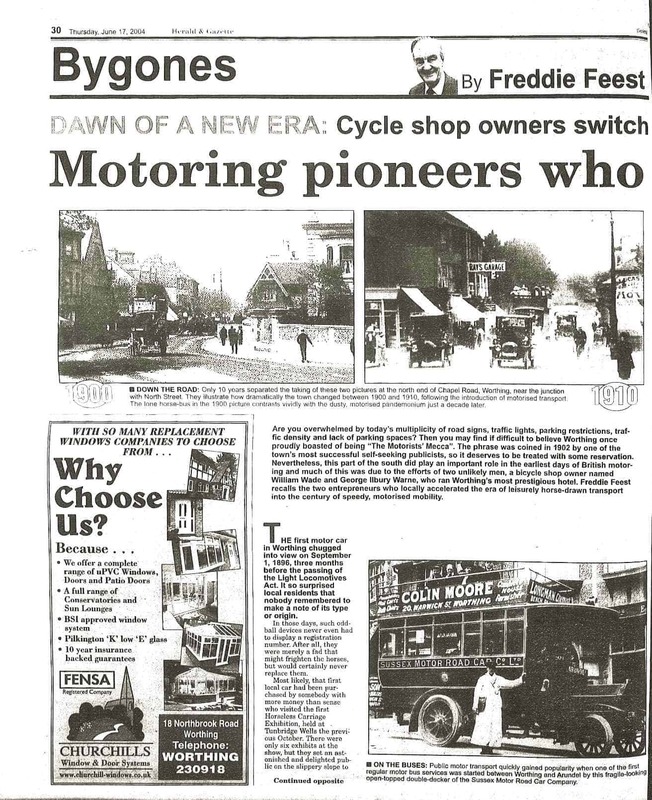 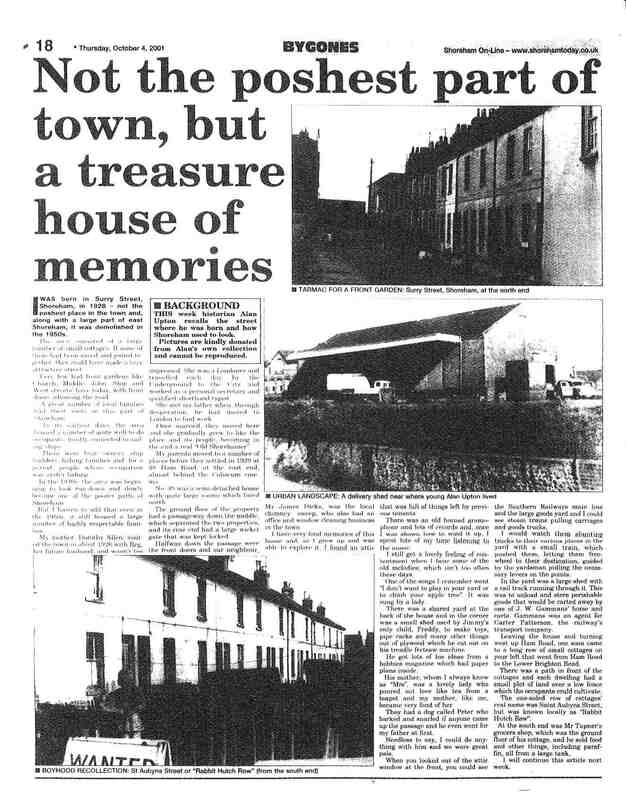 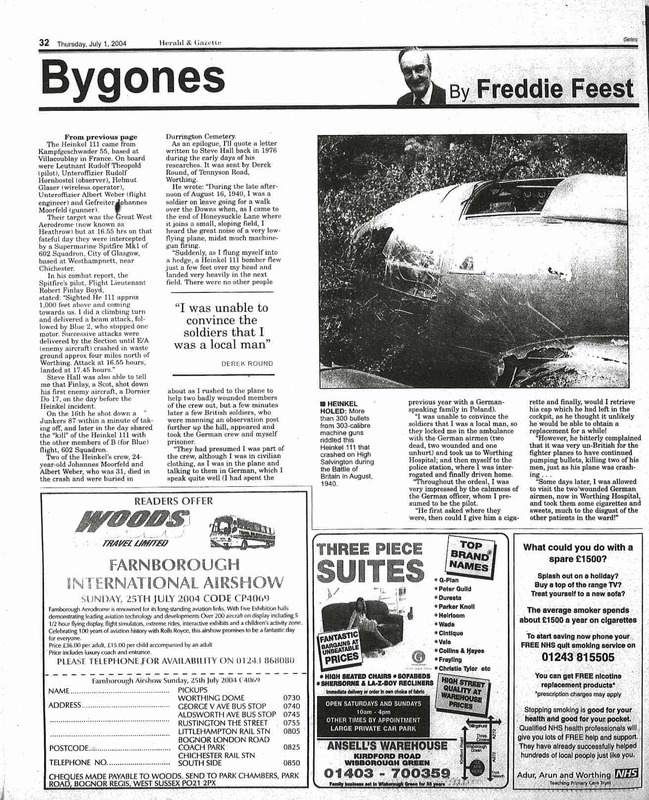 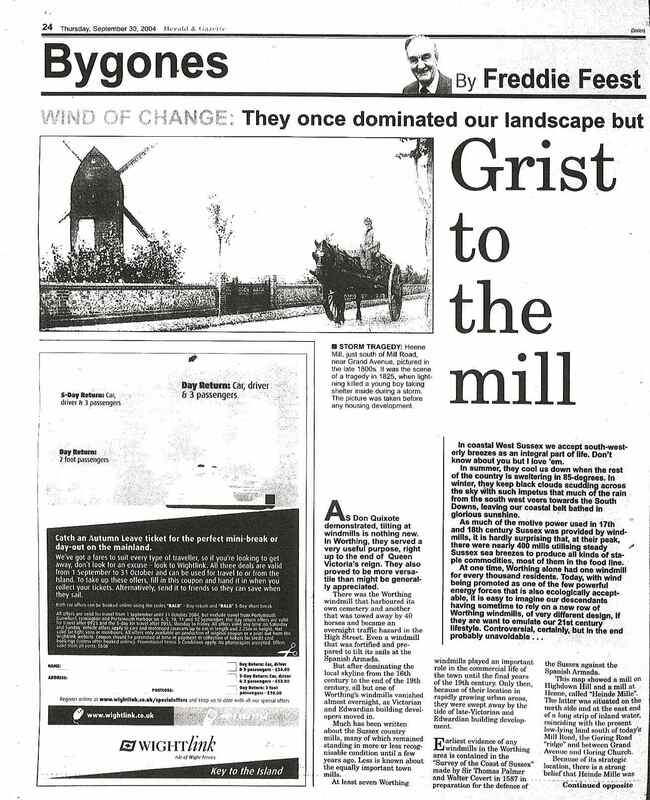 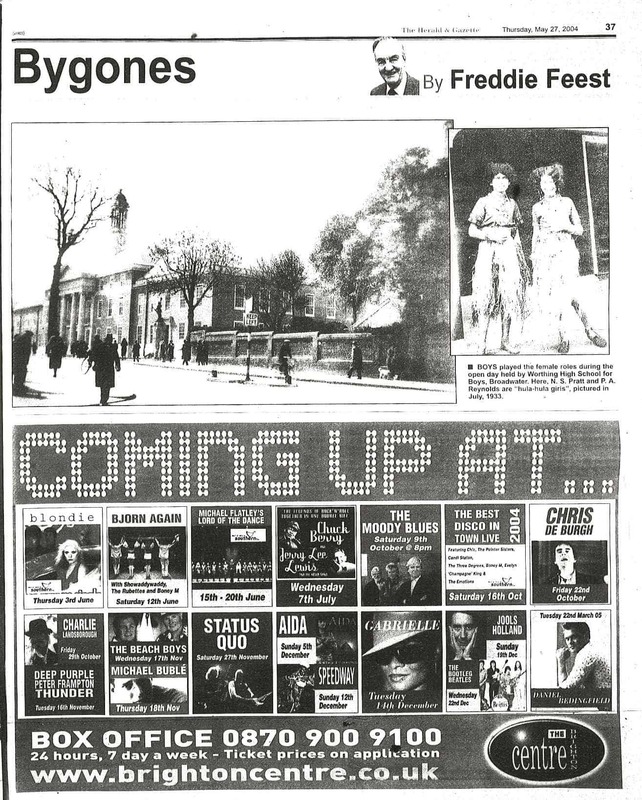 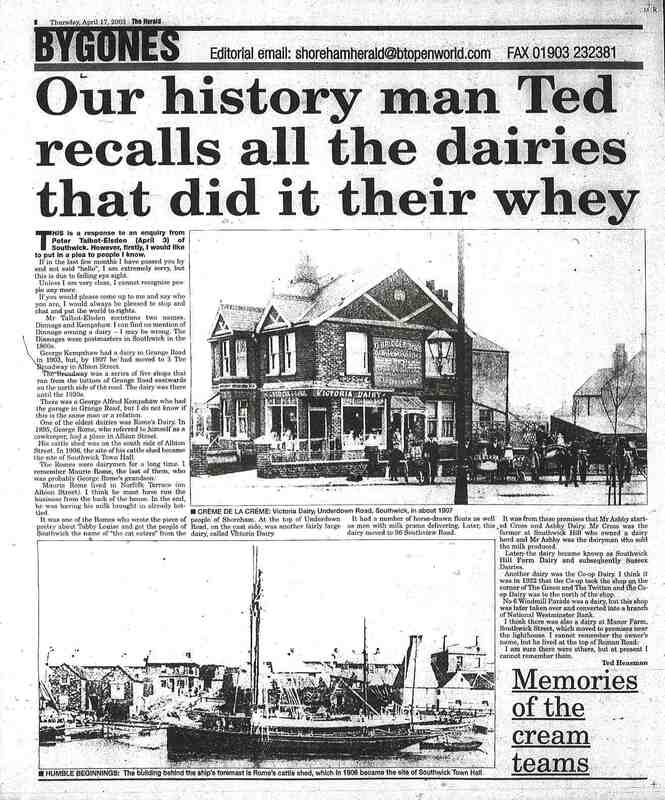 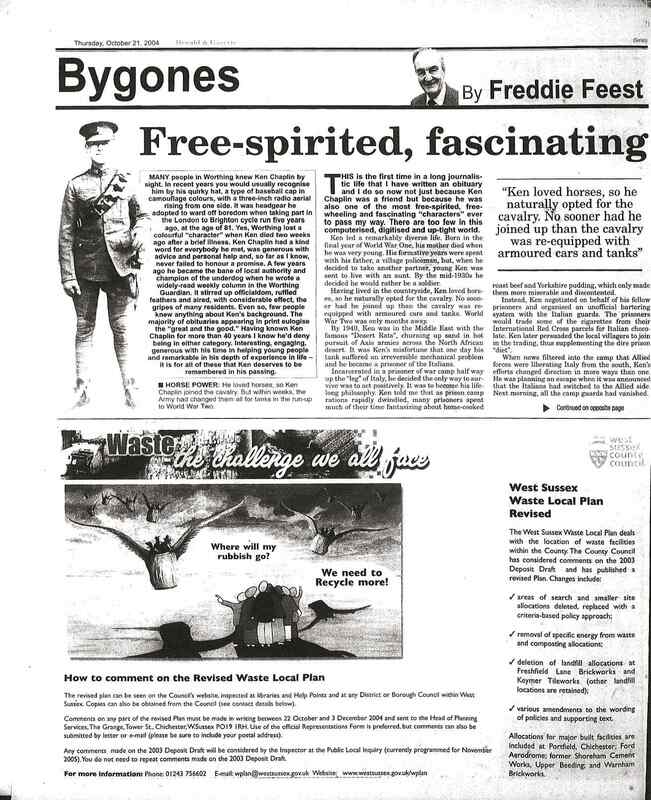 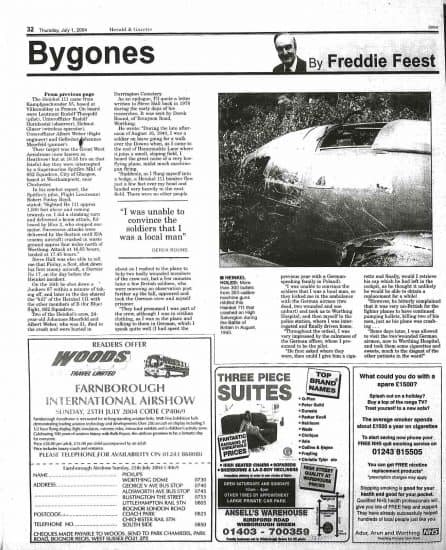 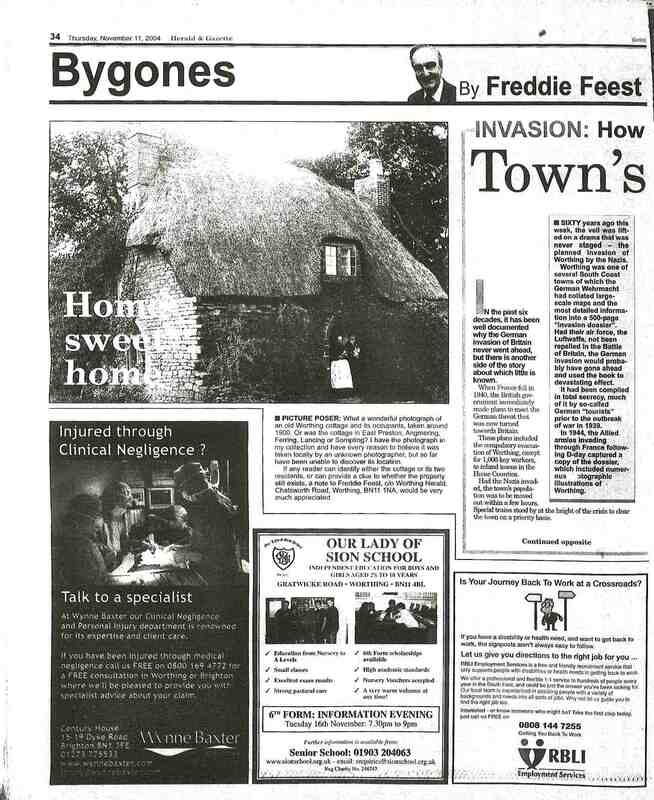 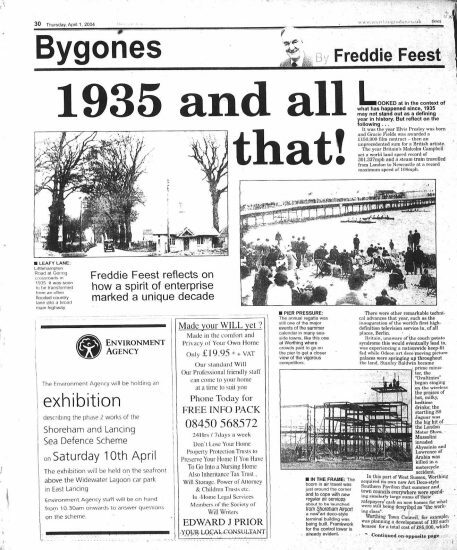 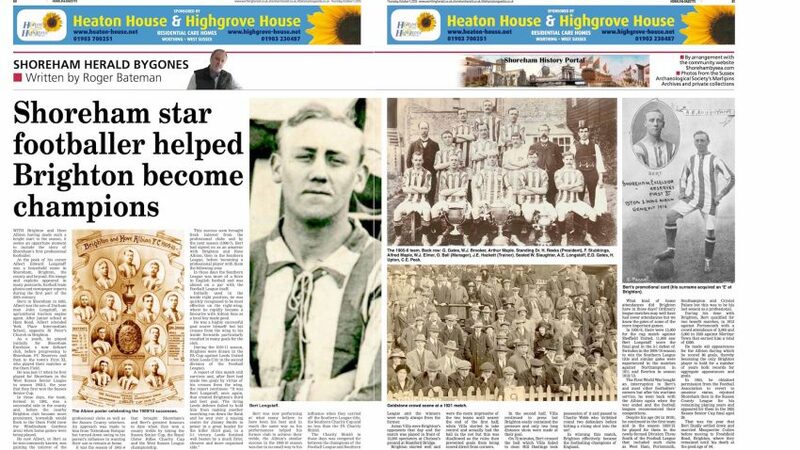 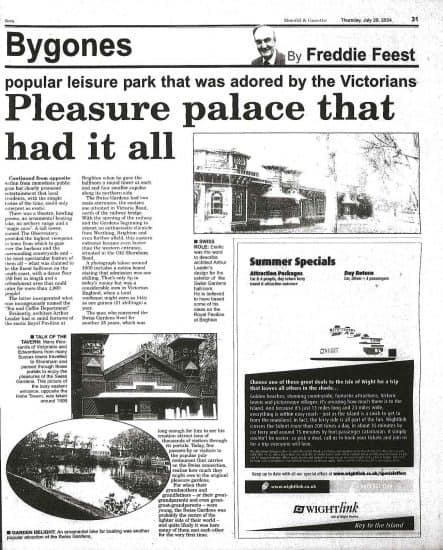 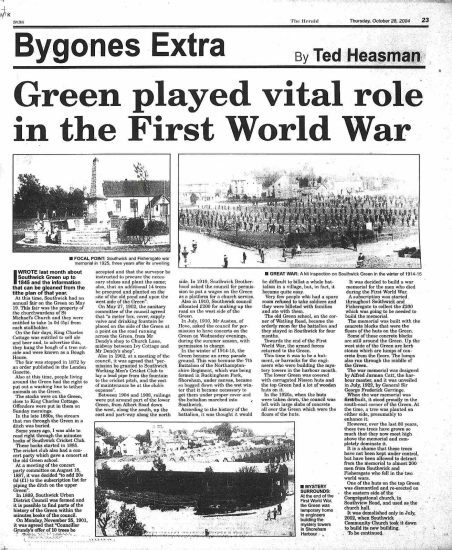 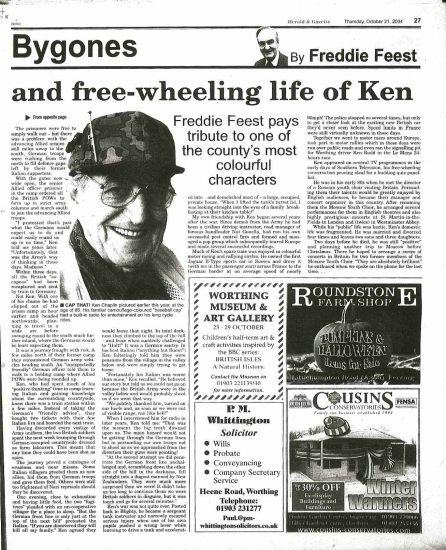 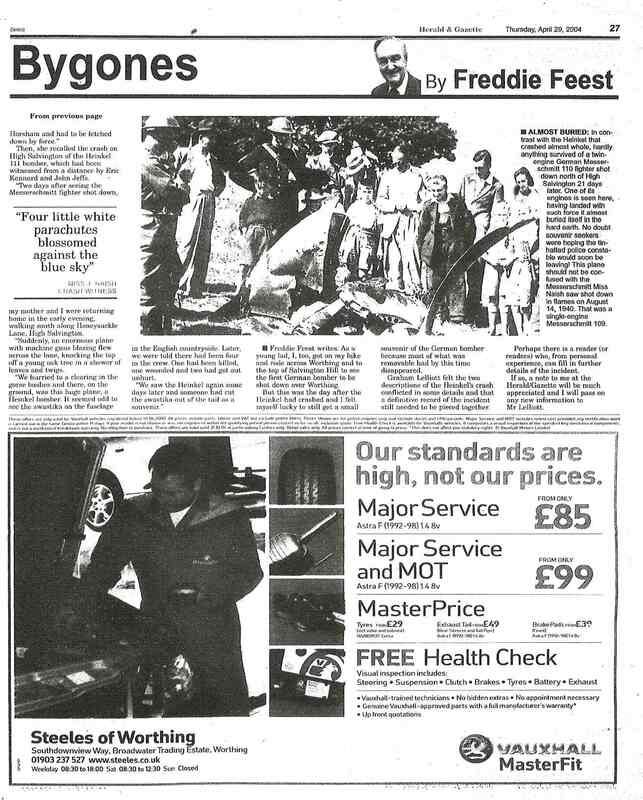 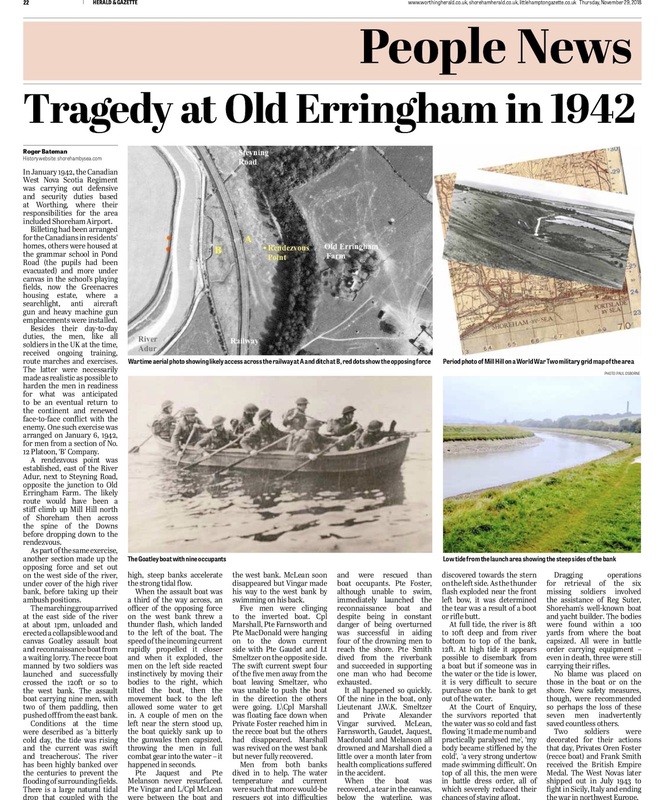 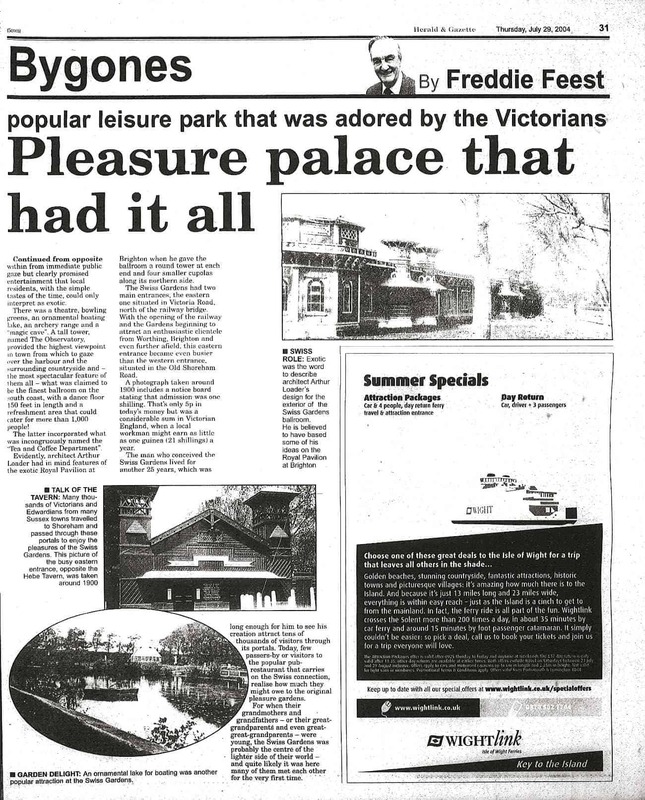 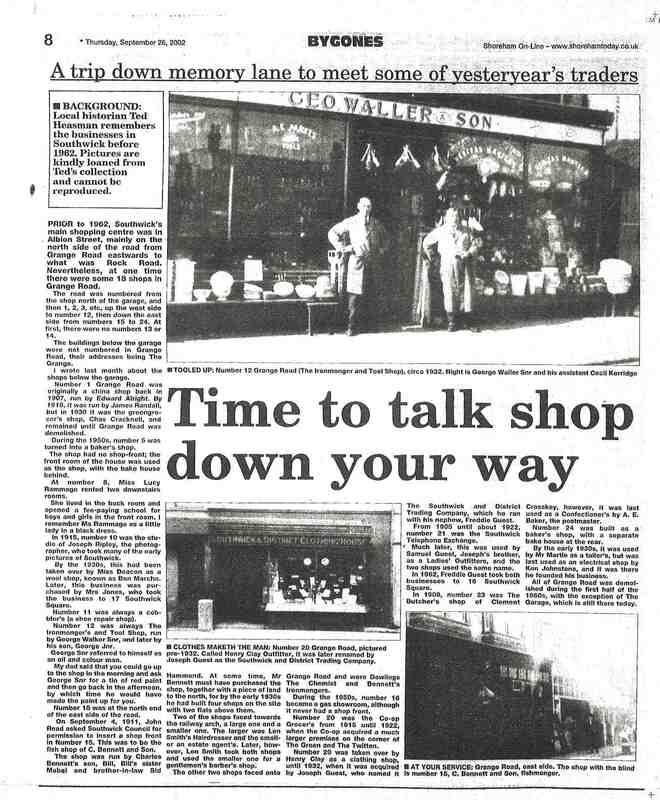 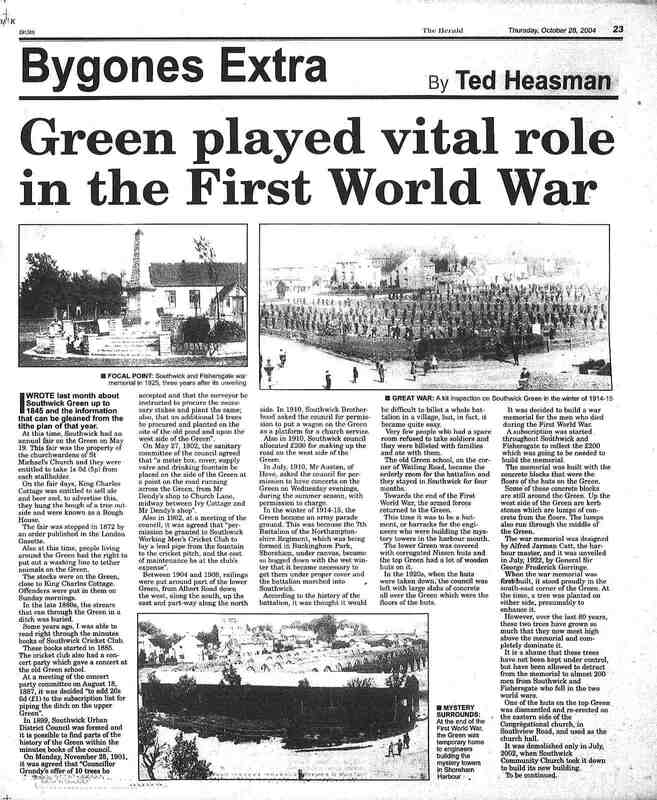 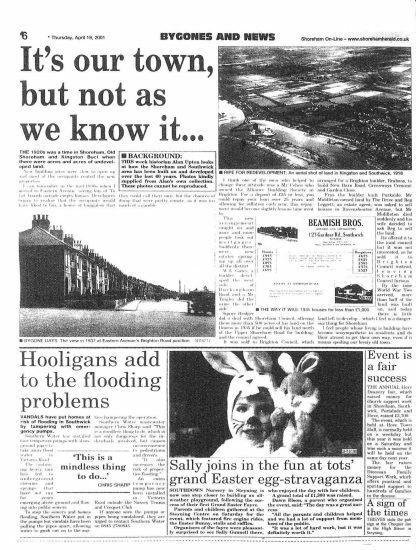 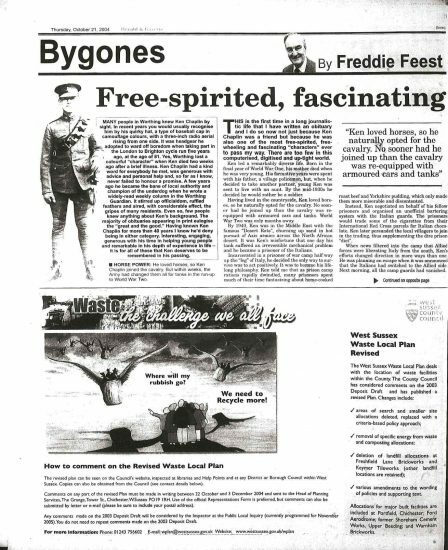 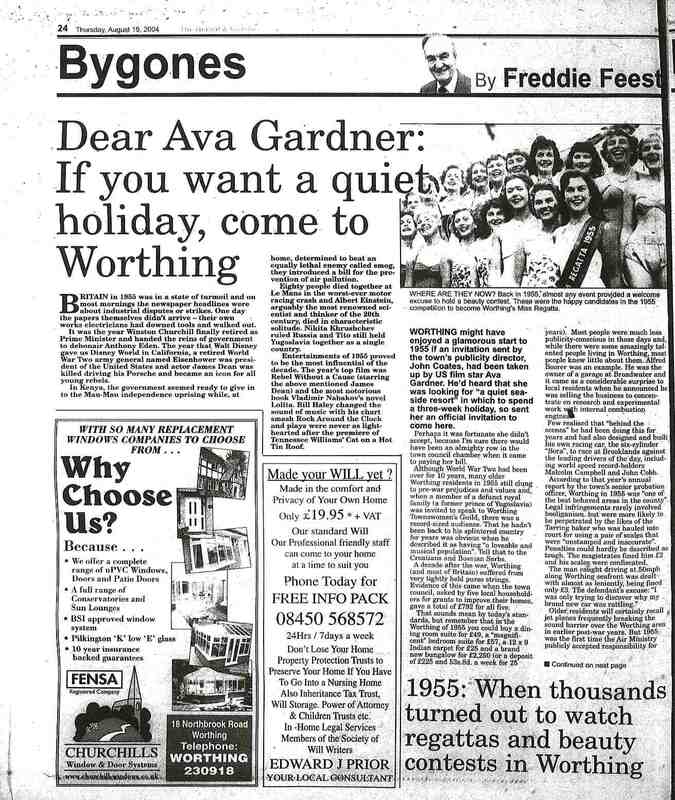 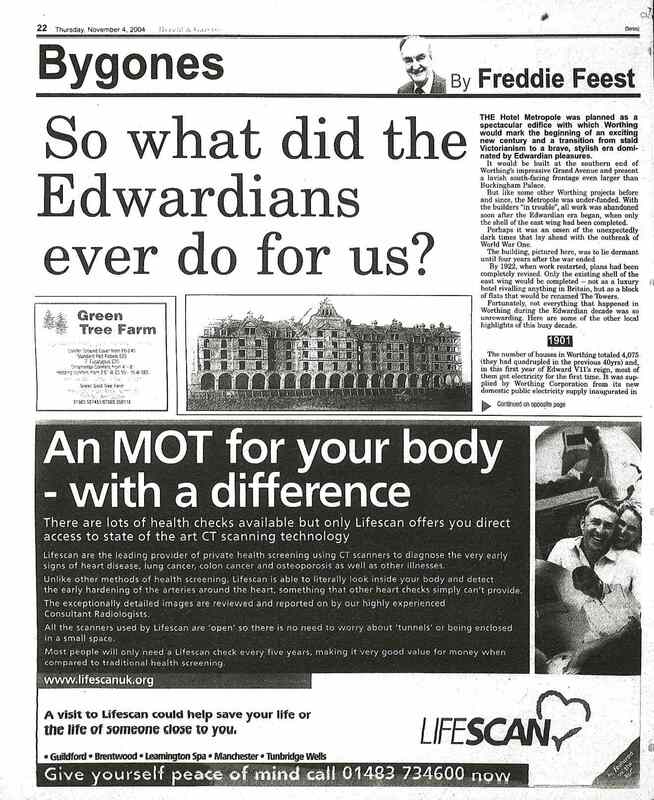 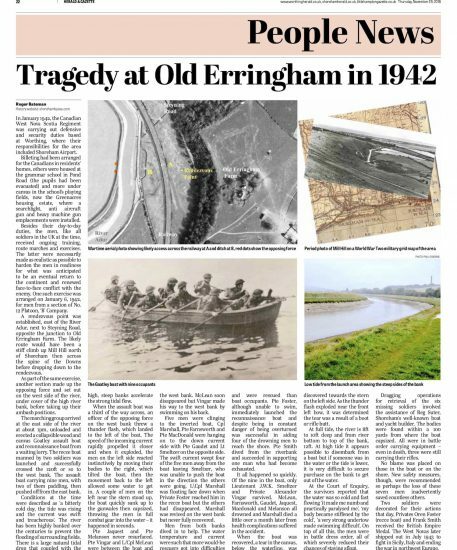 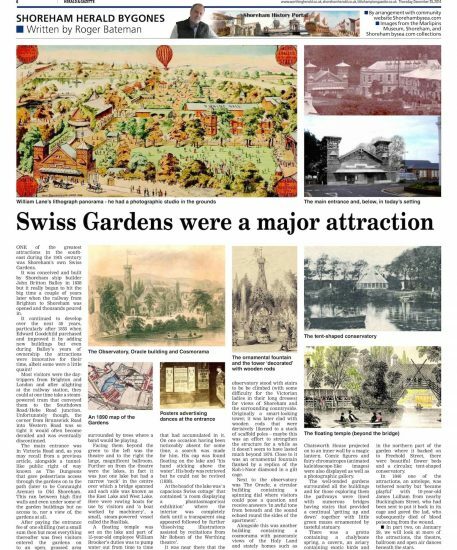 Researched and written by well-known local historians such as Alan Upton, Ted Heasman and Freddie Feest (and even our own contributions that were published in colour between 2014/17) these articles include many of their own personal reminiscences. 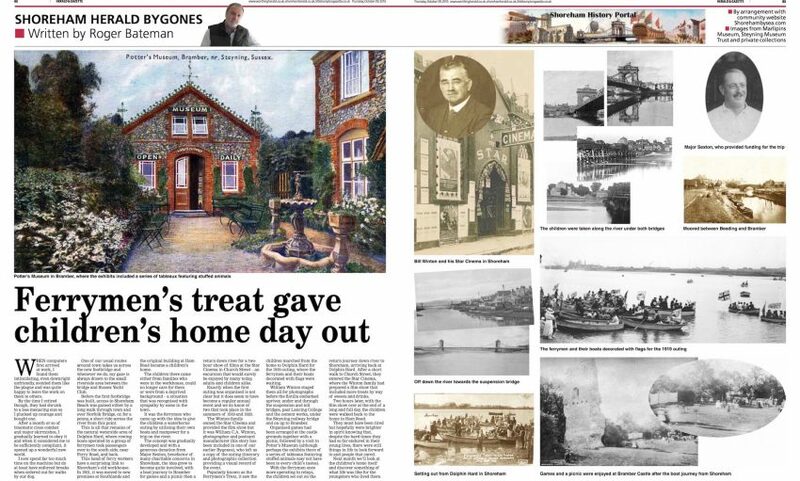 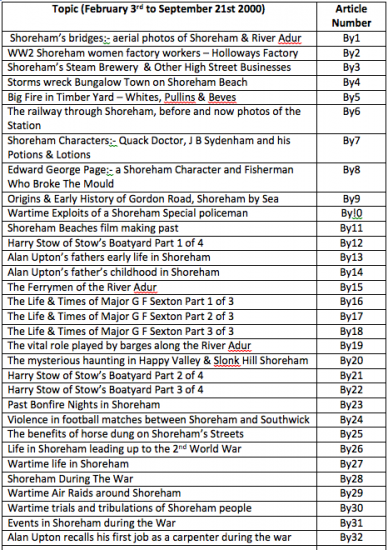 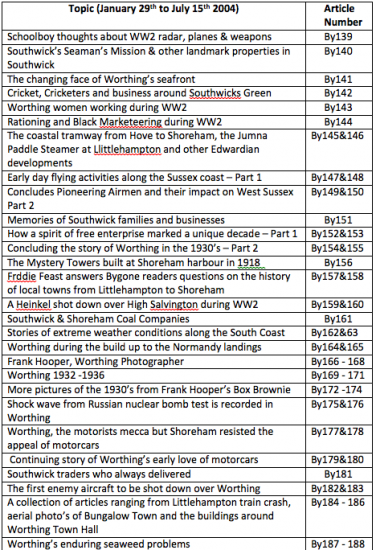 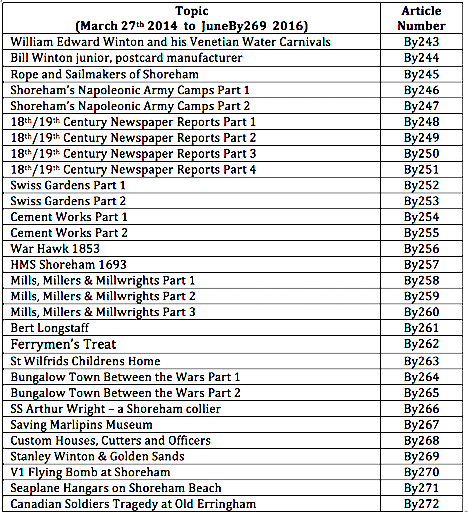 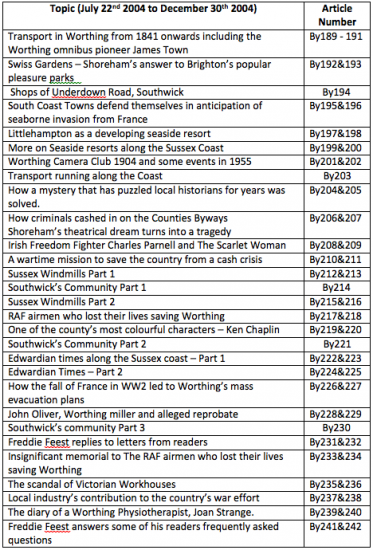 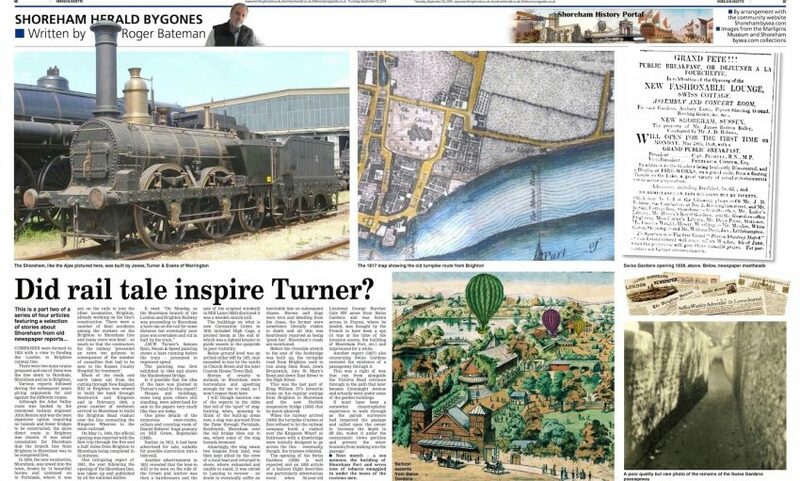 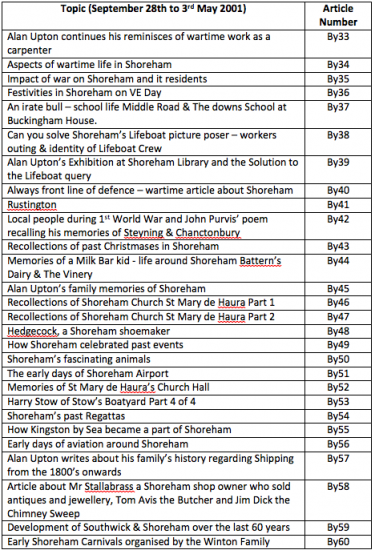 A priceless collection of local history for our area including Shoreham, Southwick, Lancing, Littlehampton and Worthing. 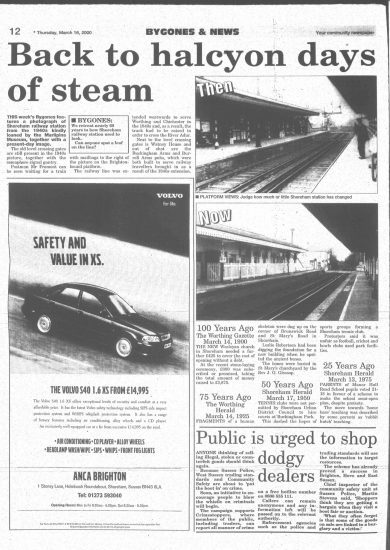 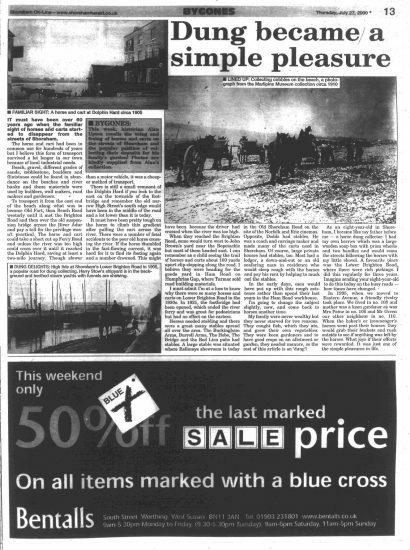 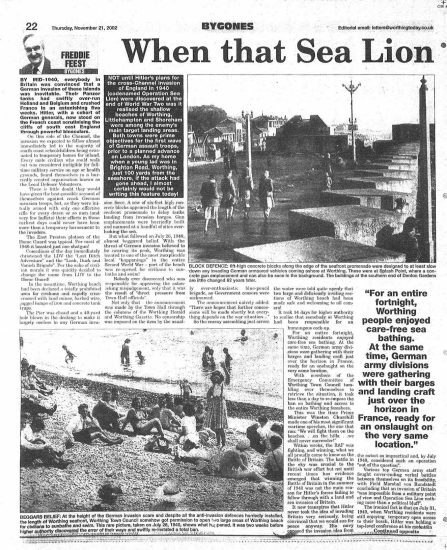 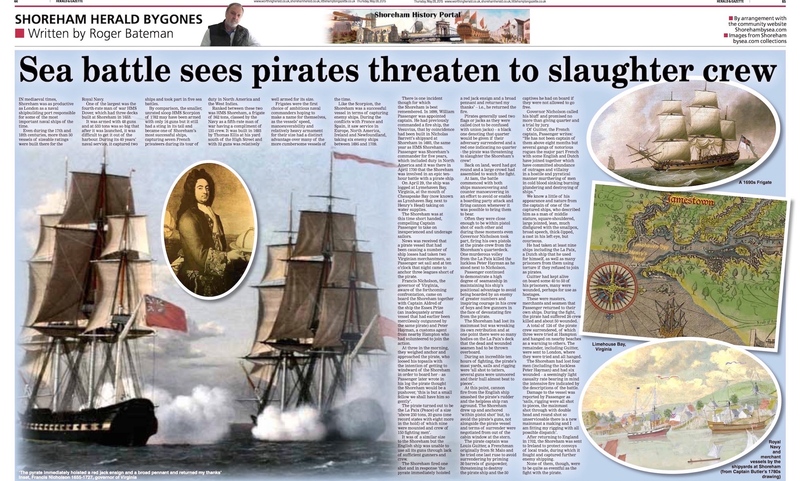 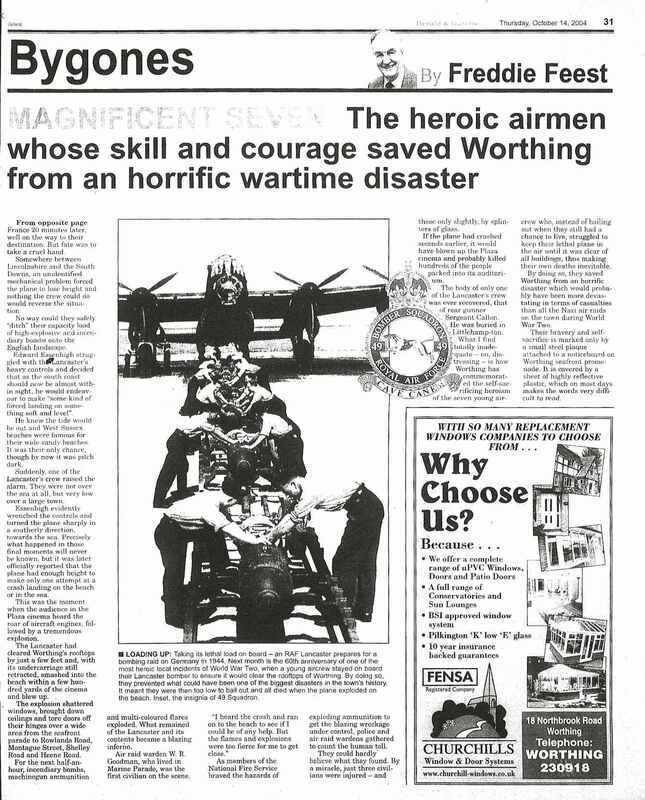 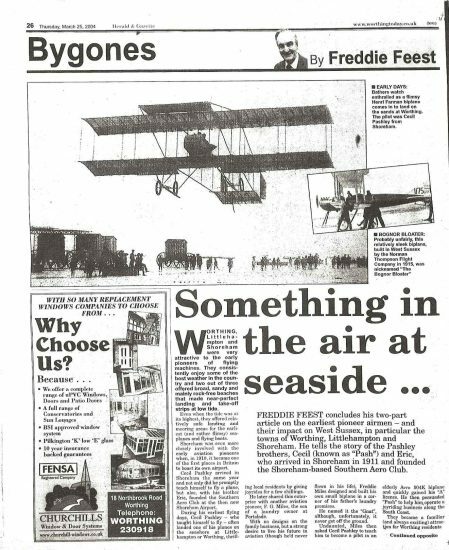 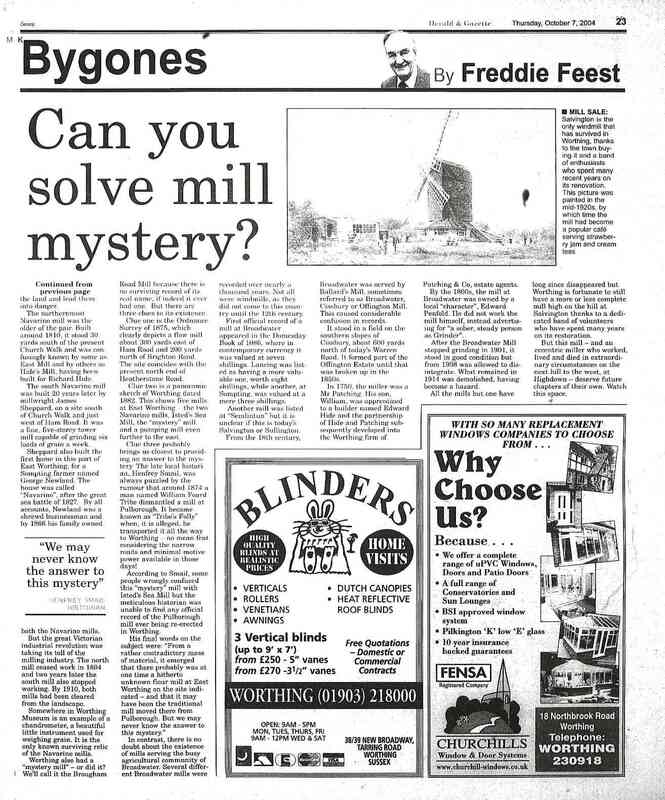 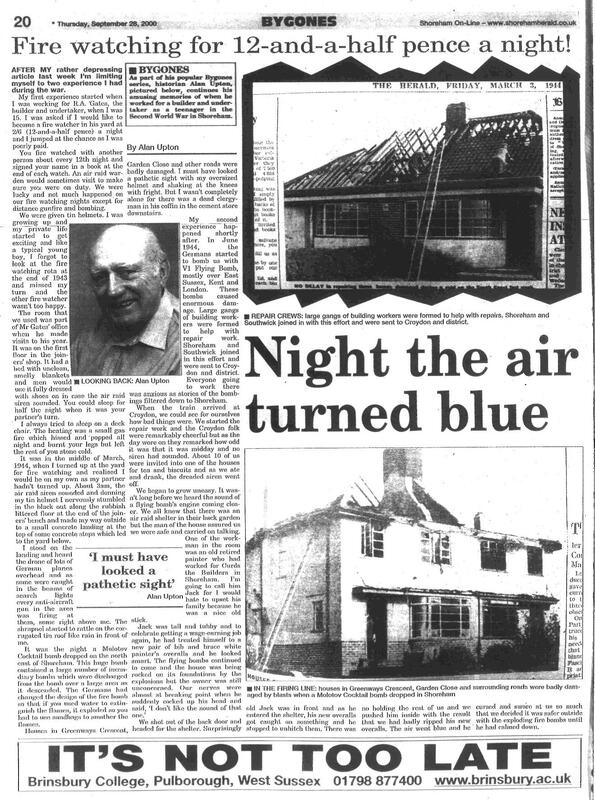 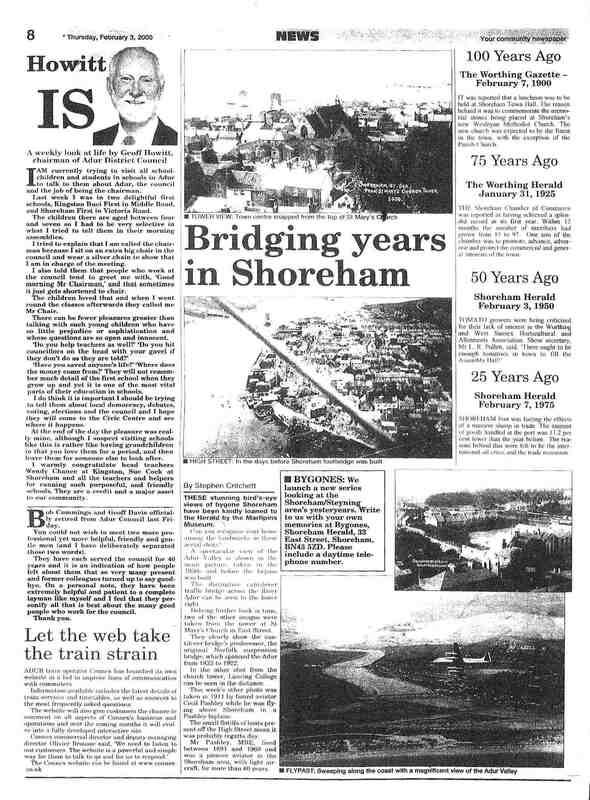 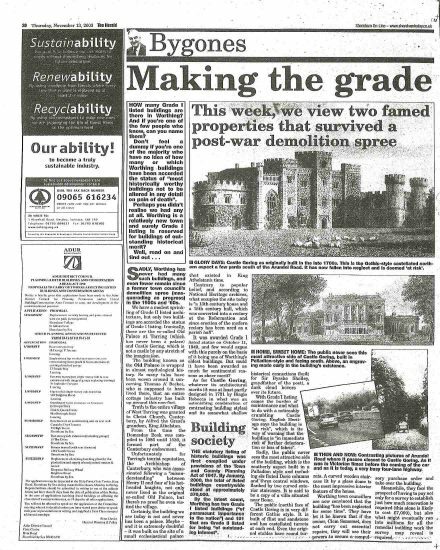 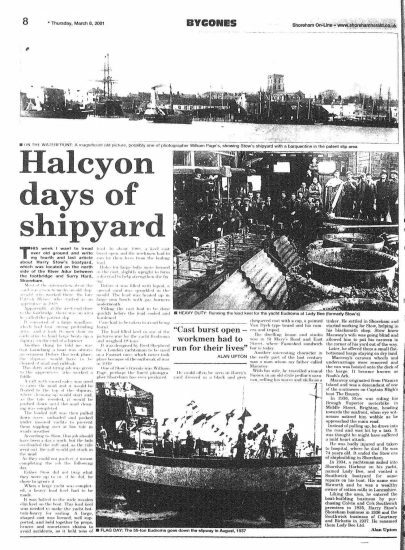 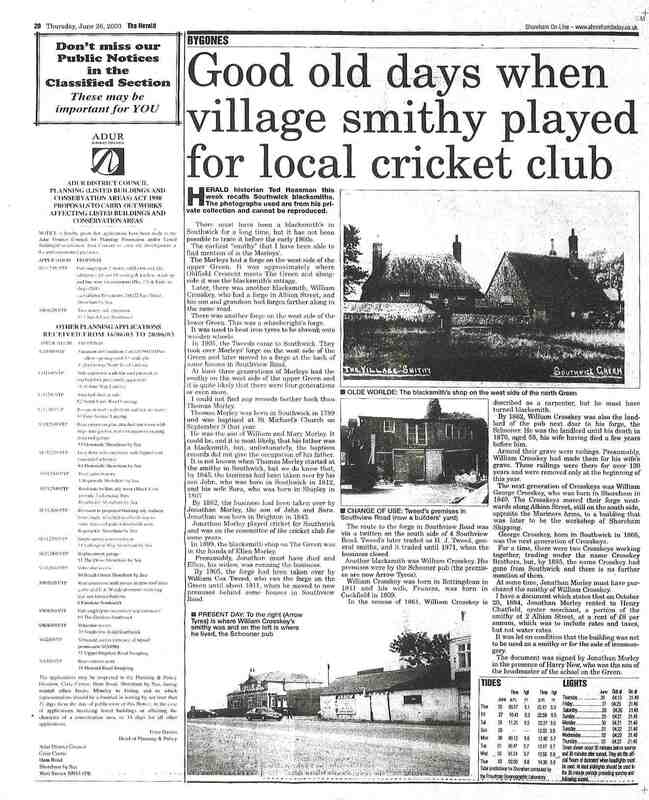 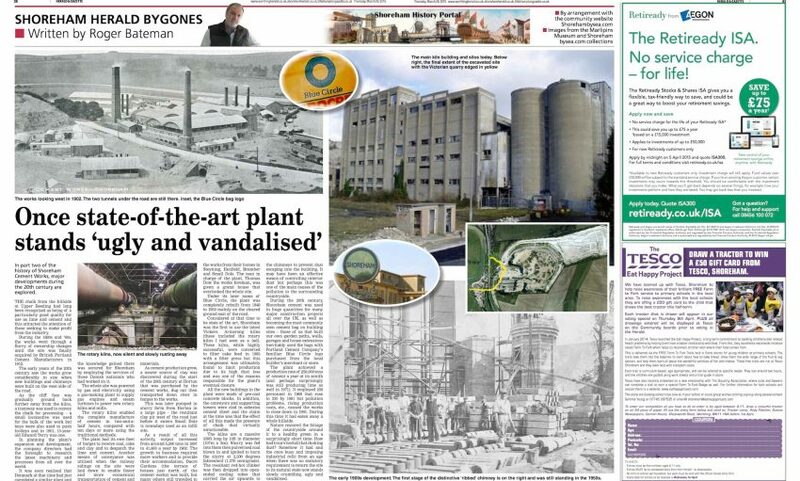 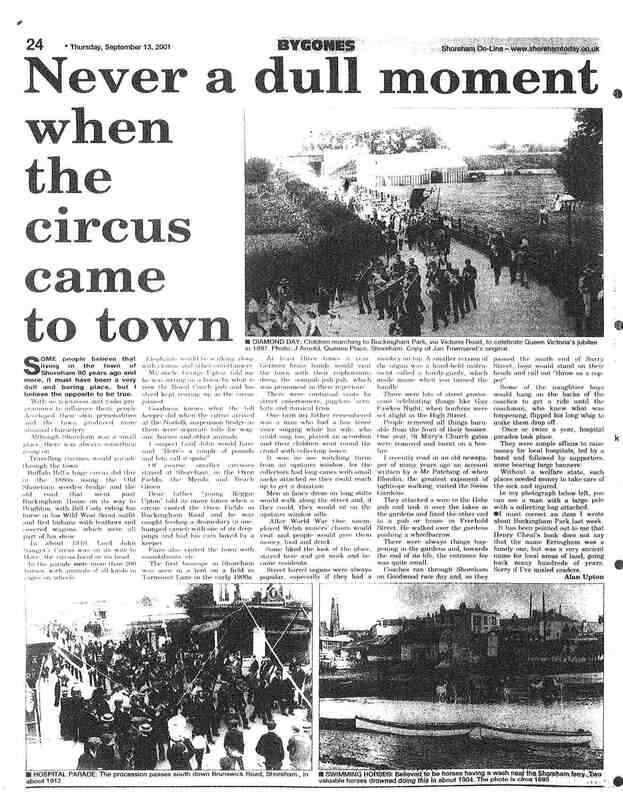 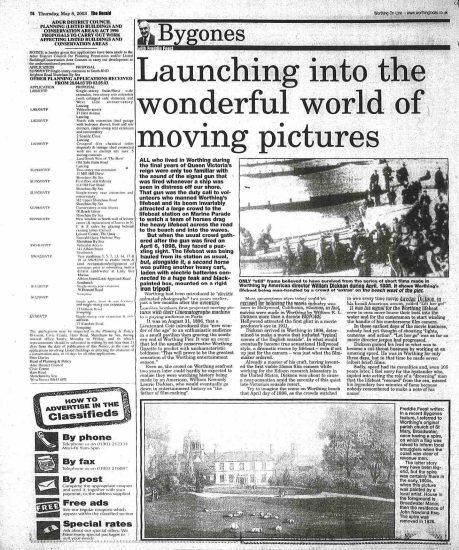 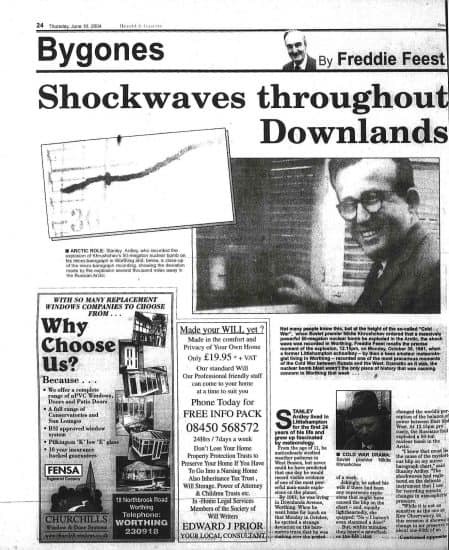 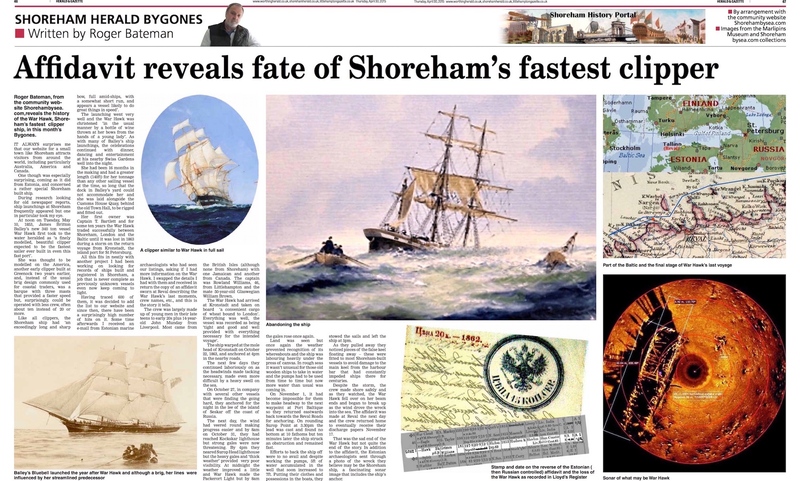 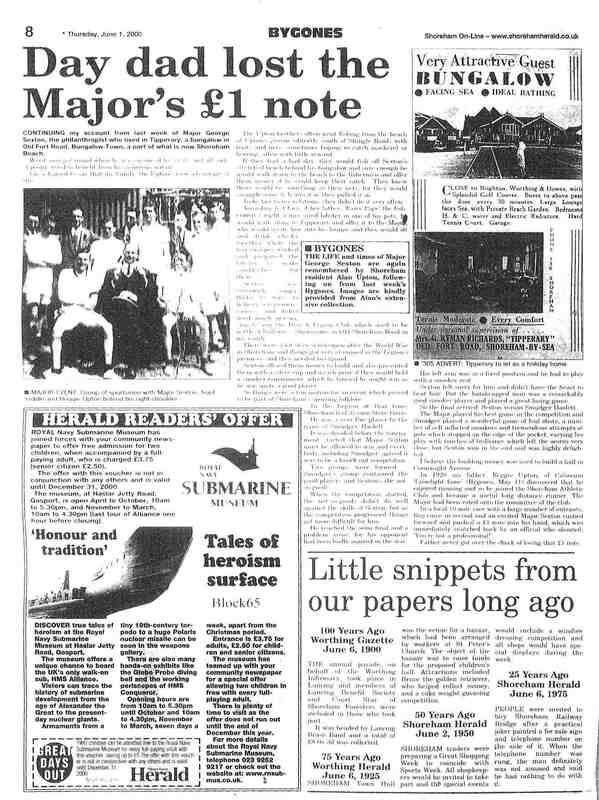 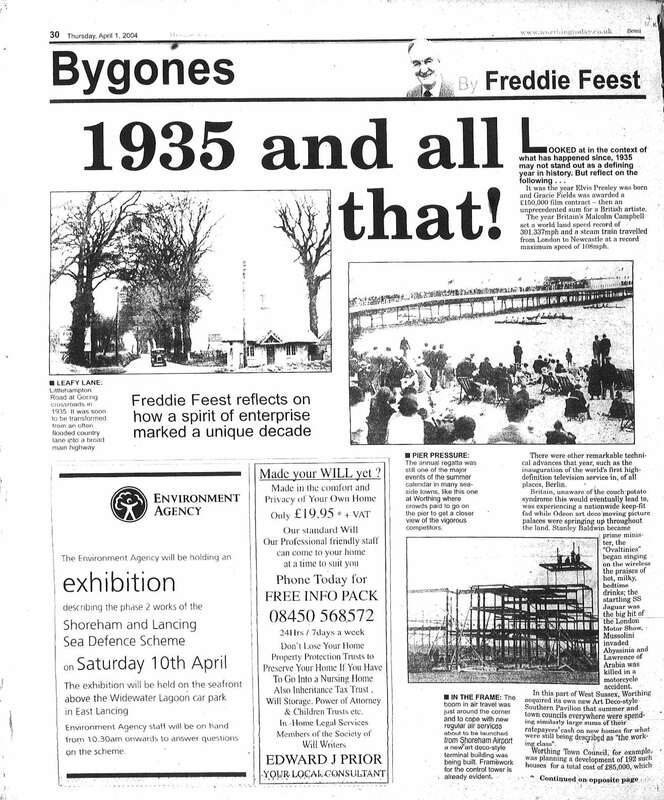 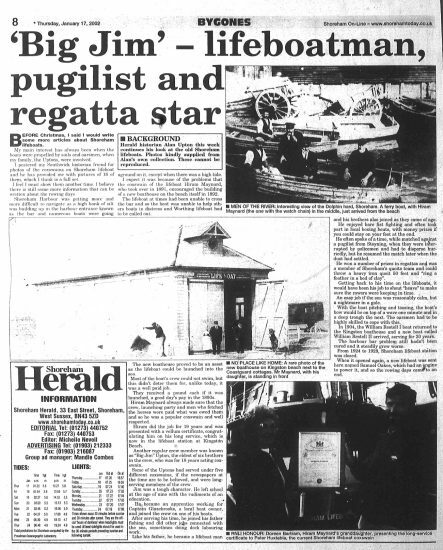 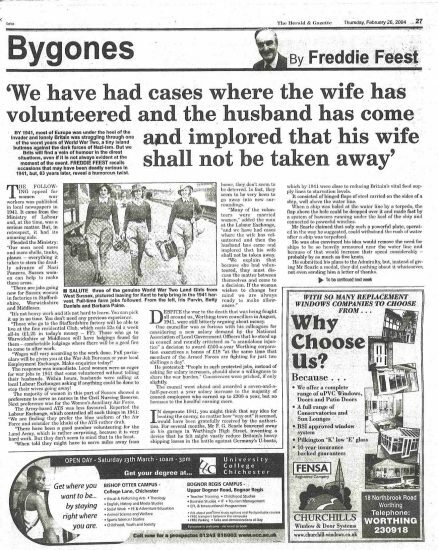 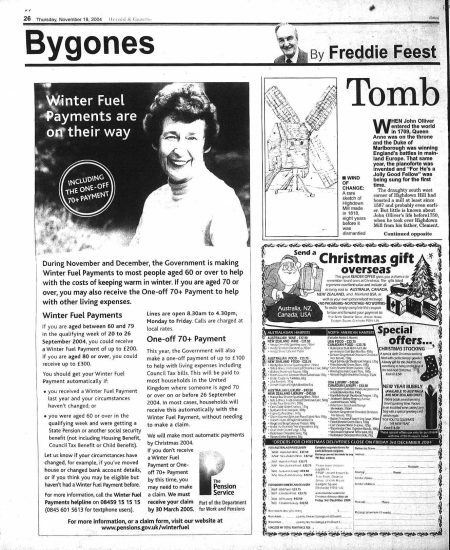 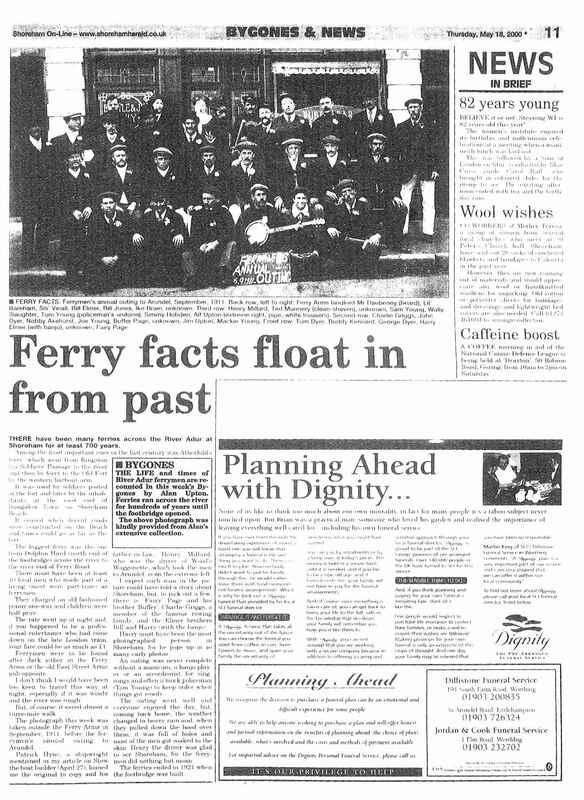 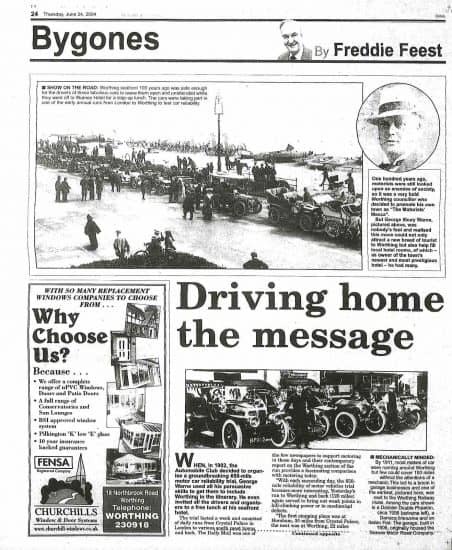 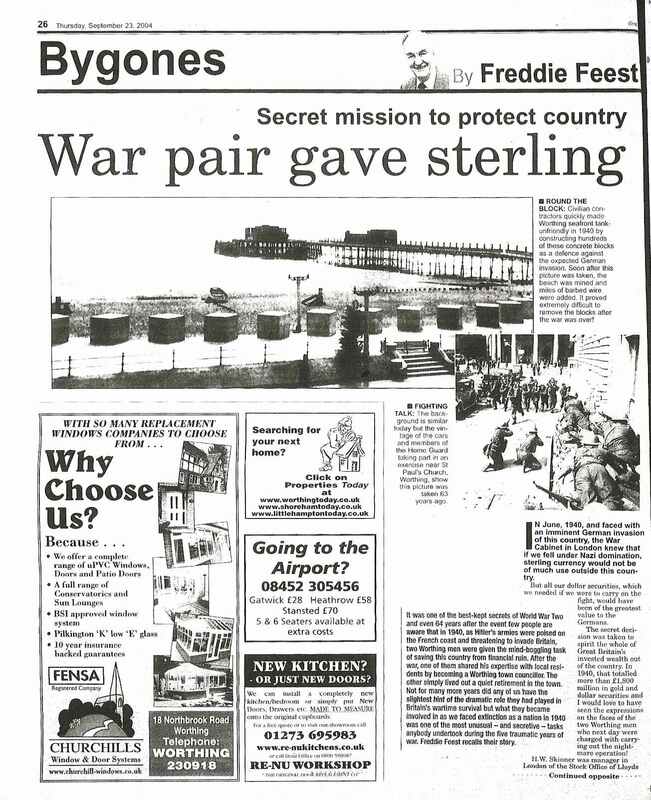 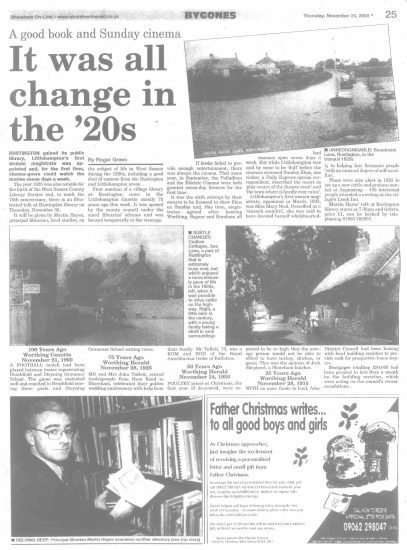 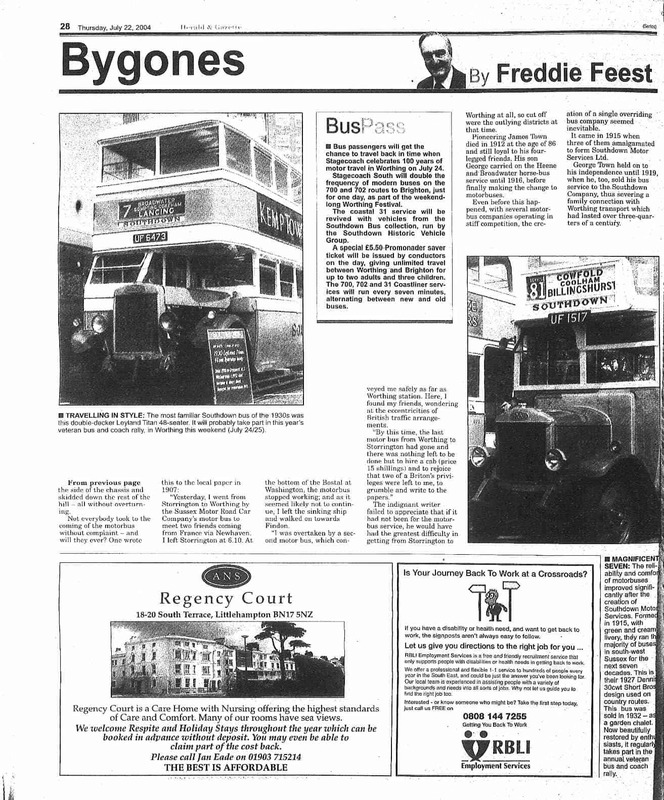 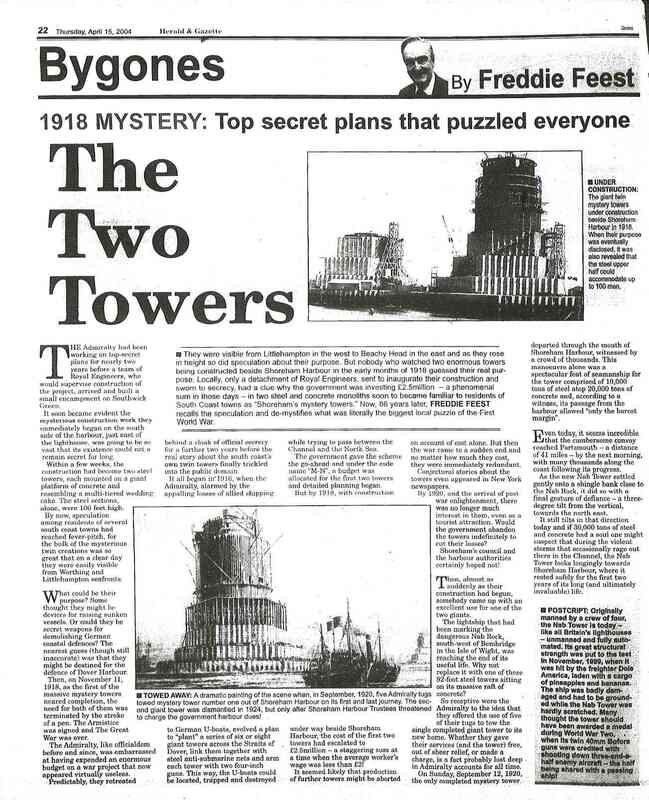 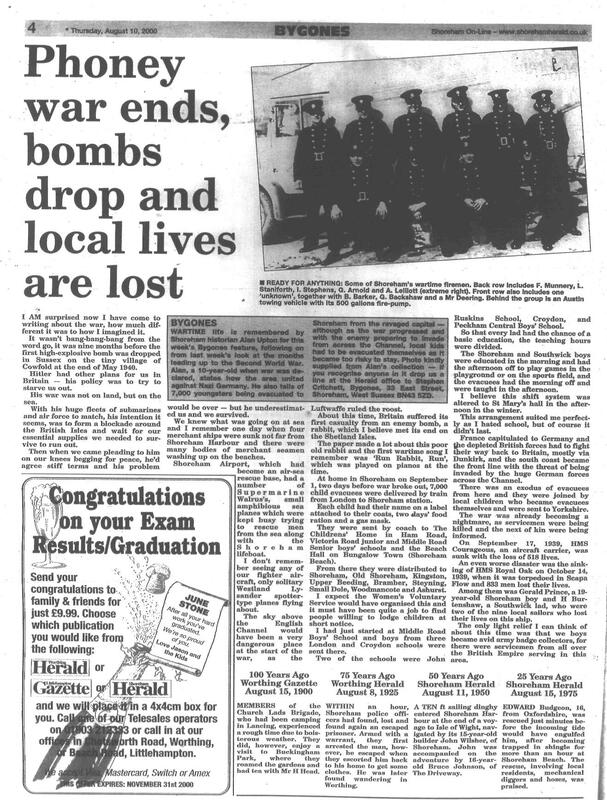 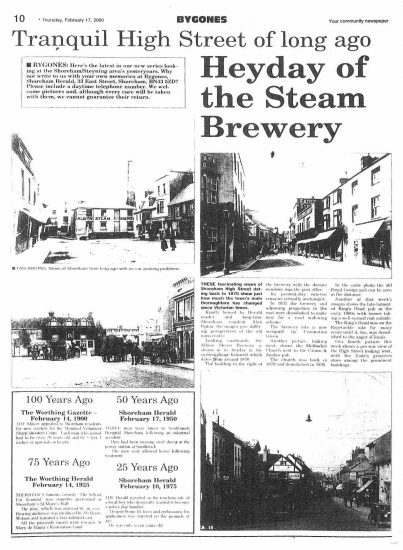 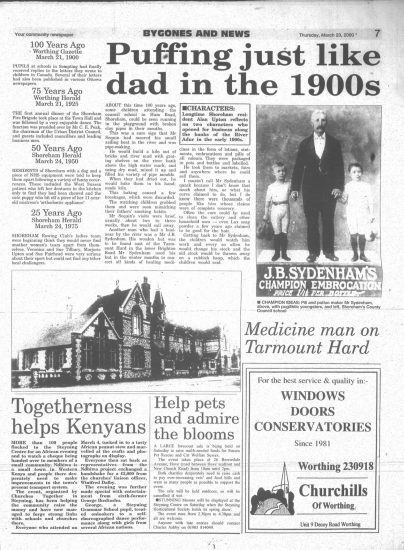 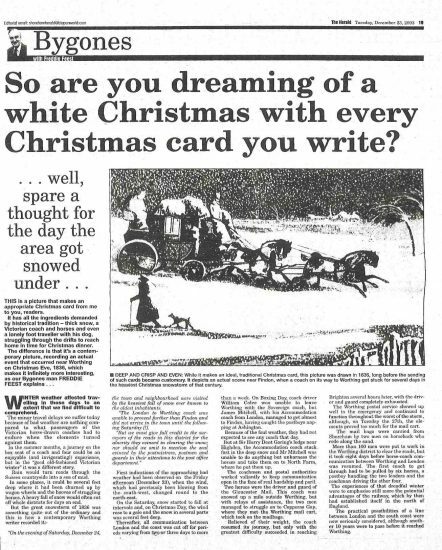 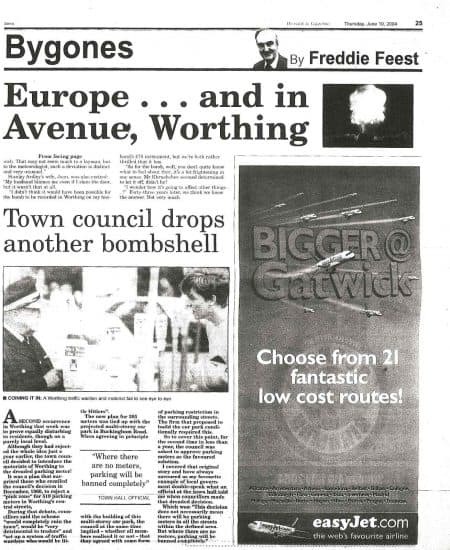 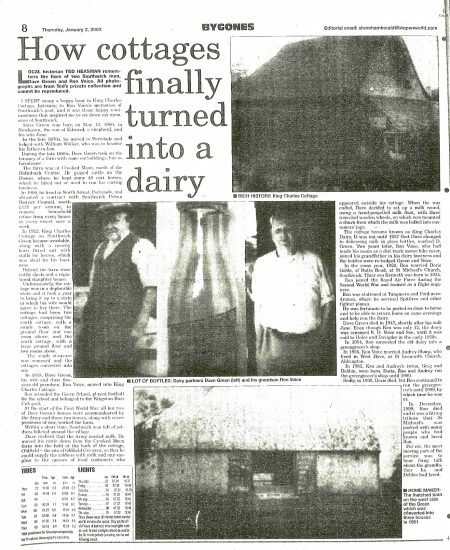 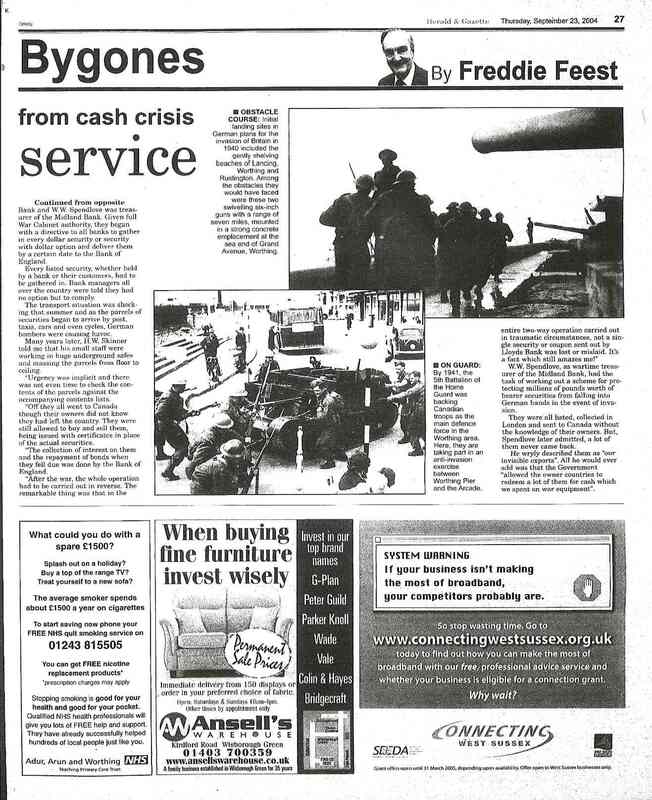 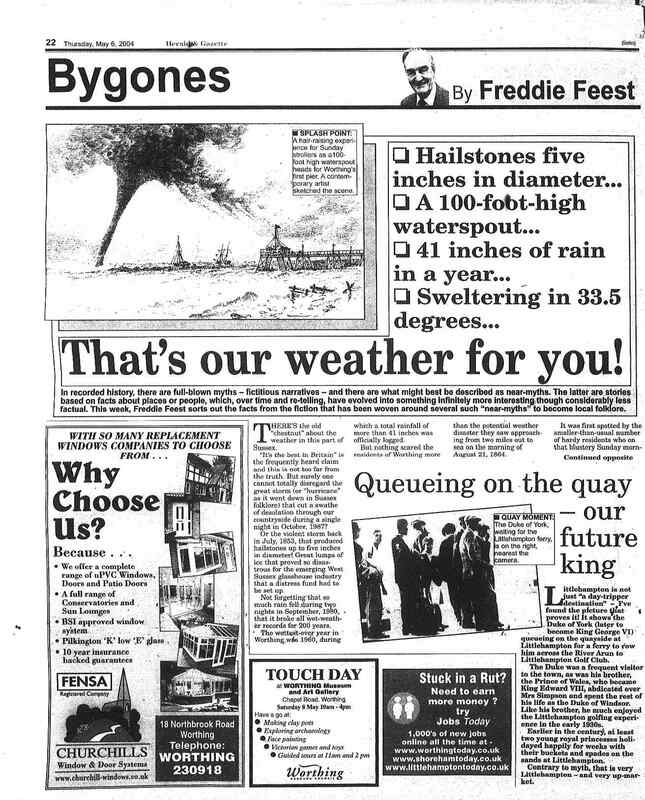 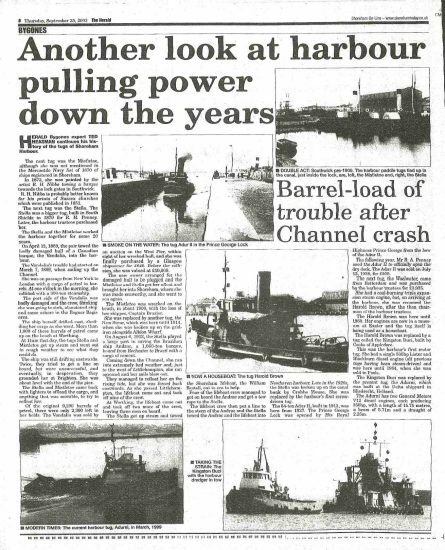 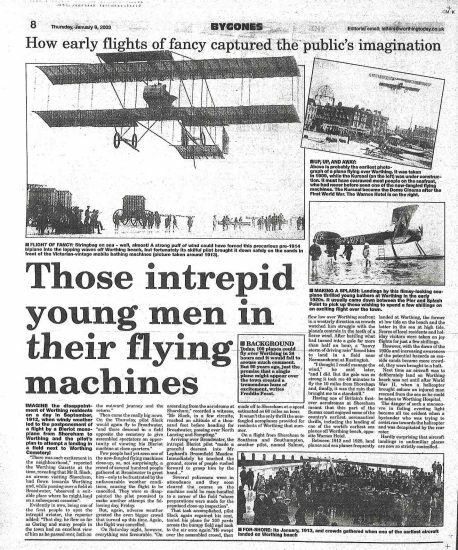 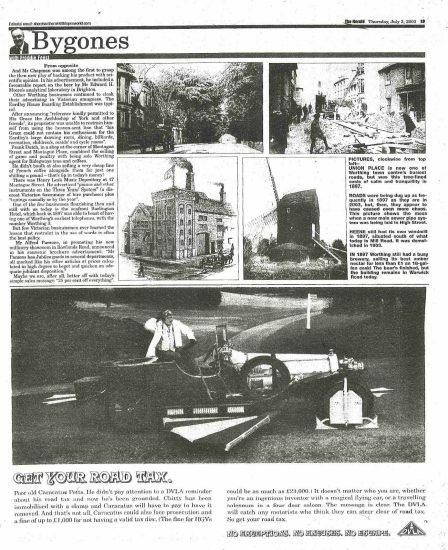 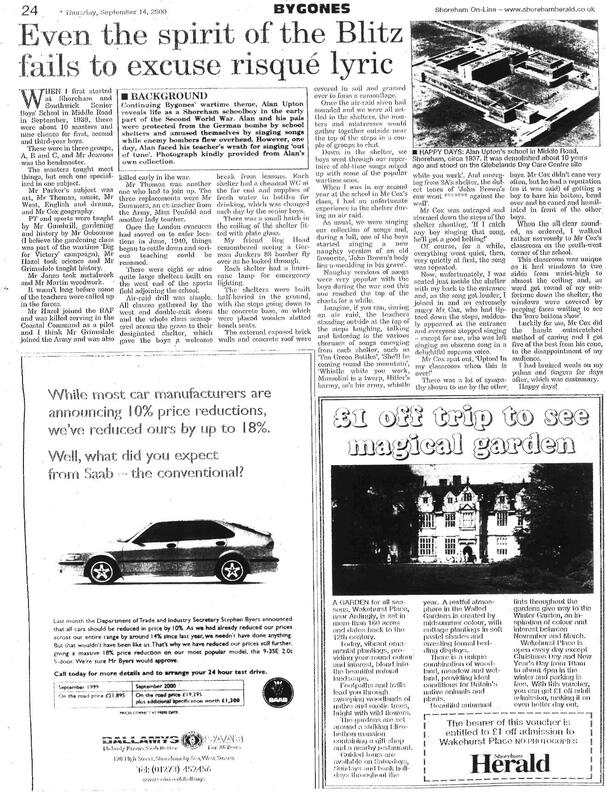 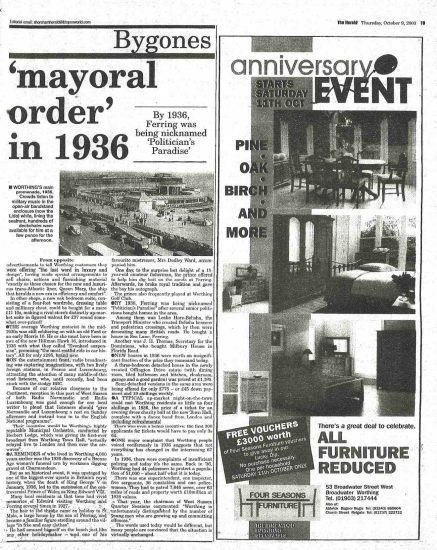 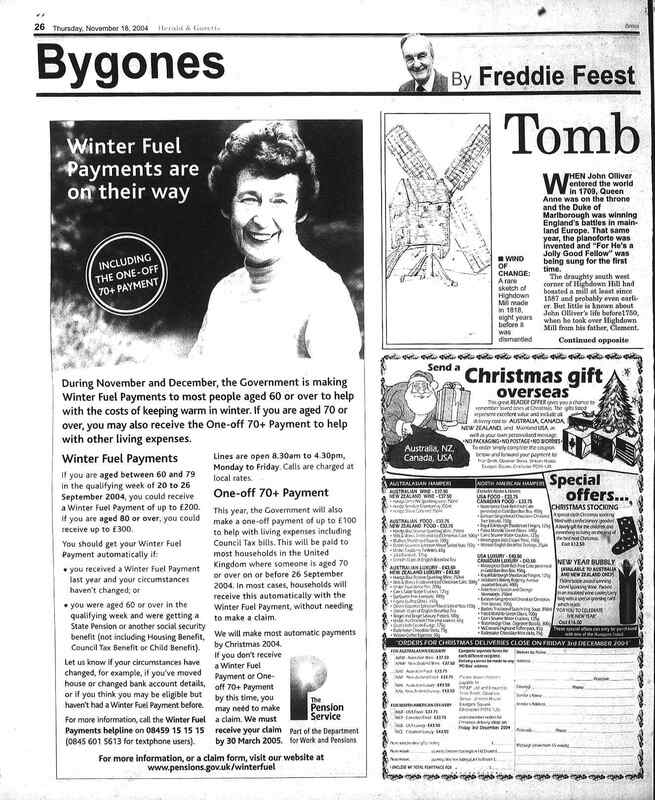 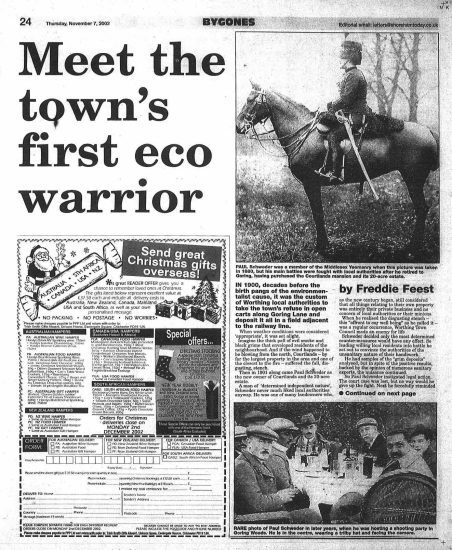 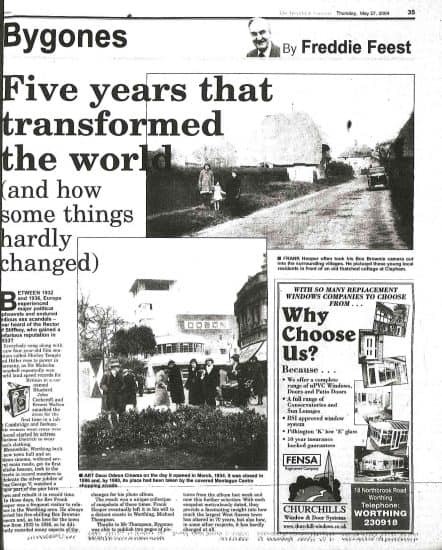 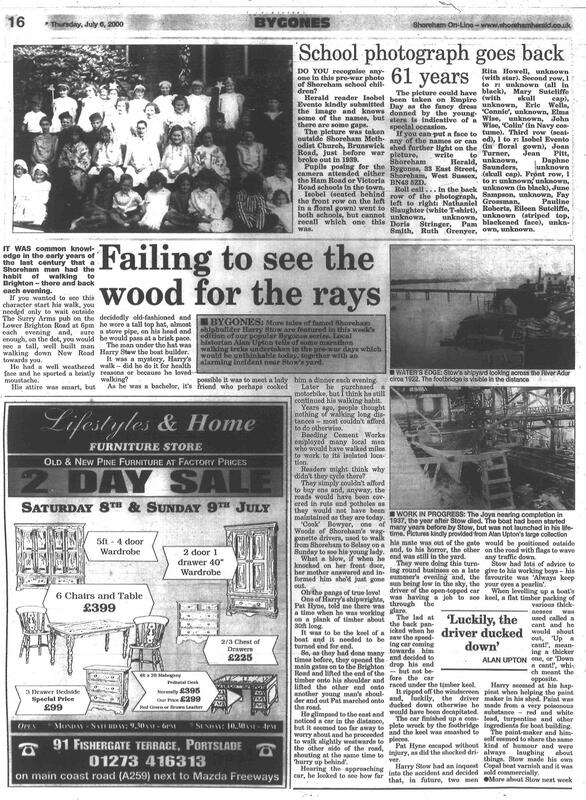 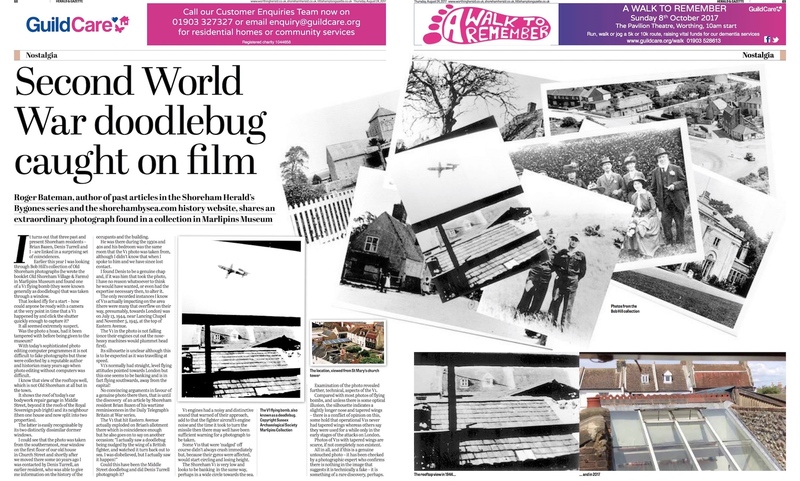 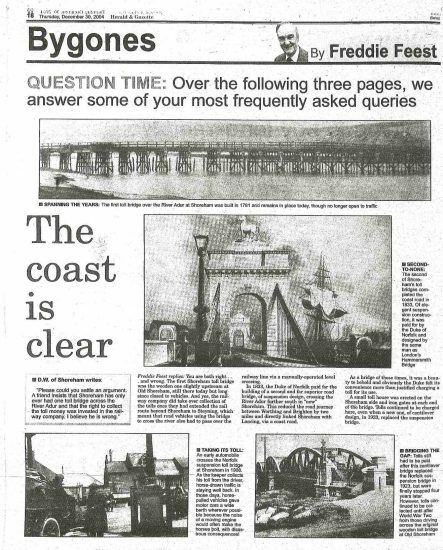 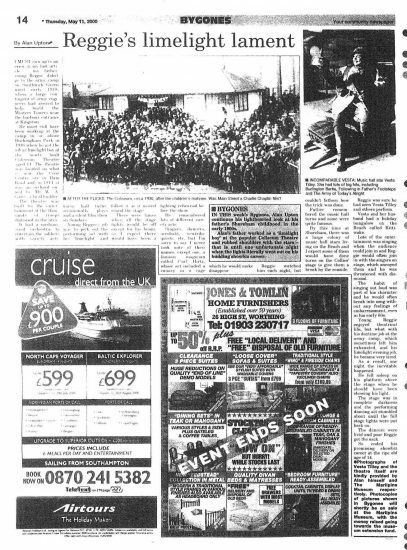 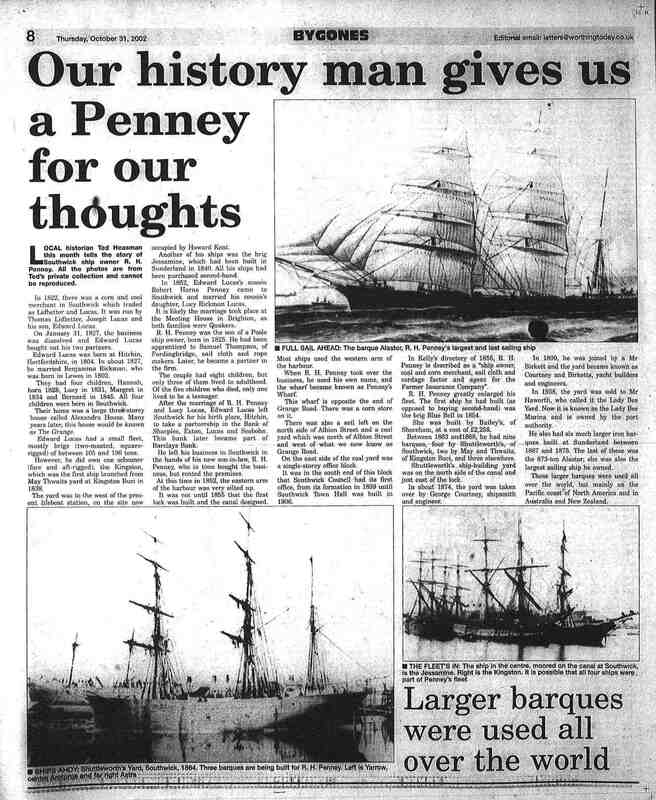 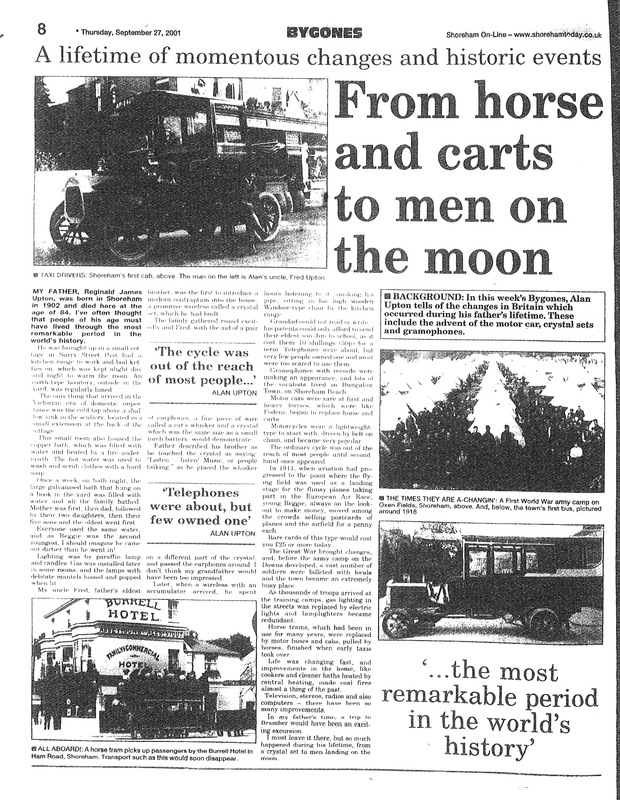 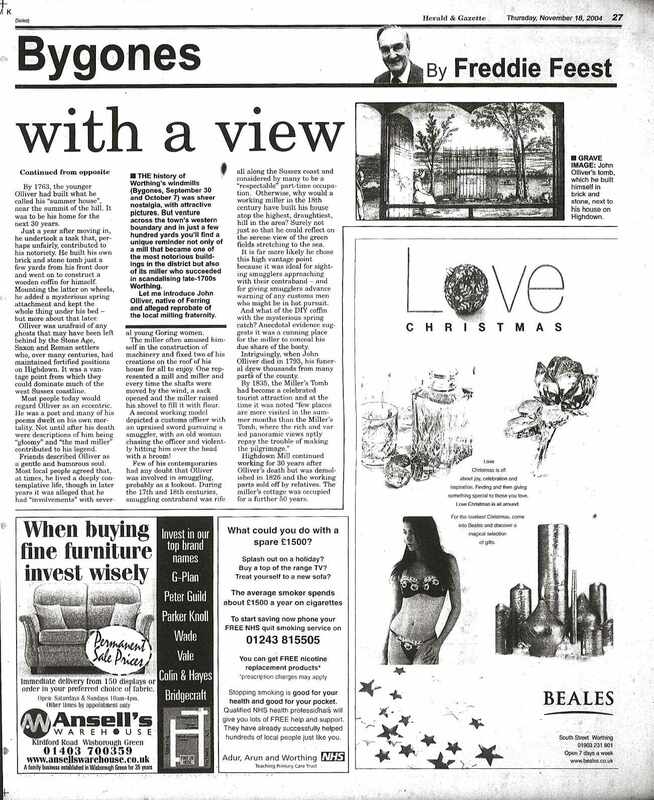 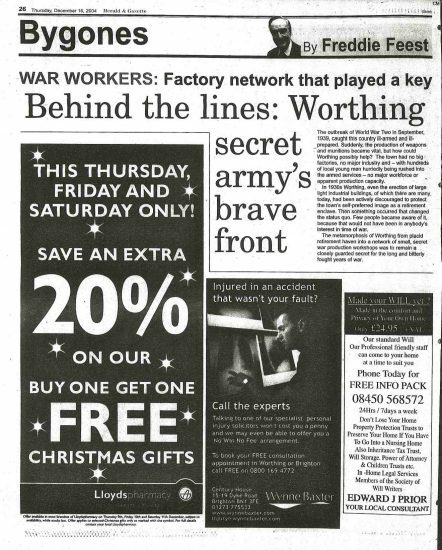 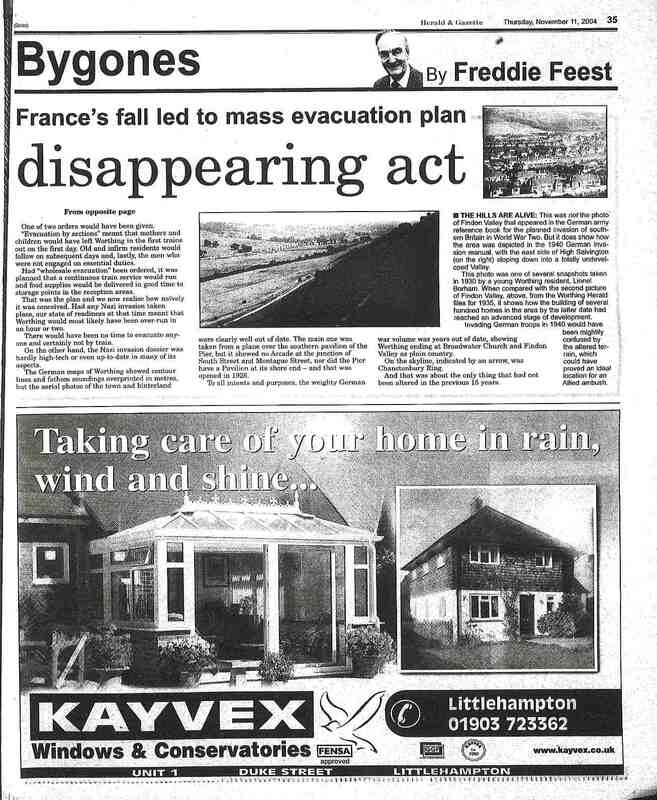 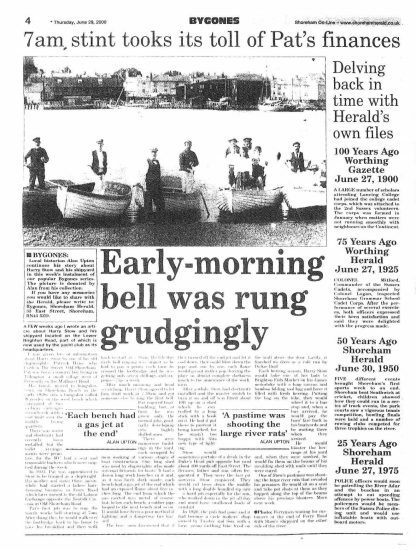 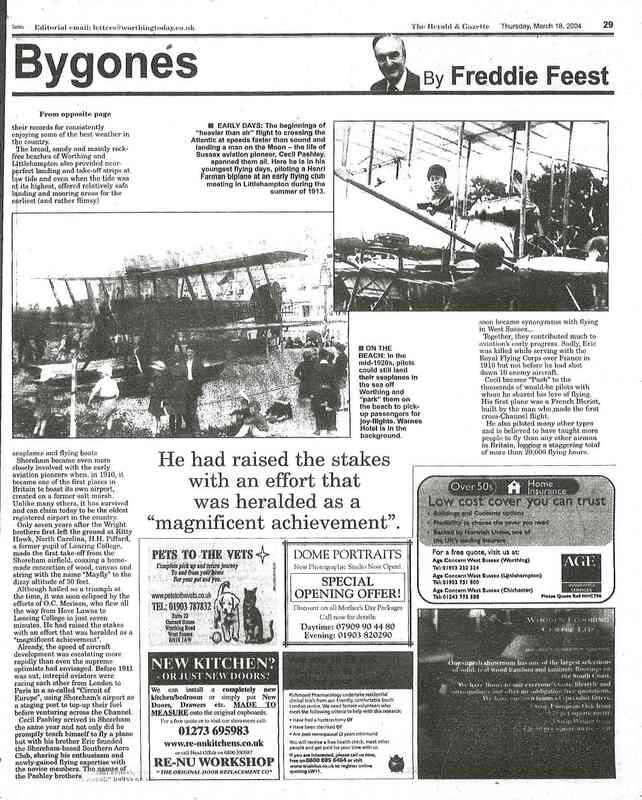 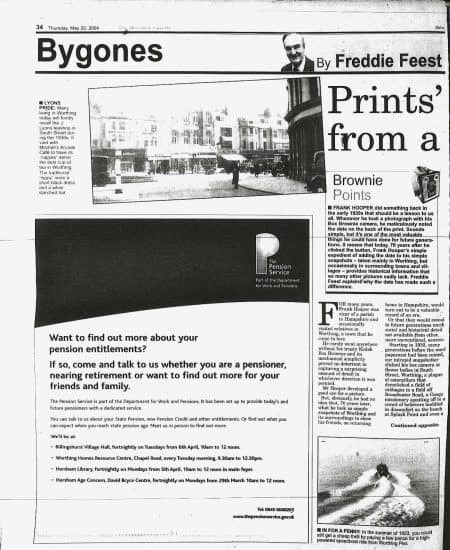 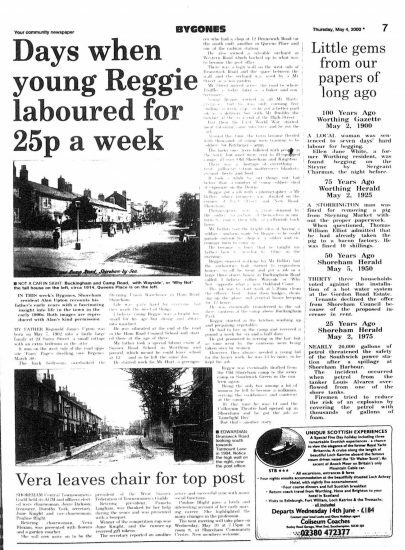 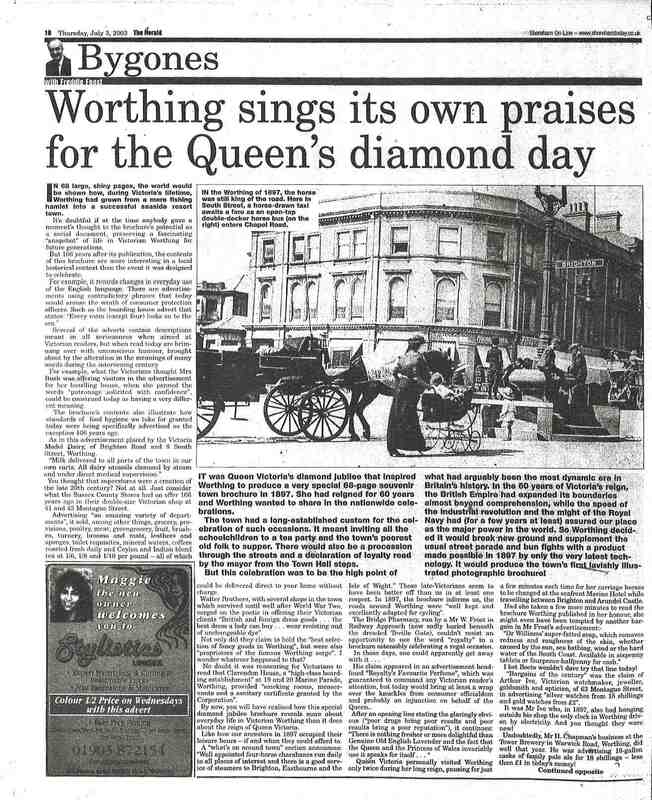 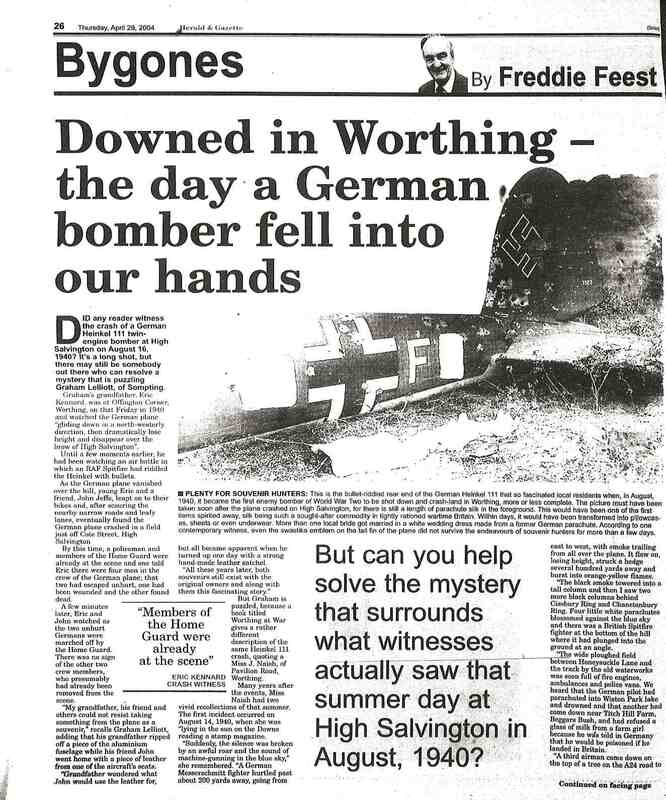 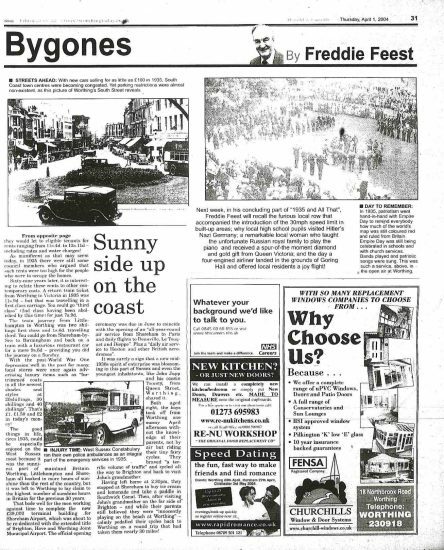 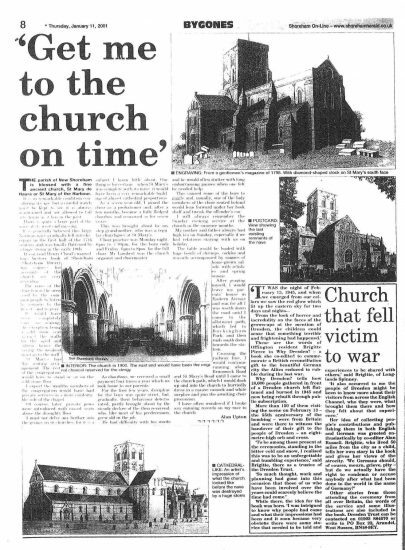 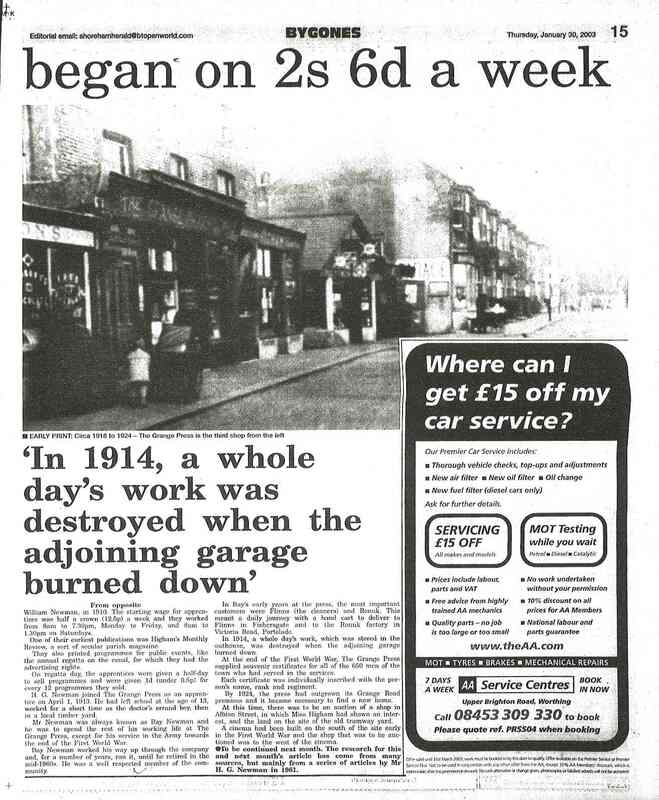 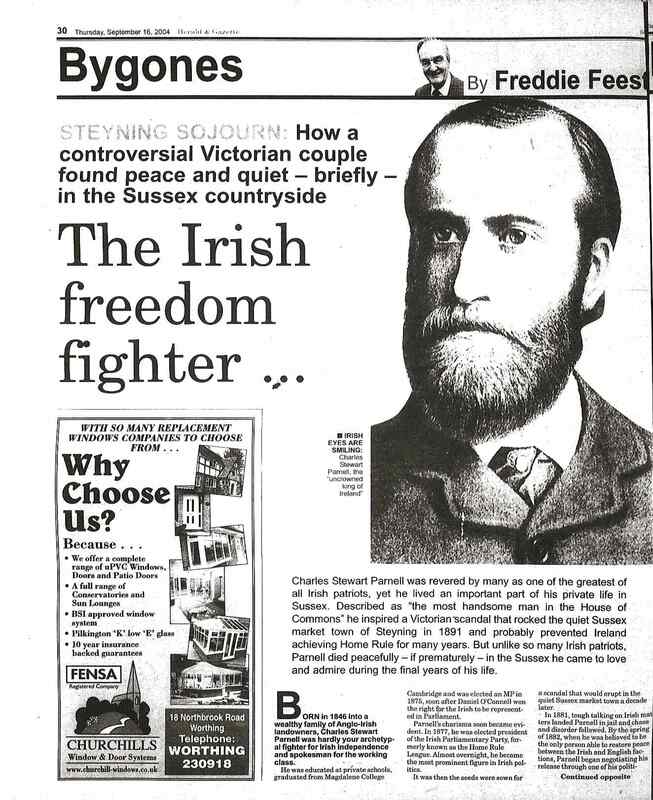 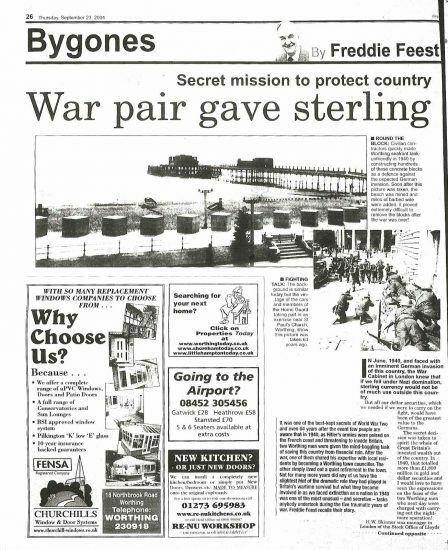 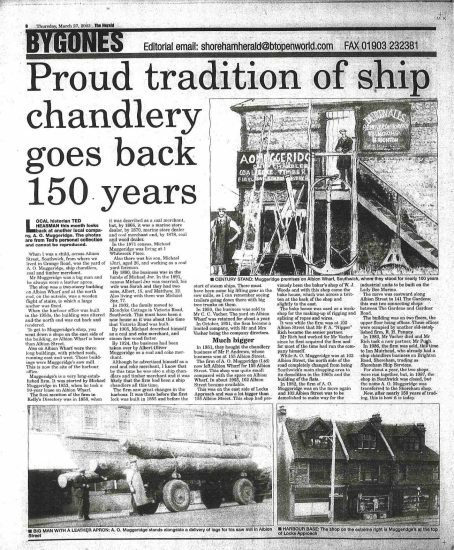 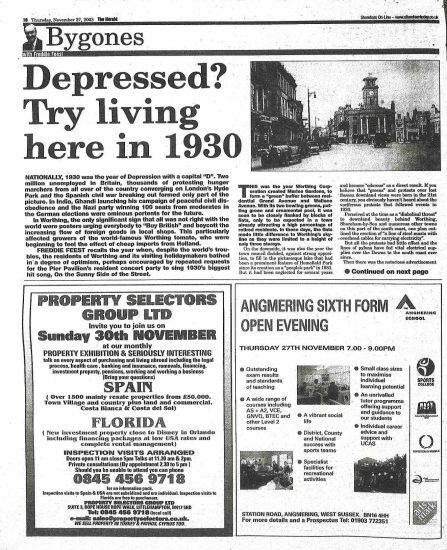 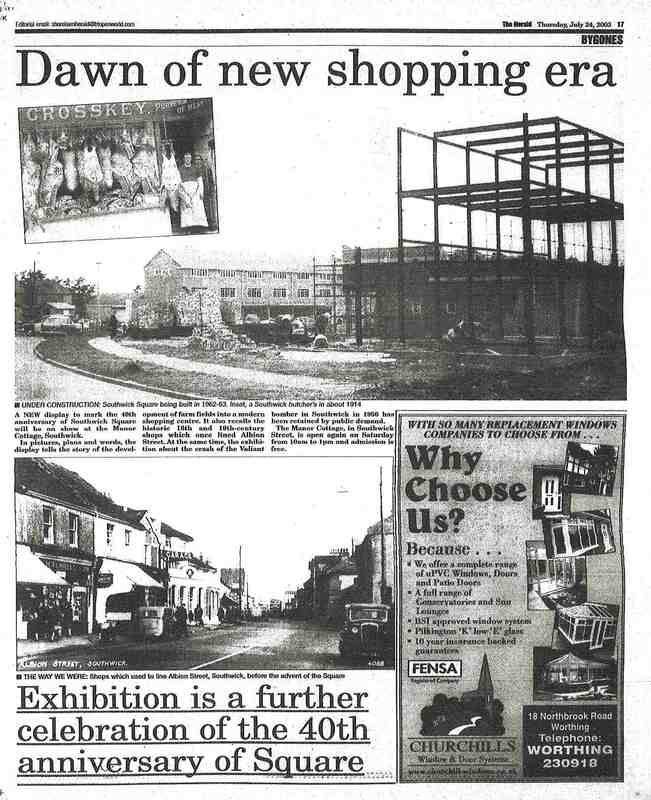 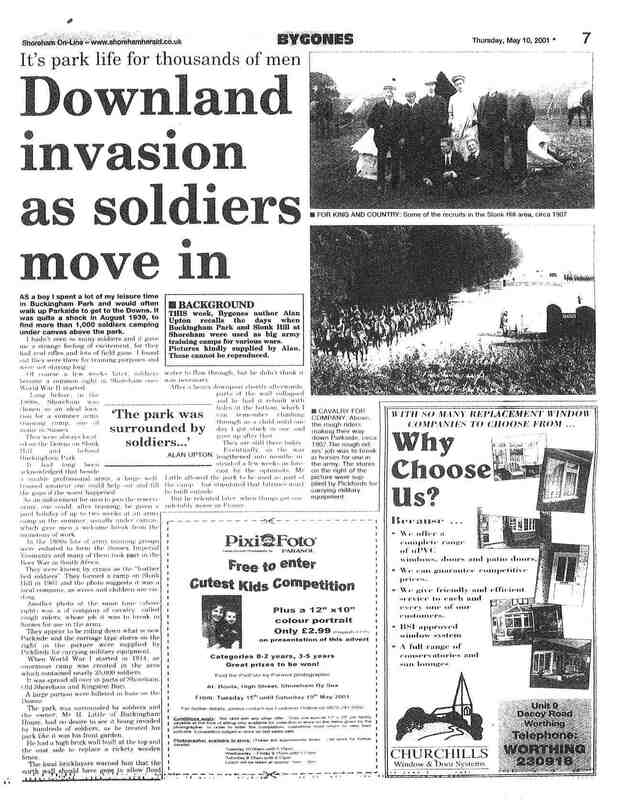 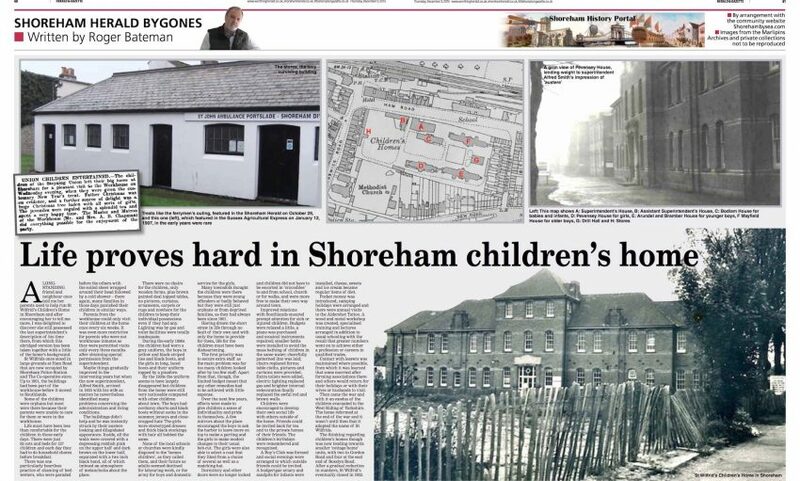 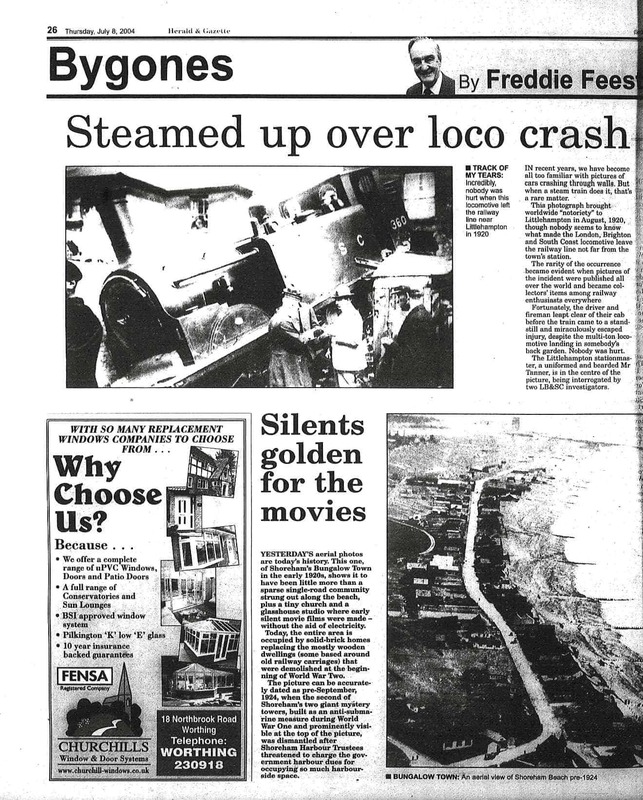 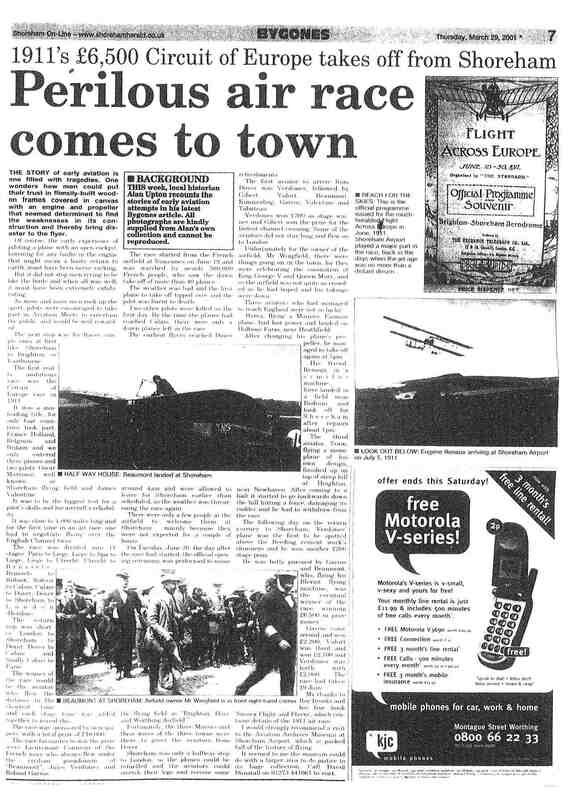 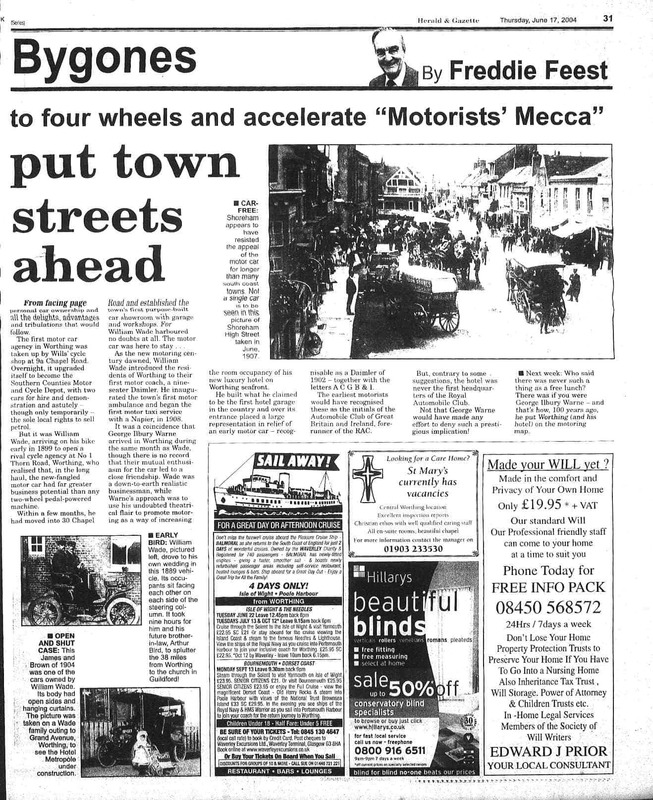 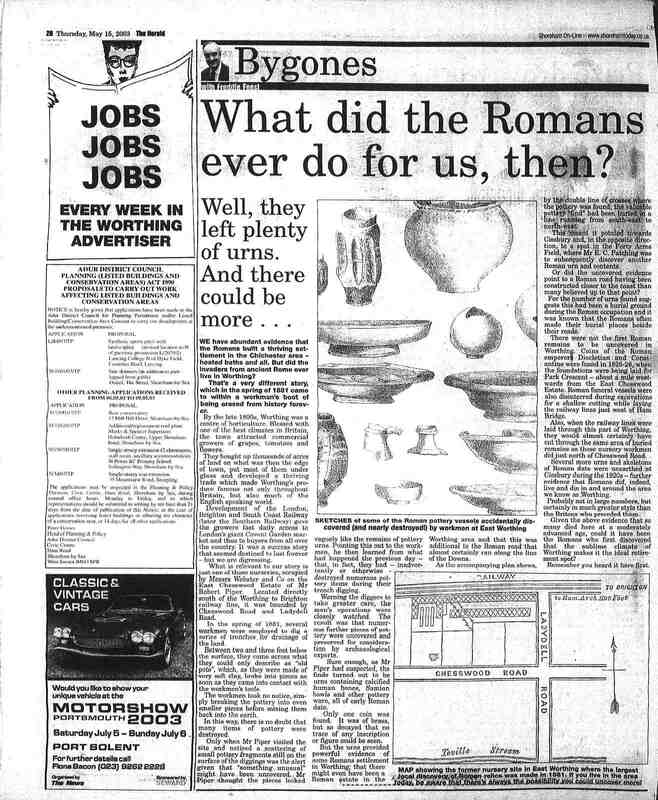 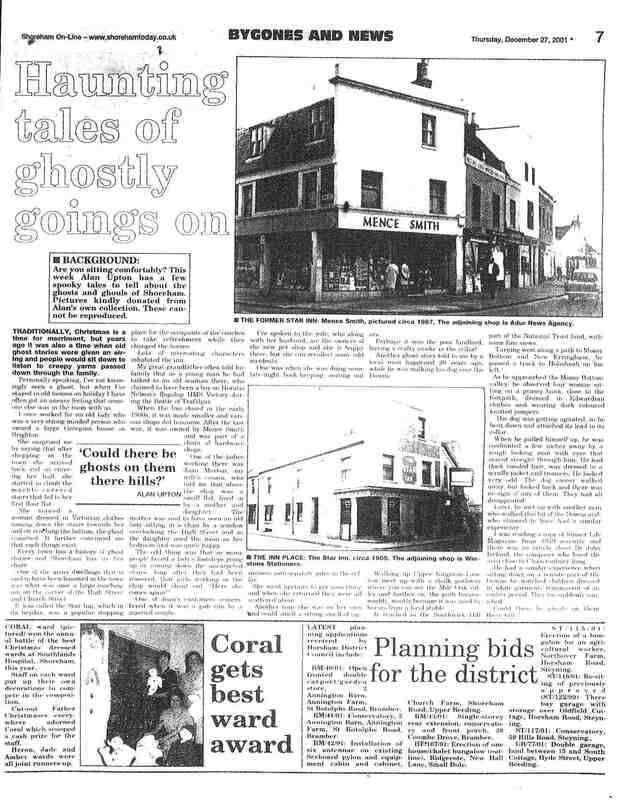 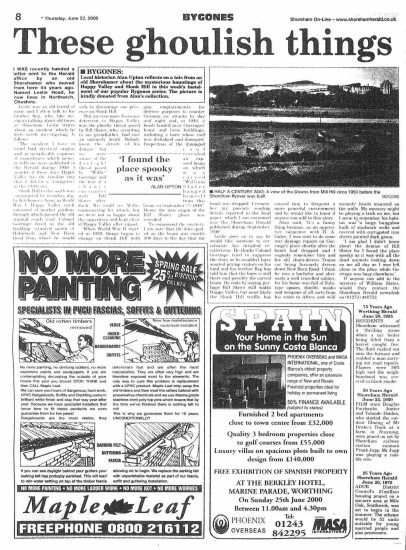 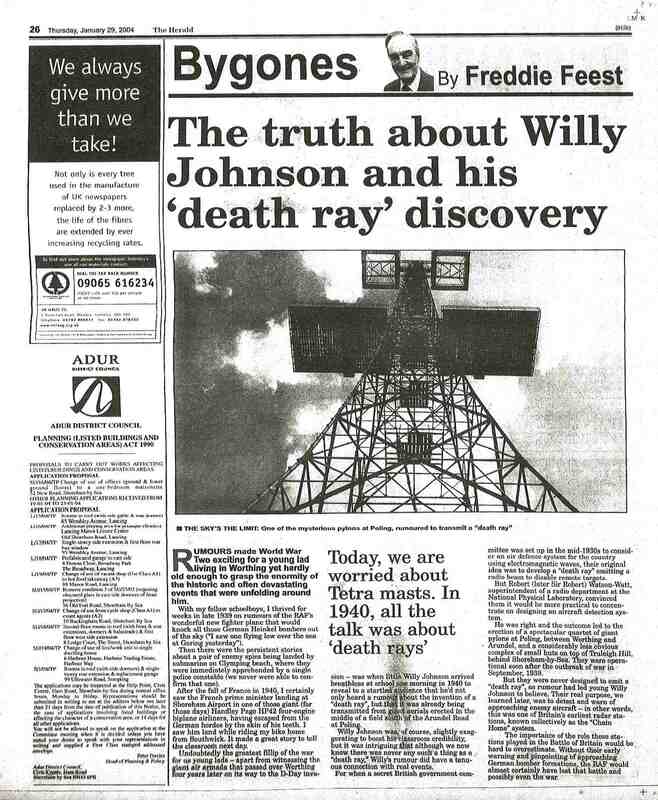 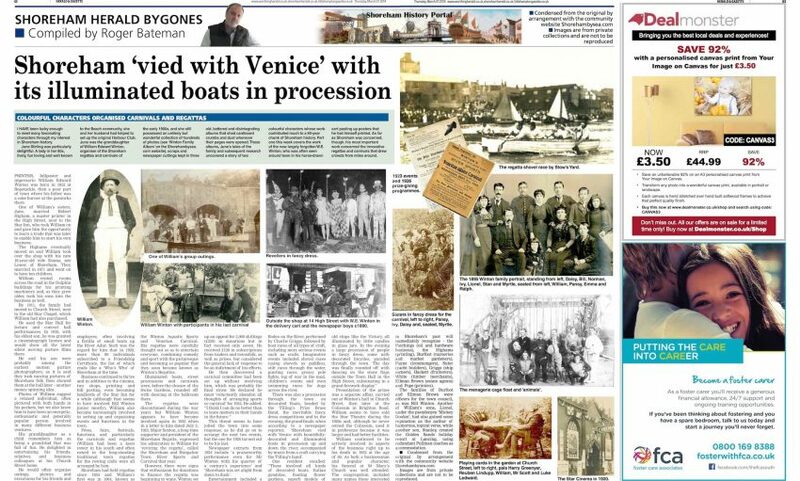 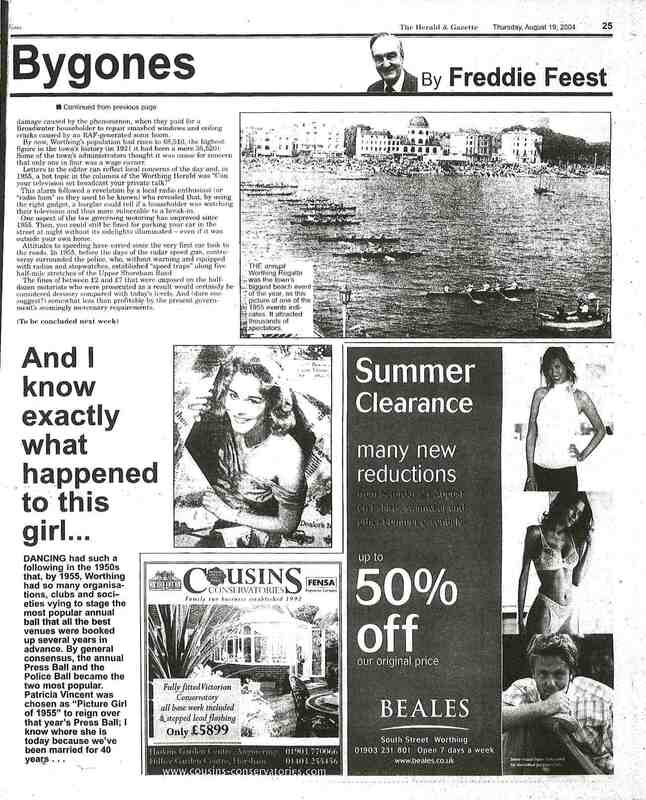 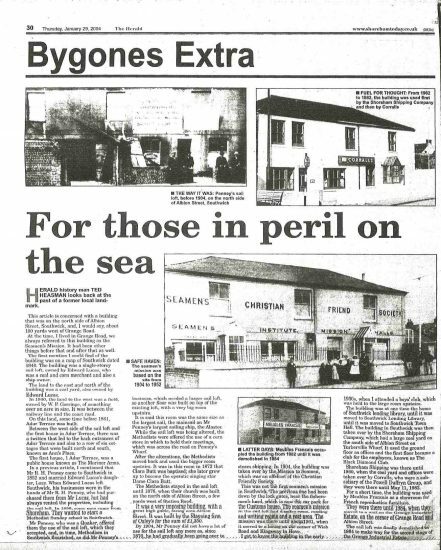 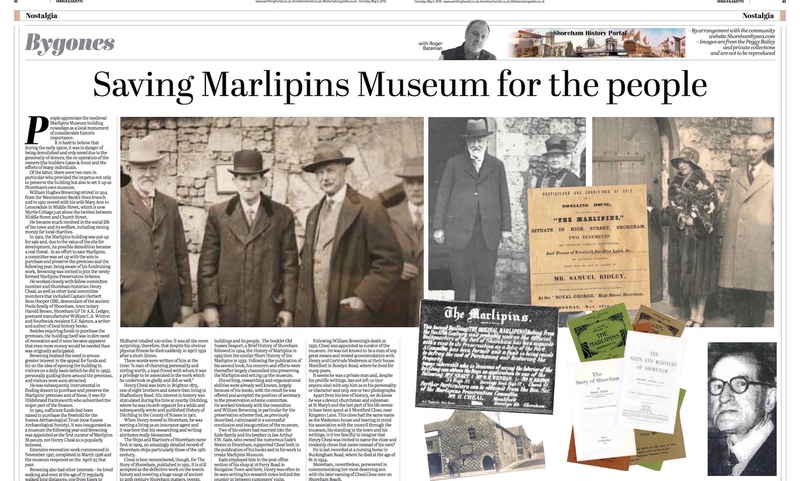 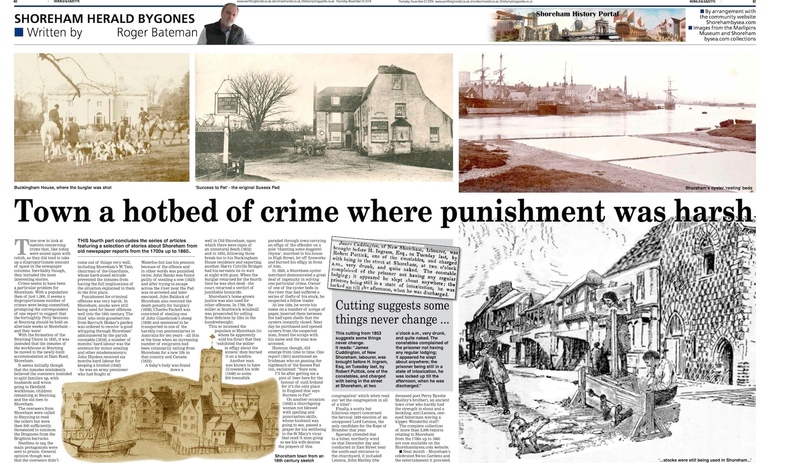 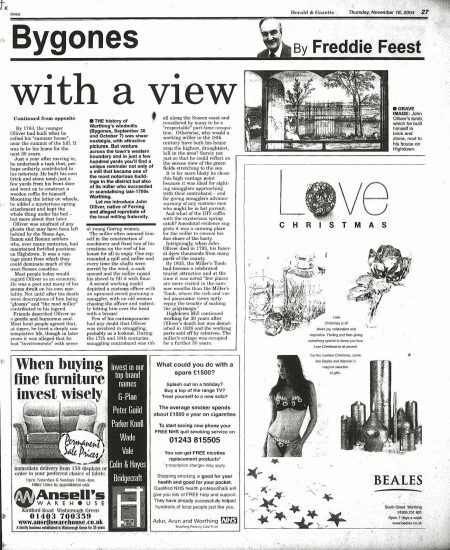 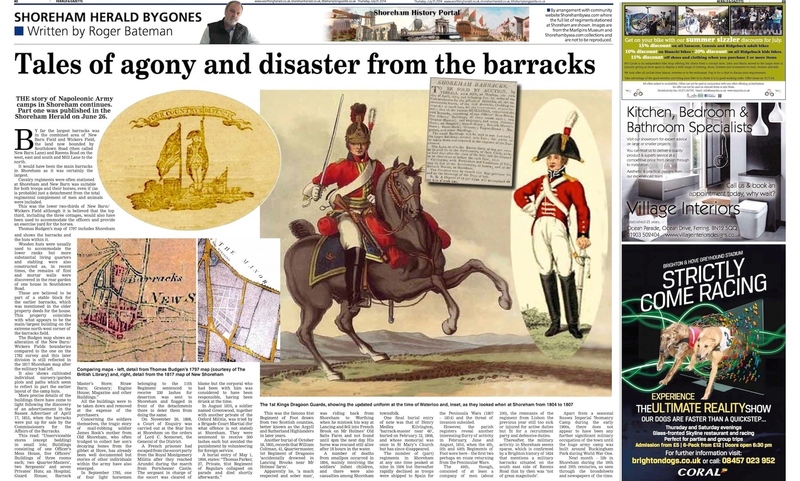 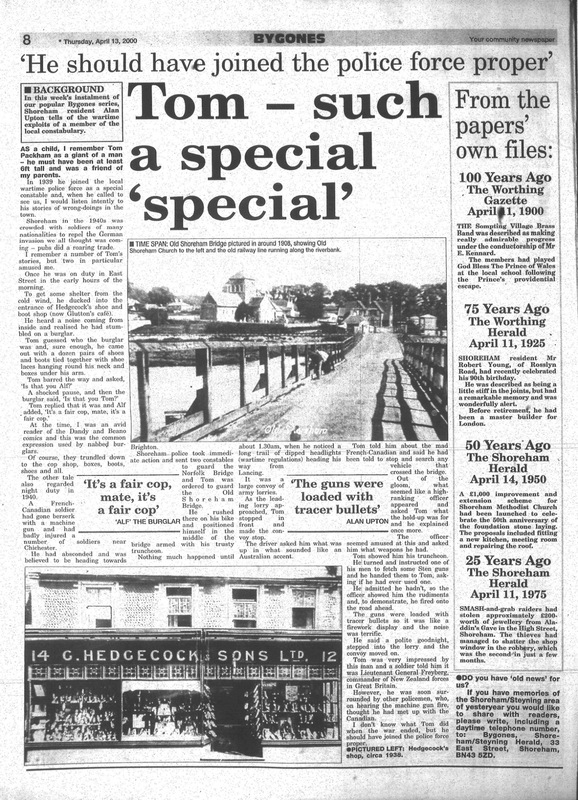 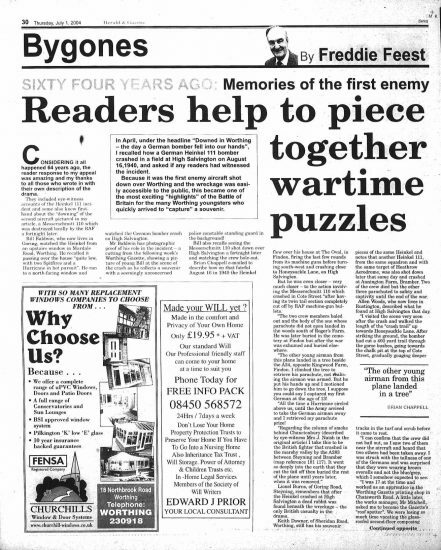 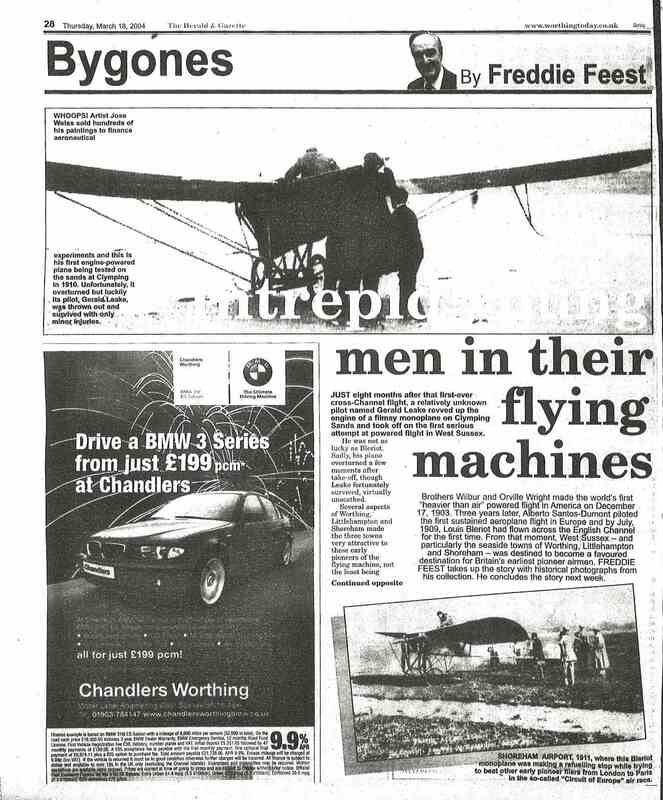 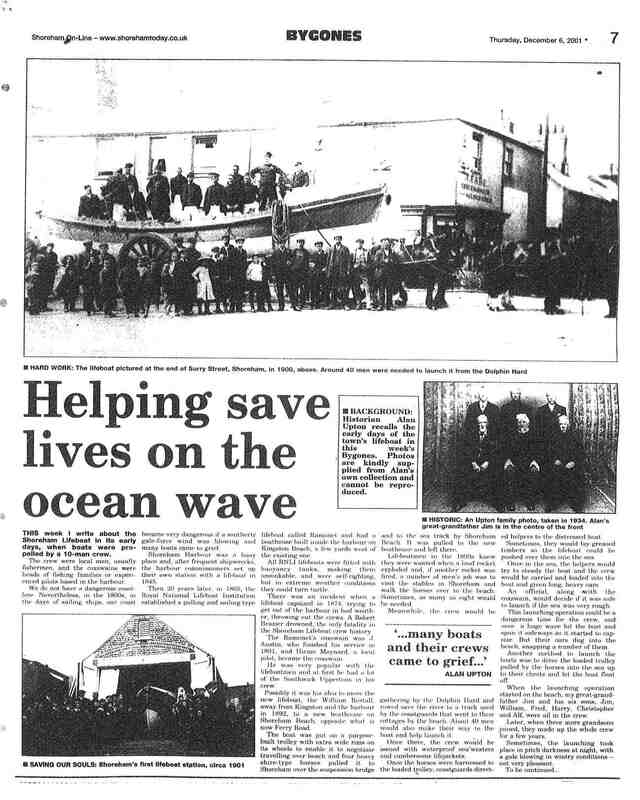 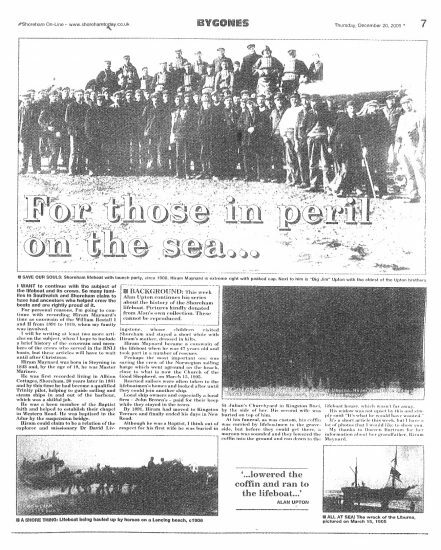 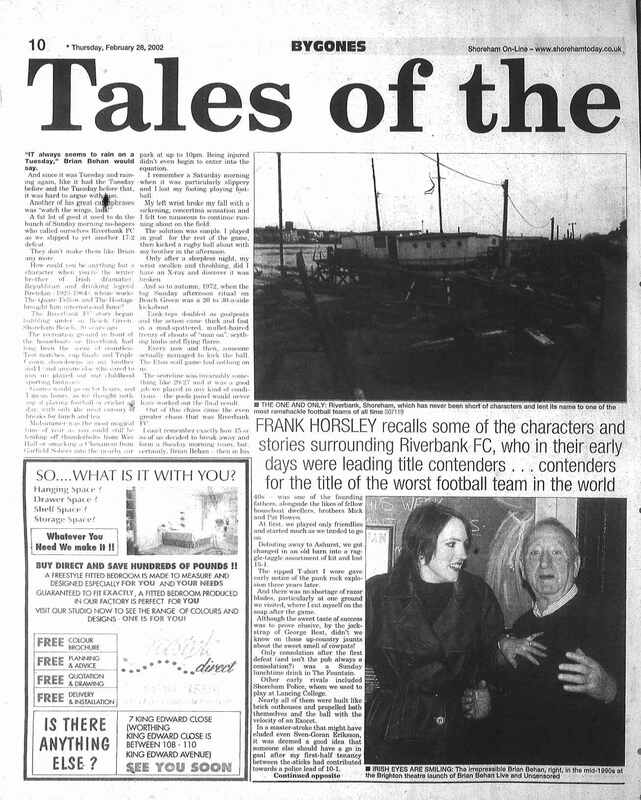 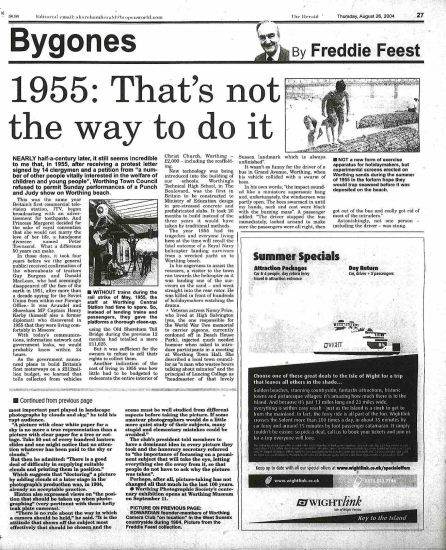 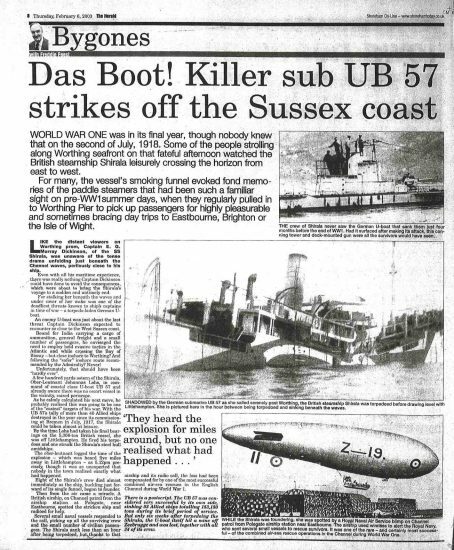 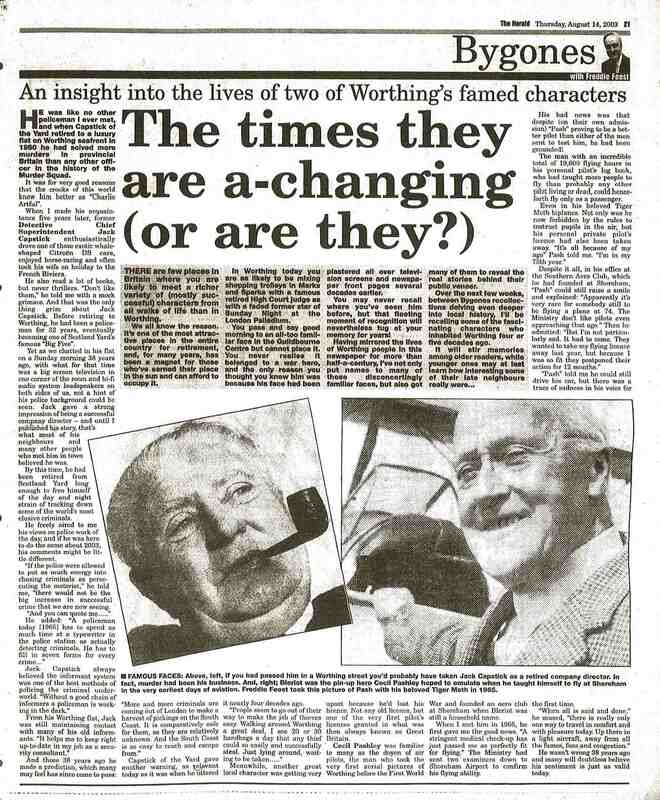 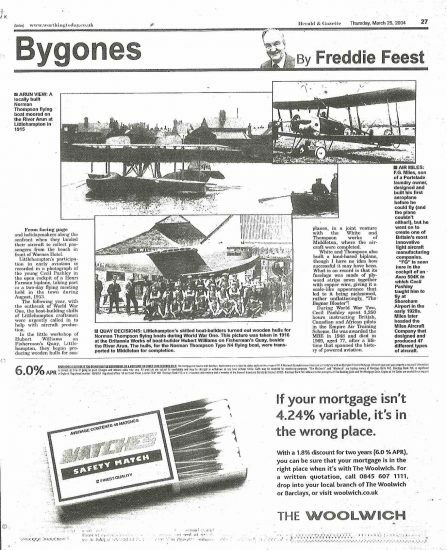 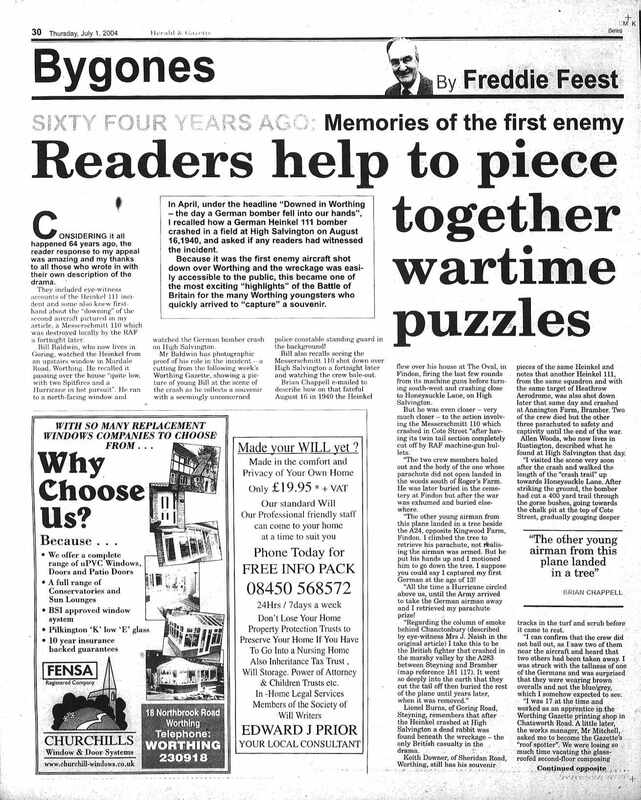 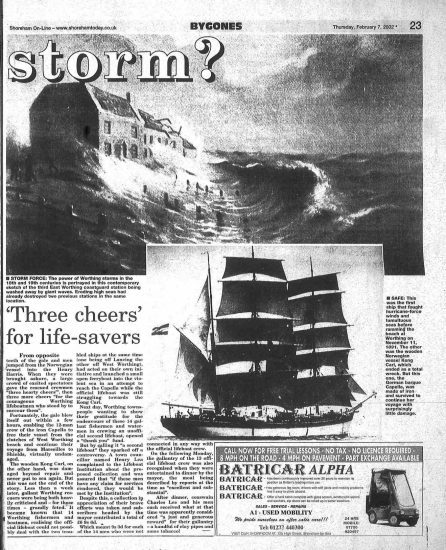 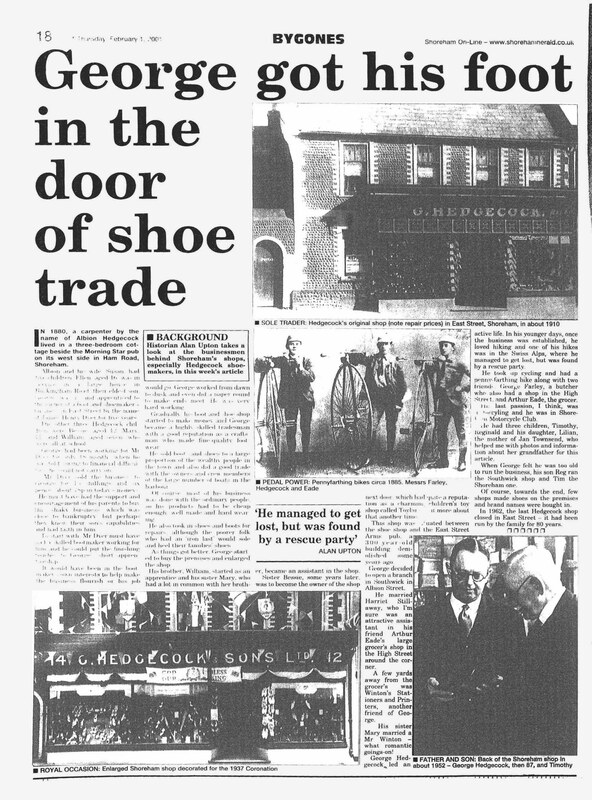 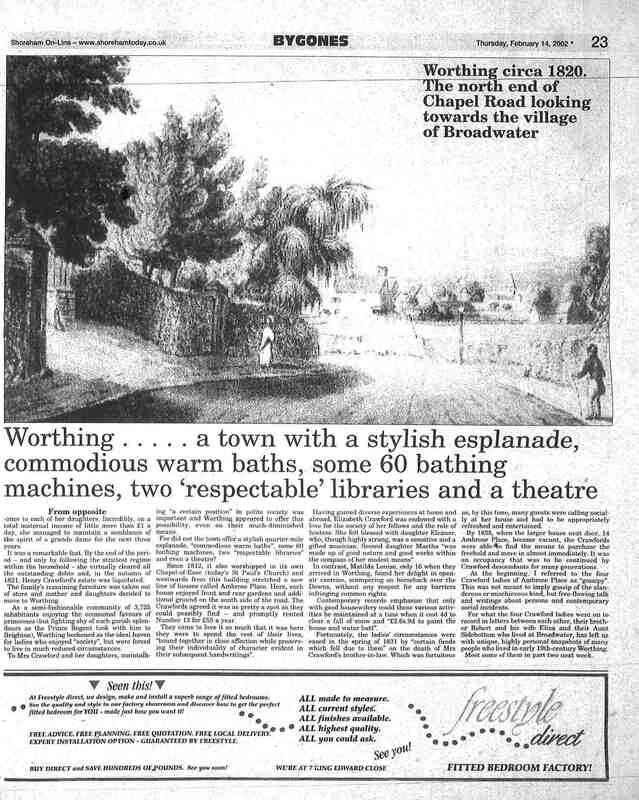 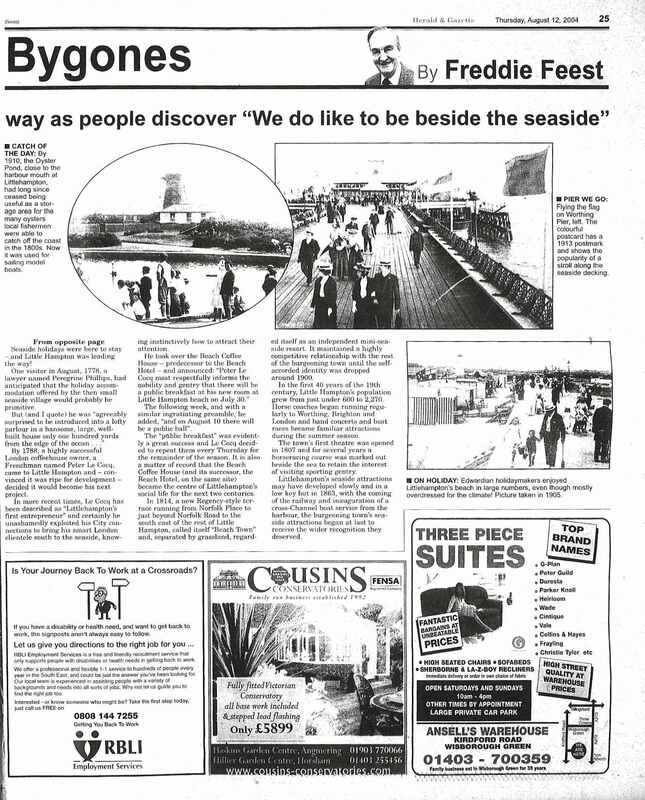 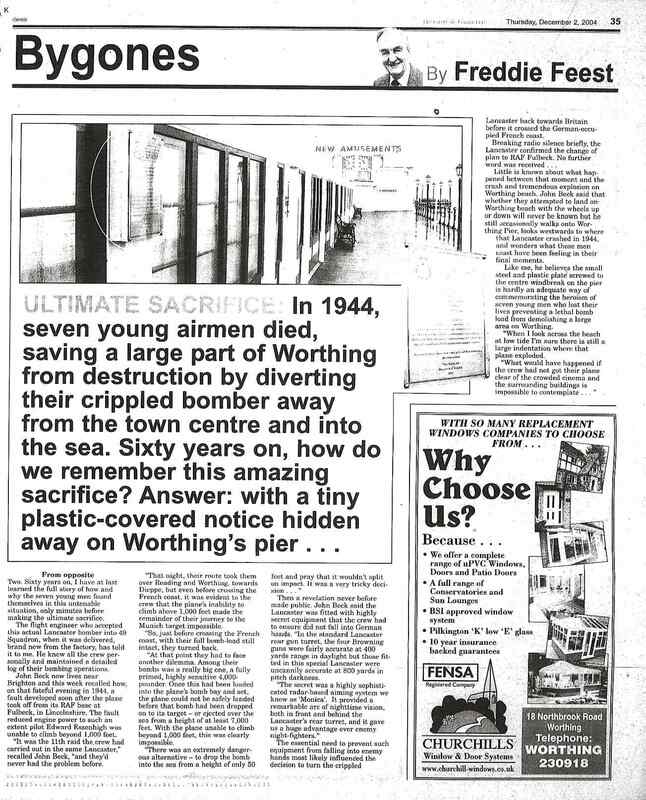 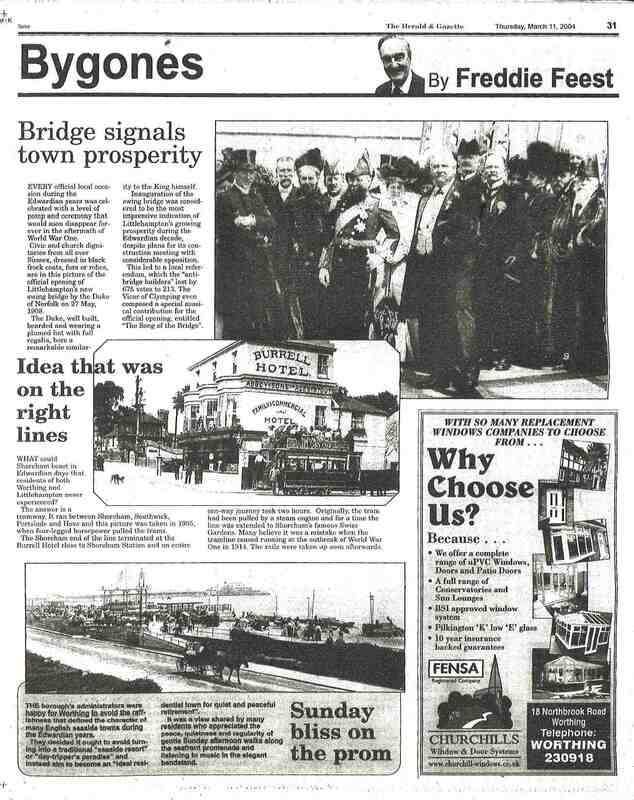 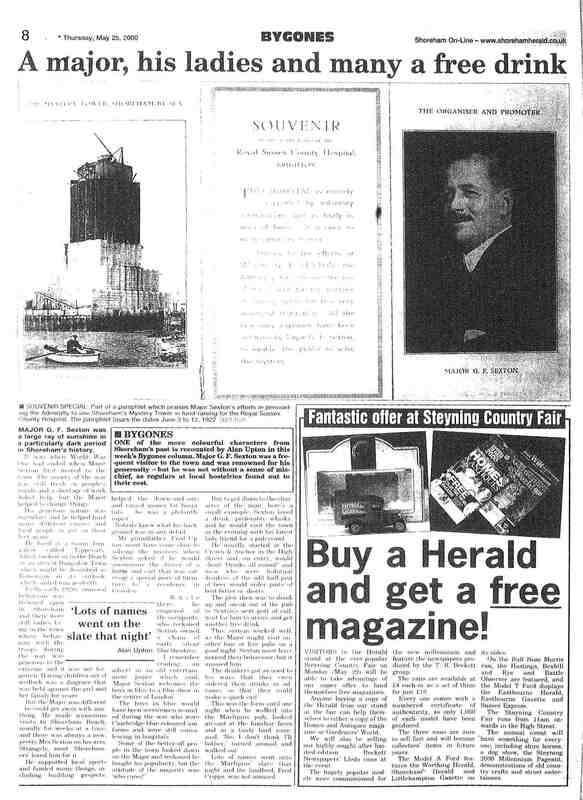 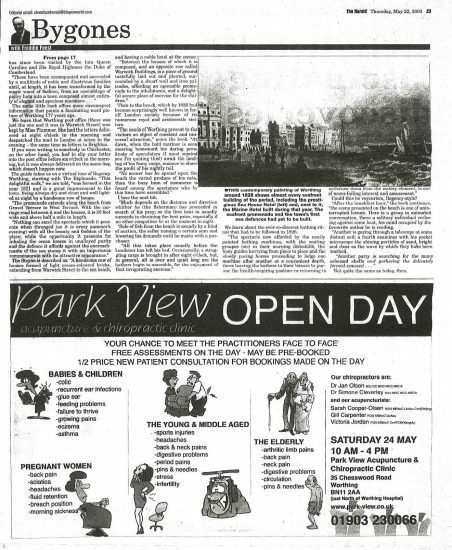 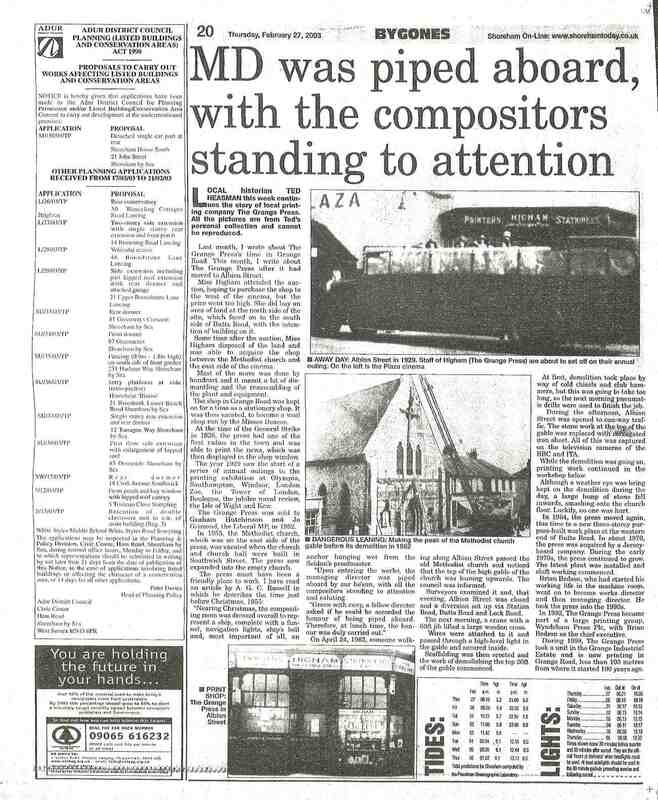 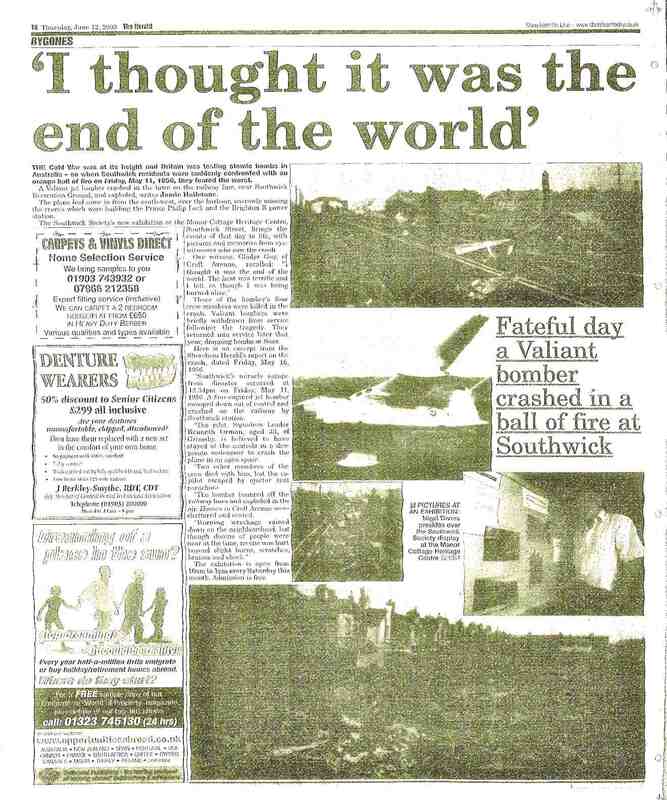 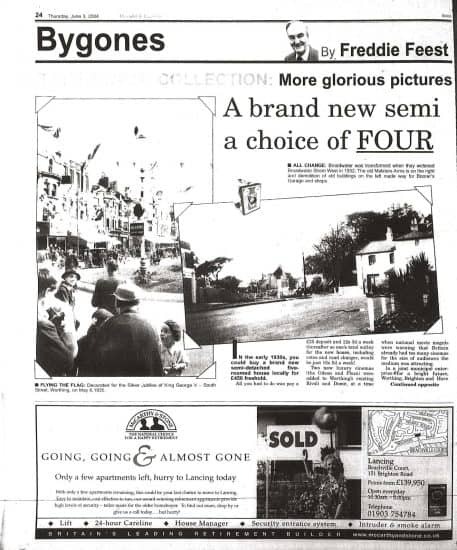 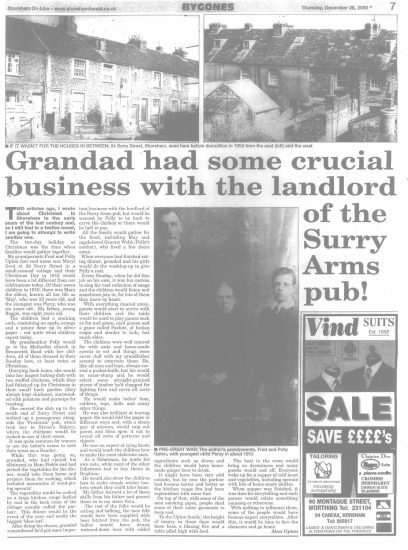 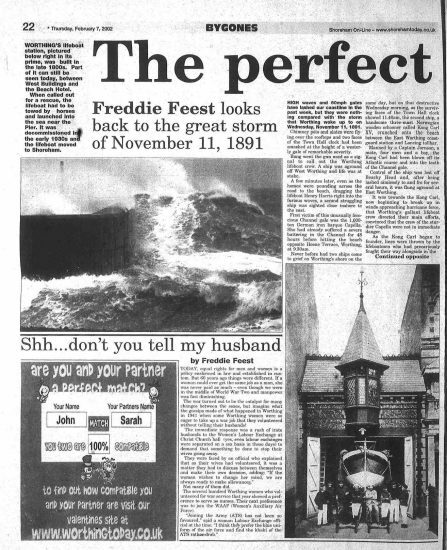 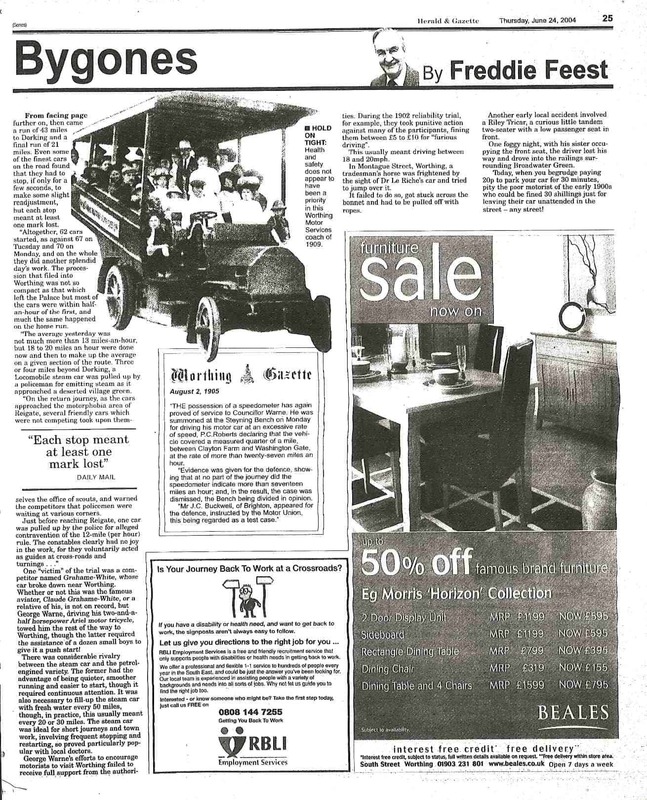 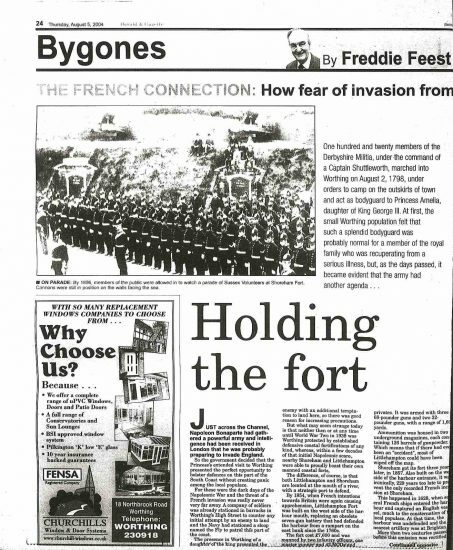 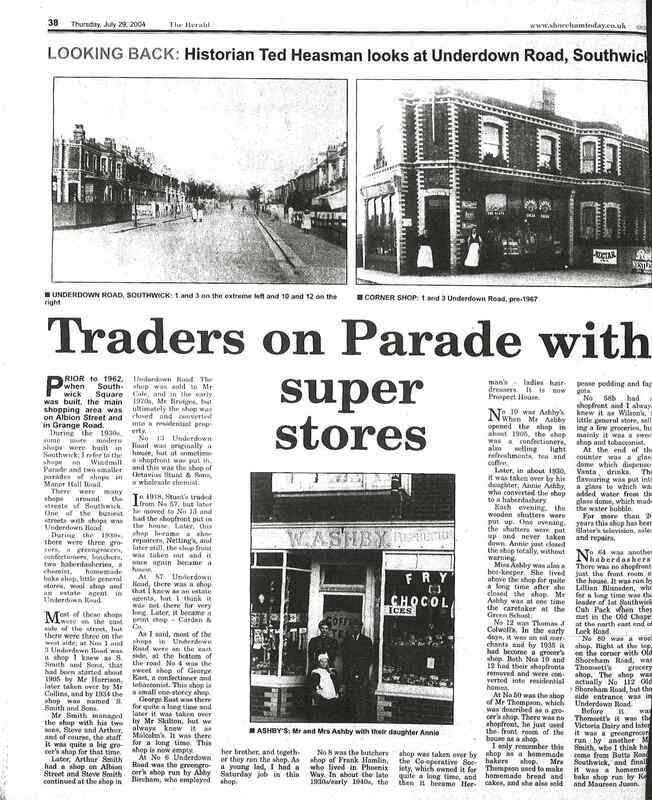 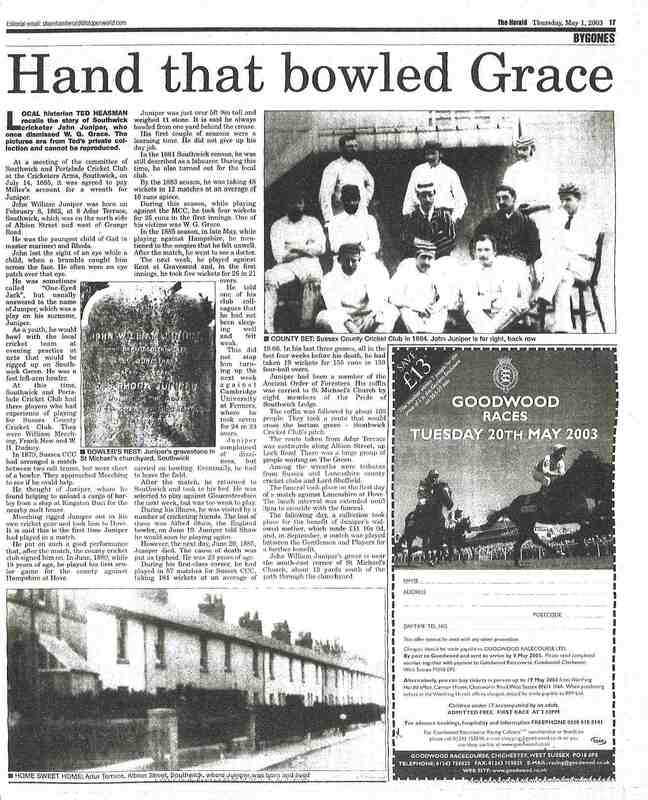 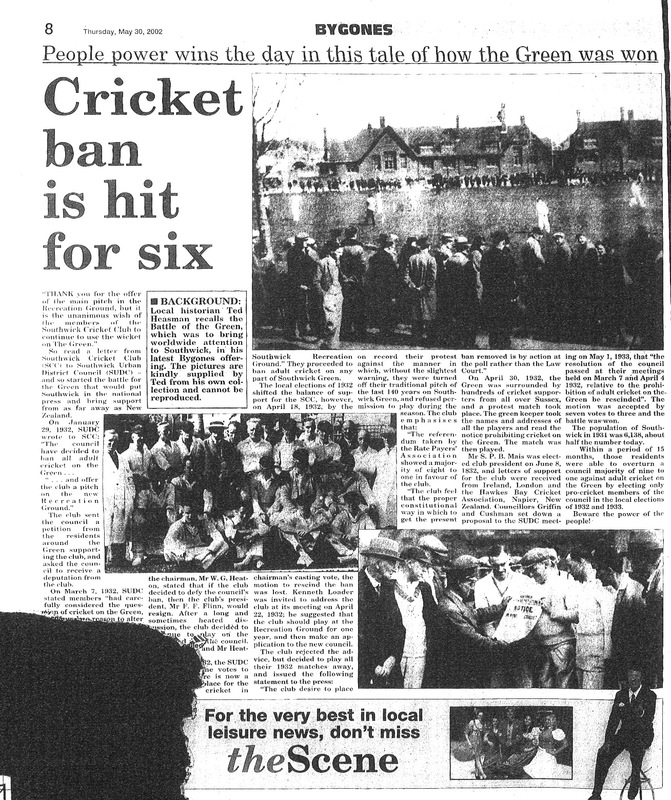 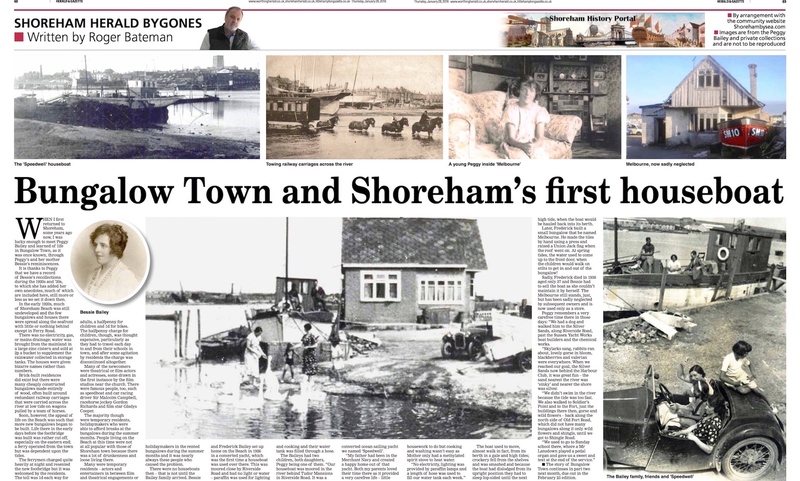 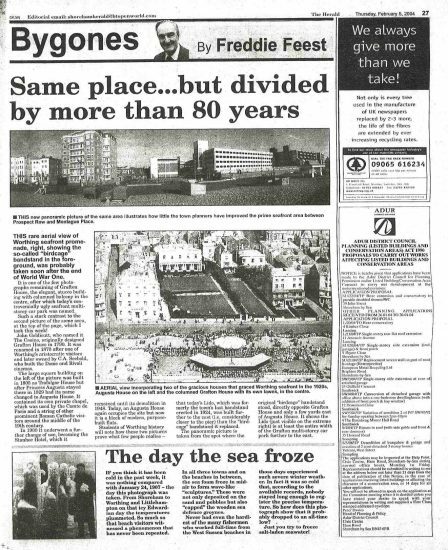 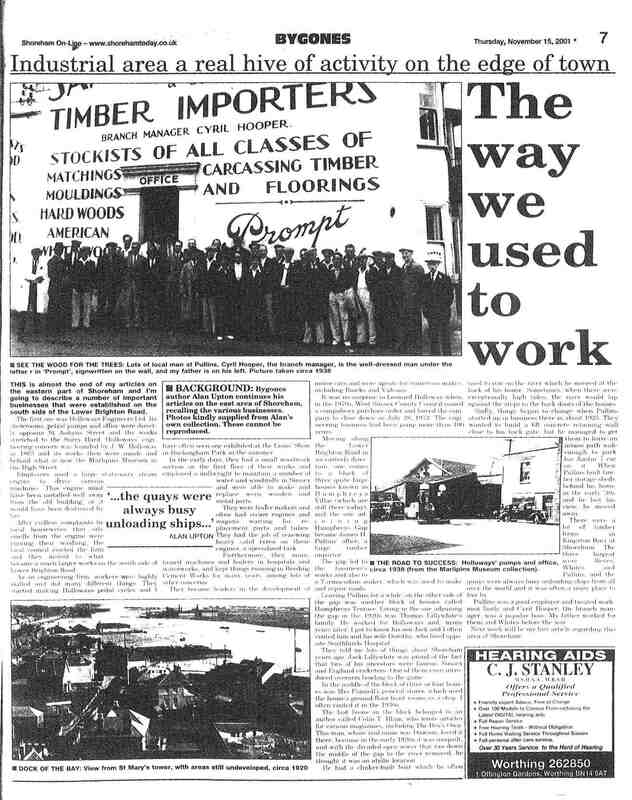 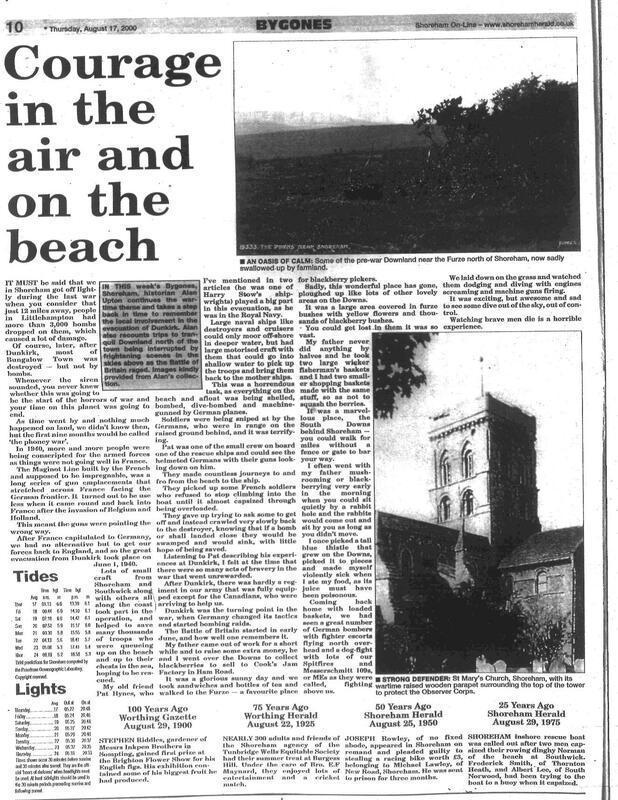 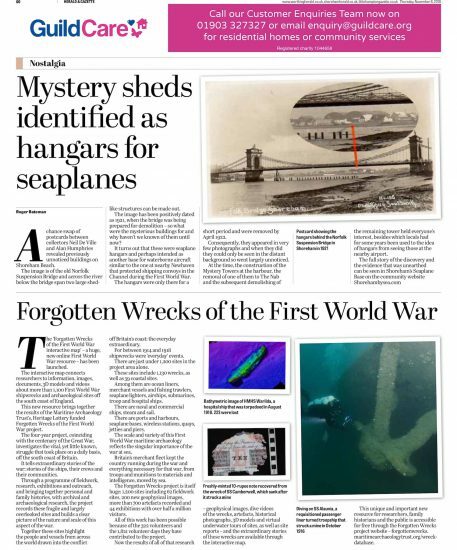 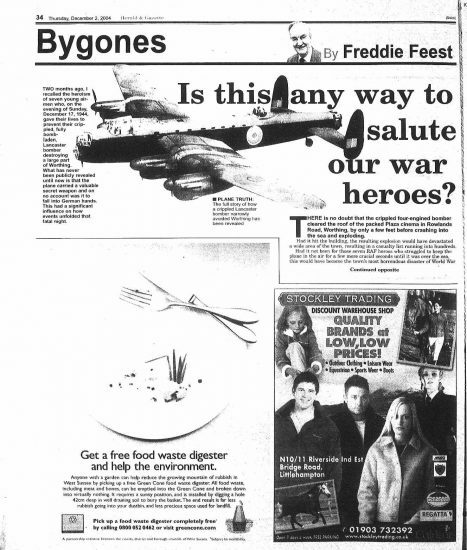 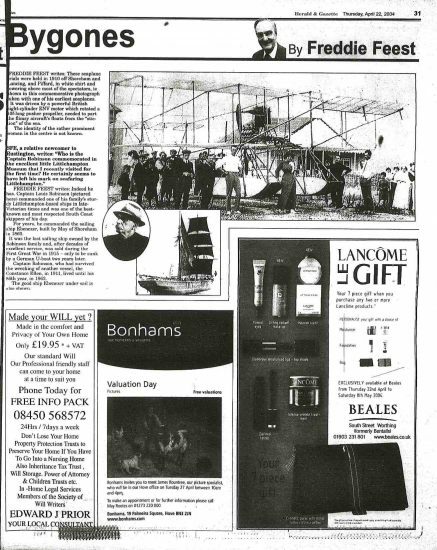 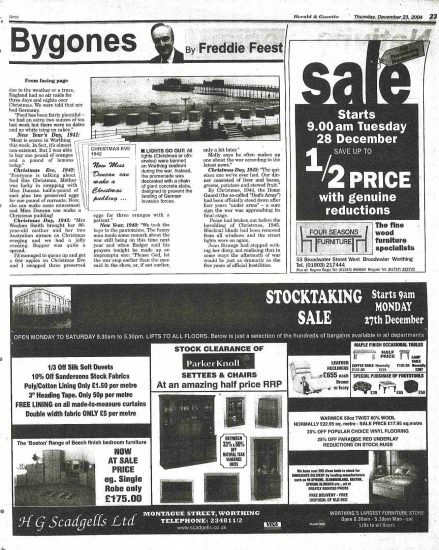 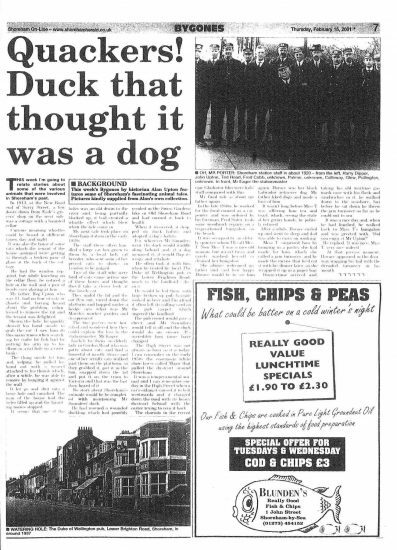 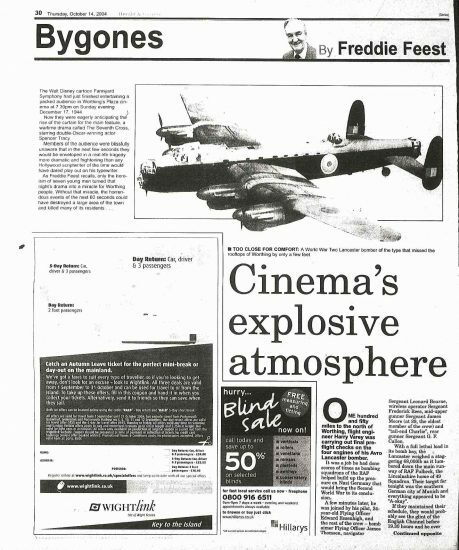 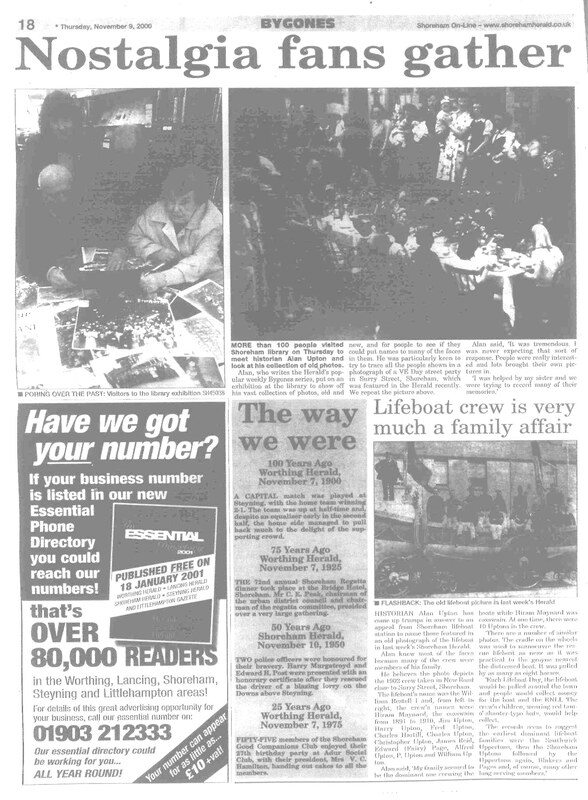 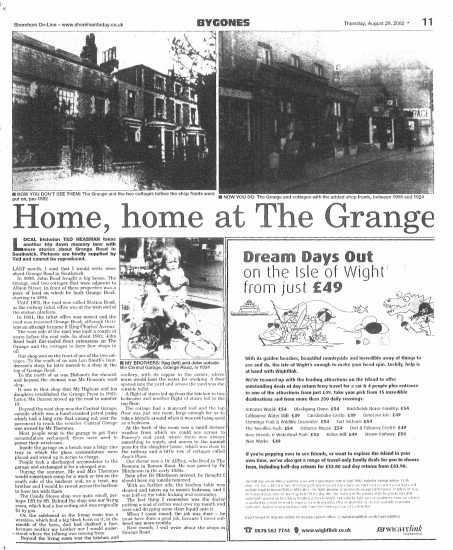 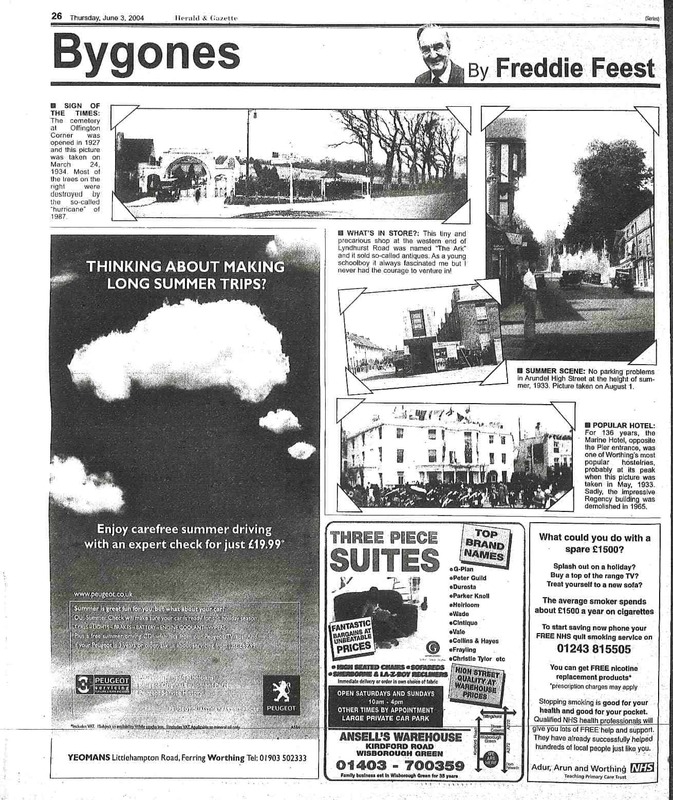 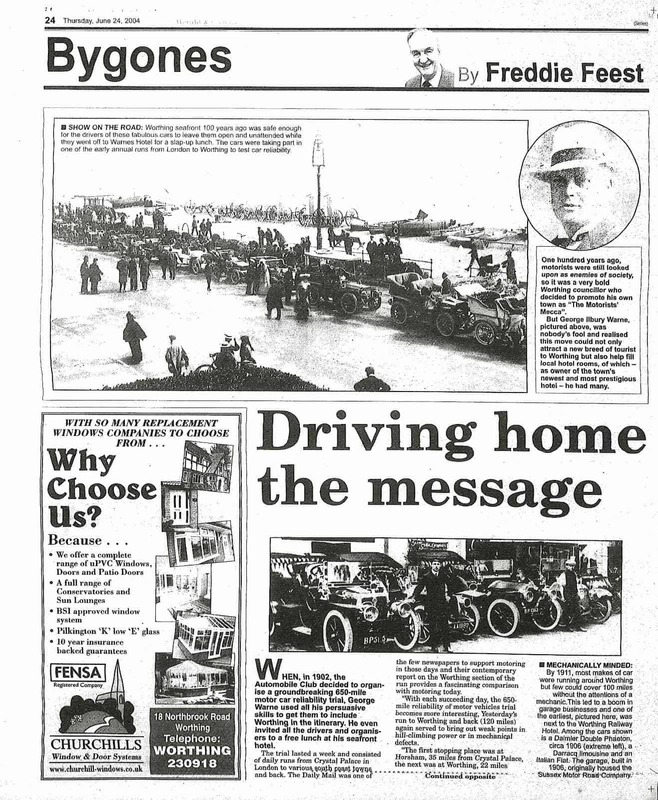 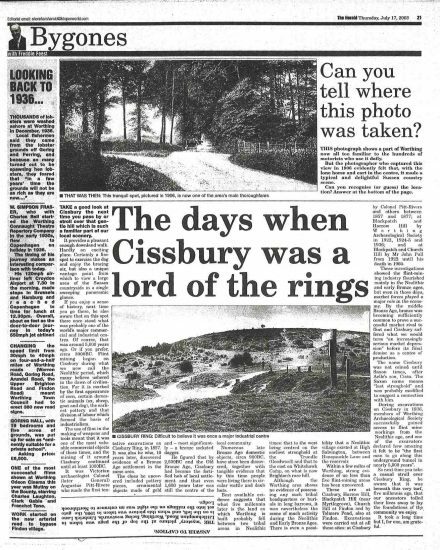 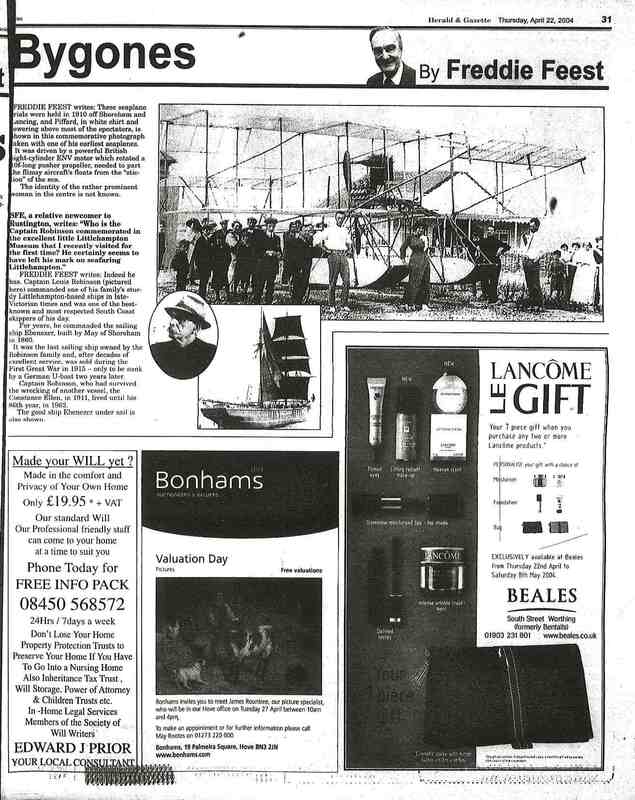 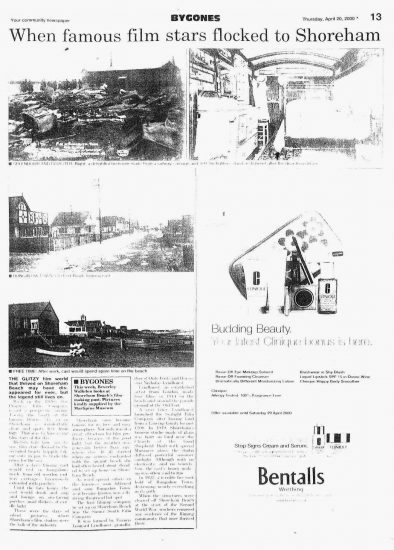 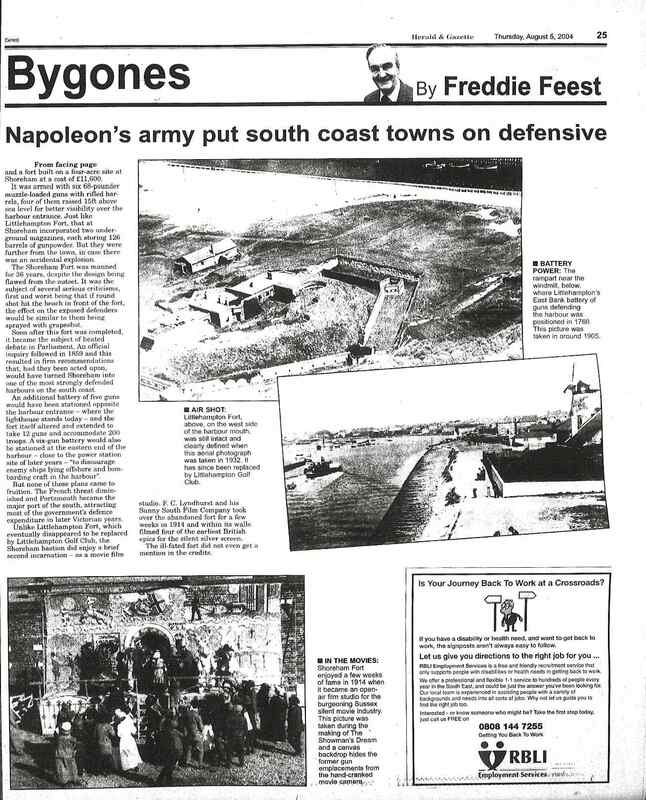 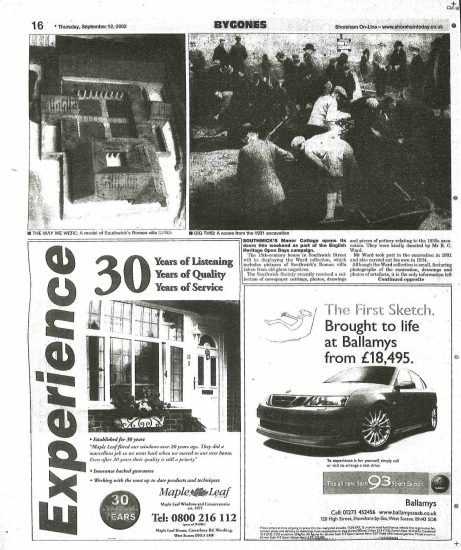 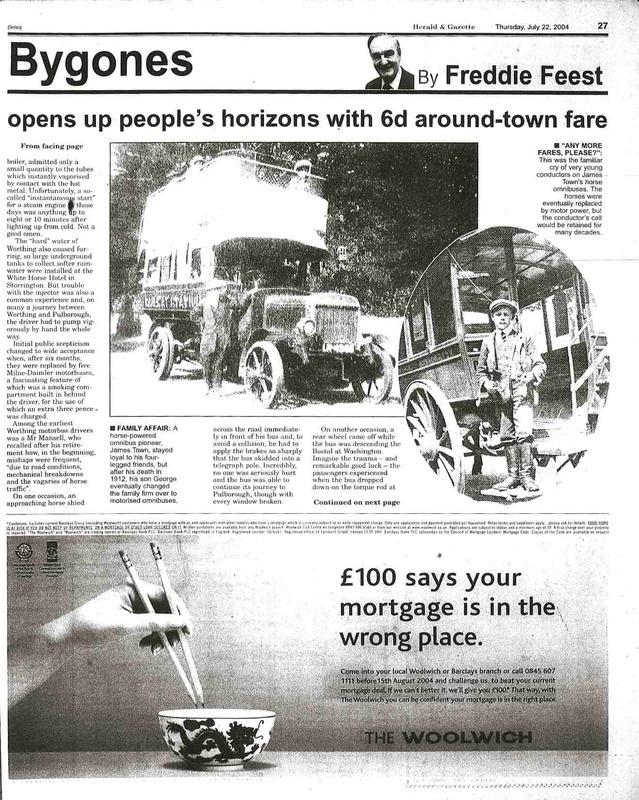 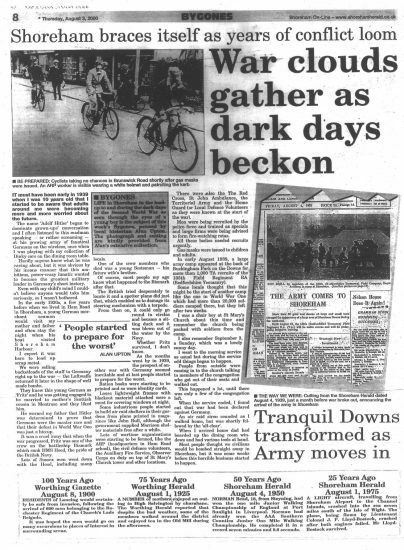 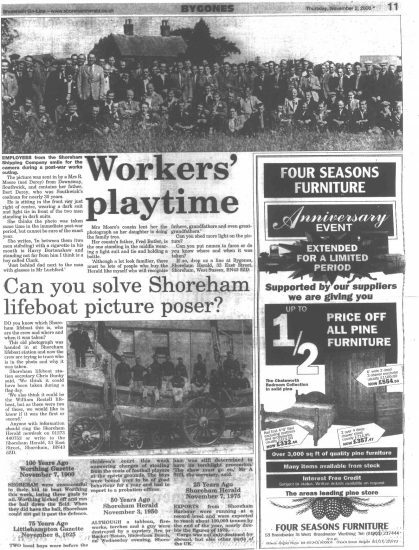 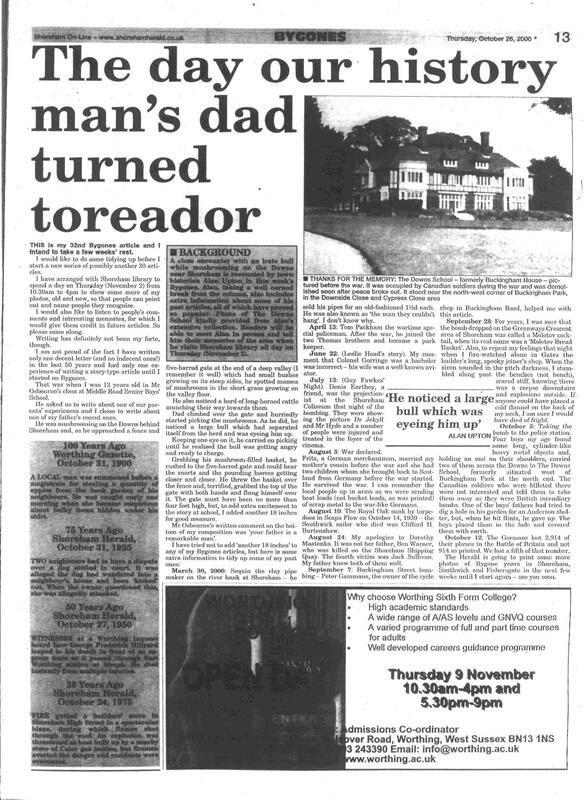 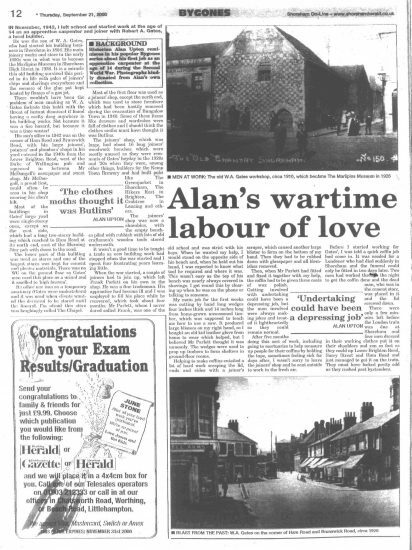 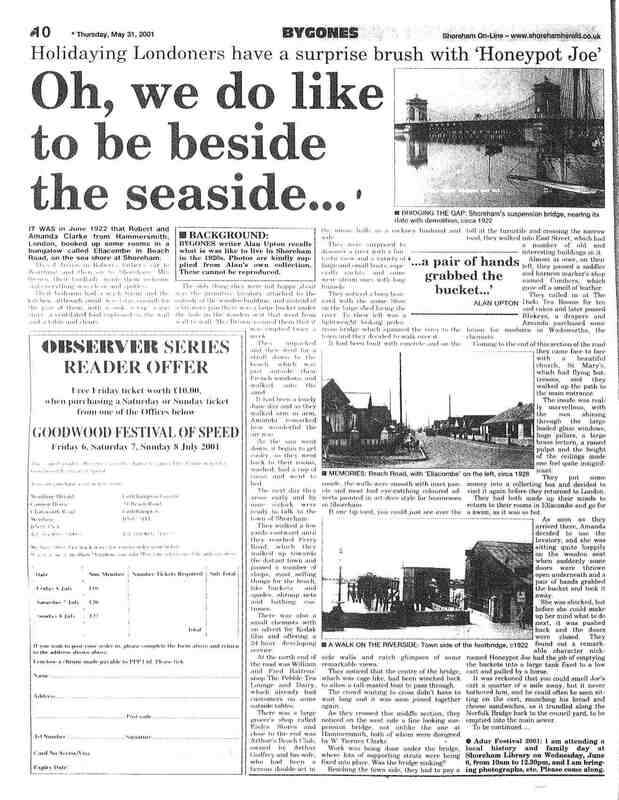 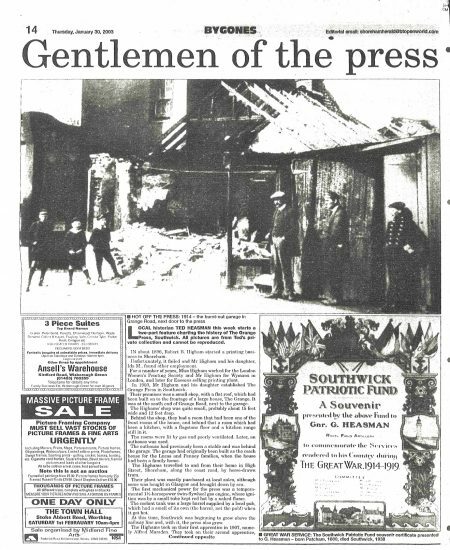 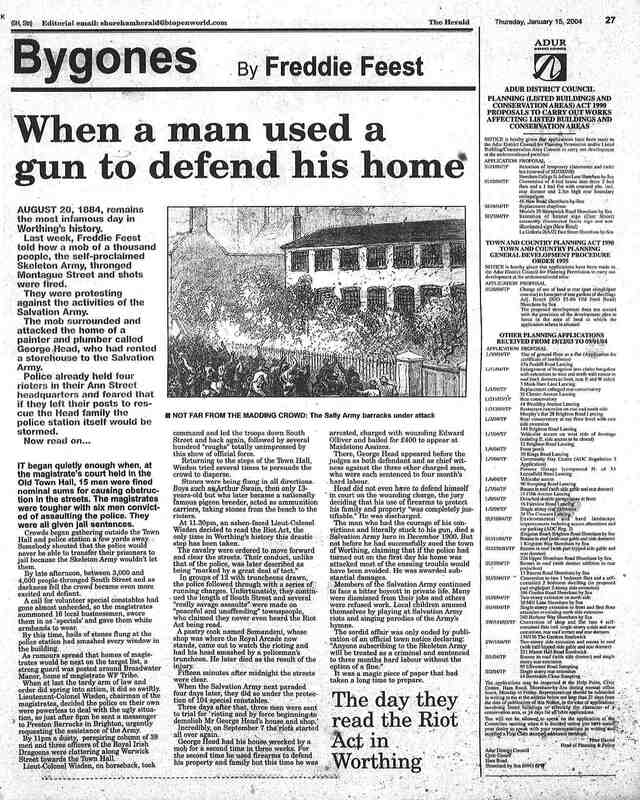 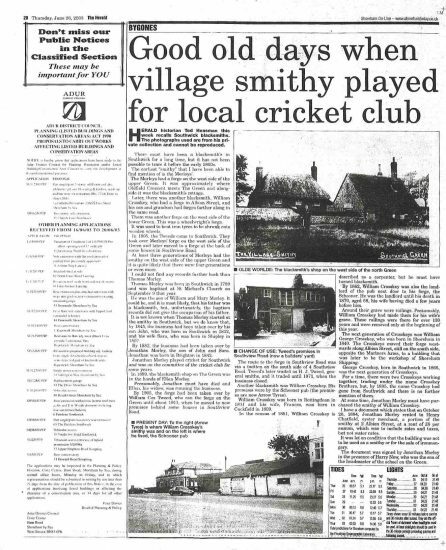 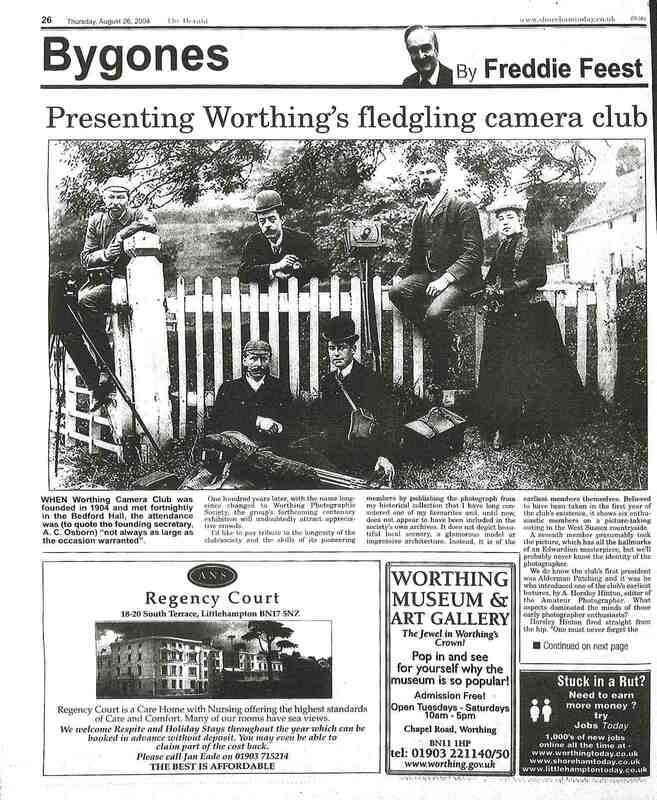 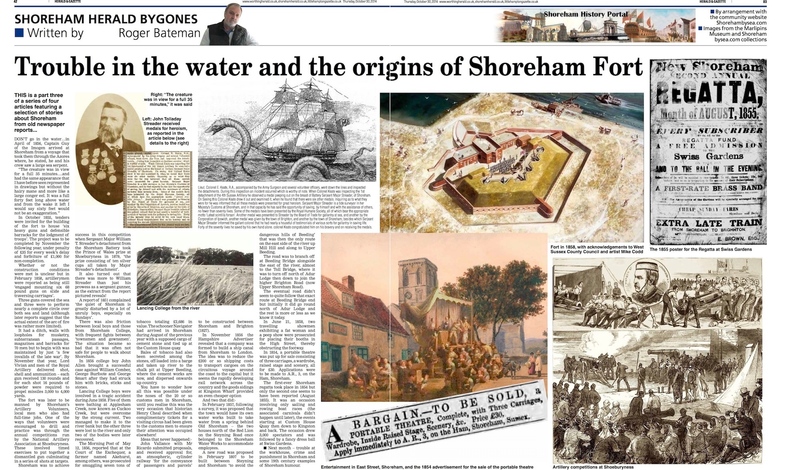 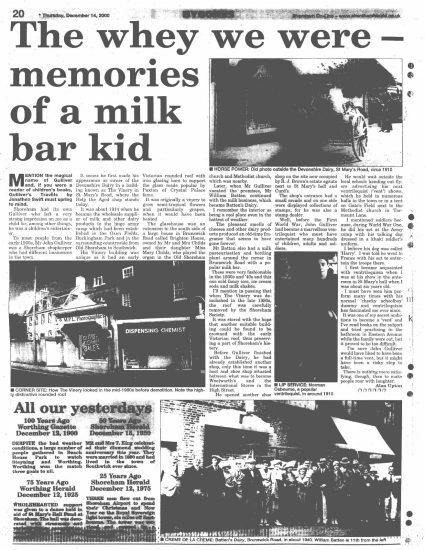 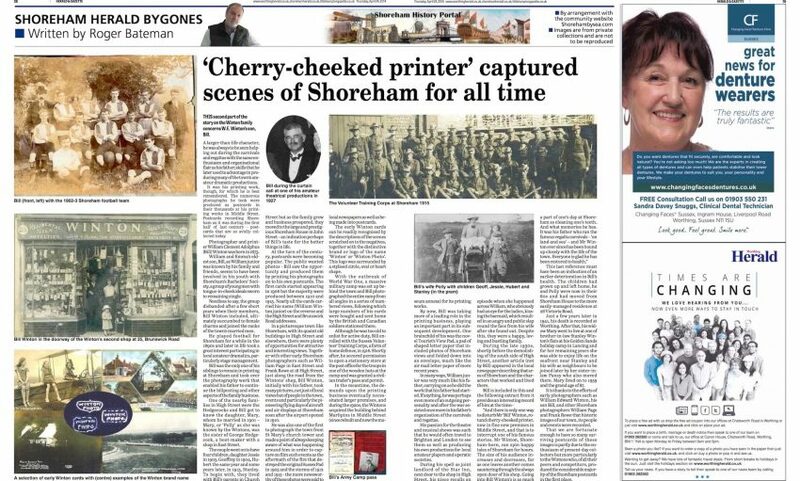 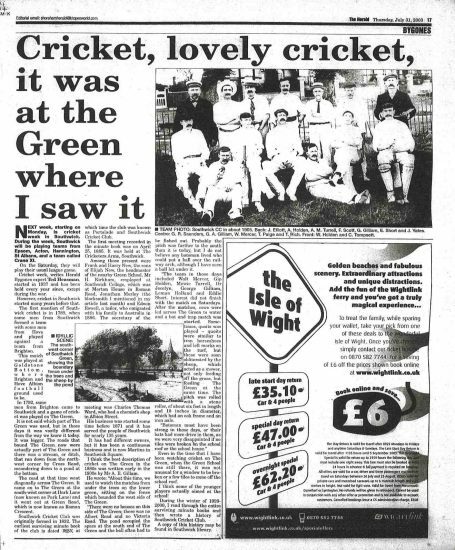 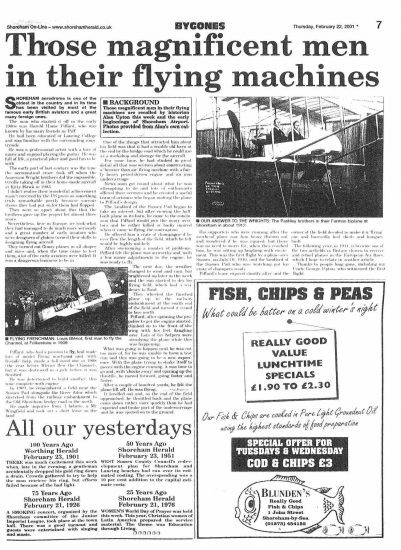 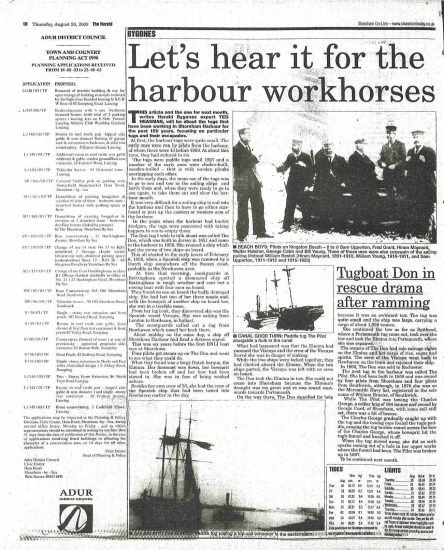 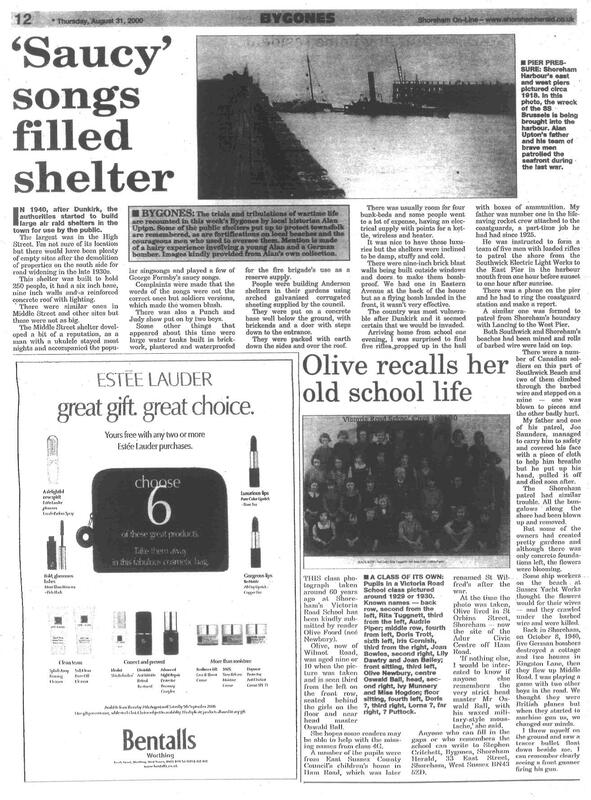 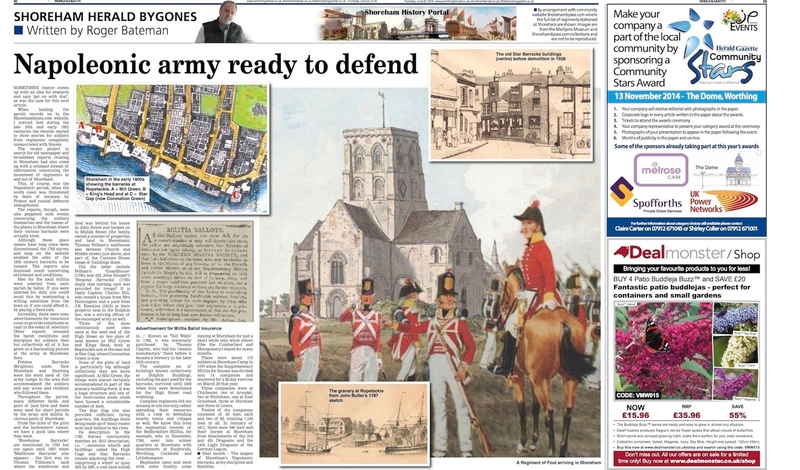 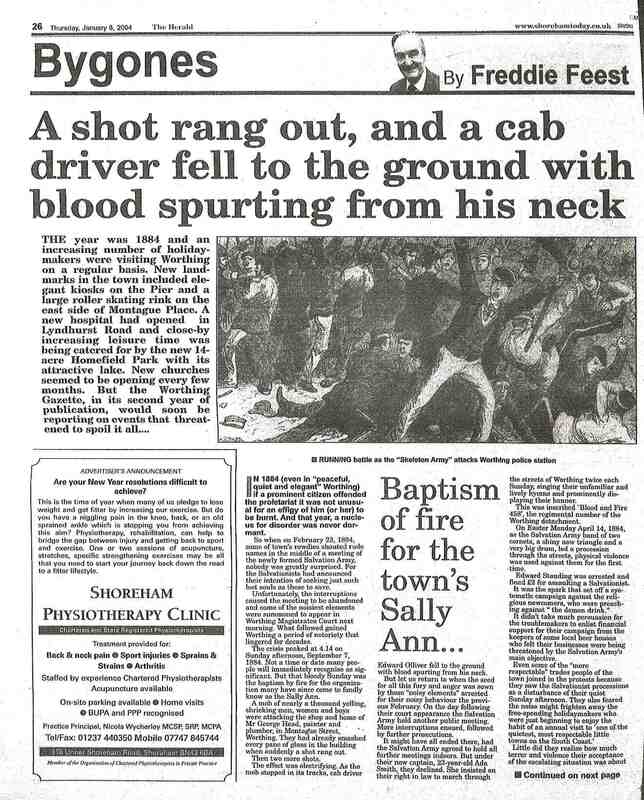 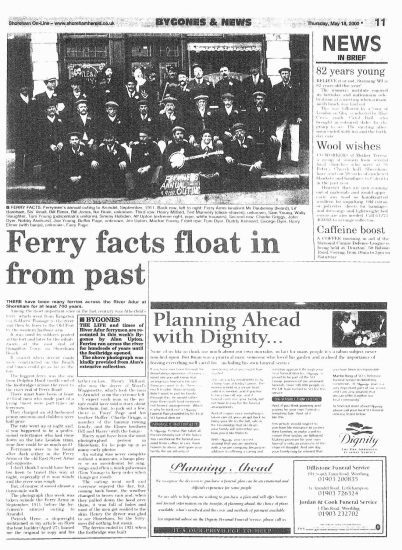 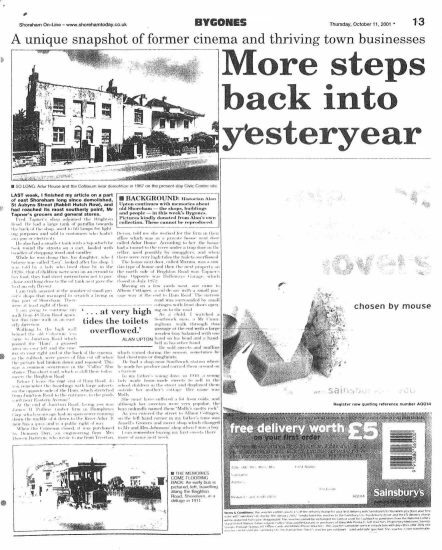 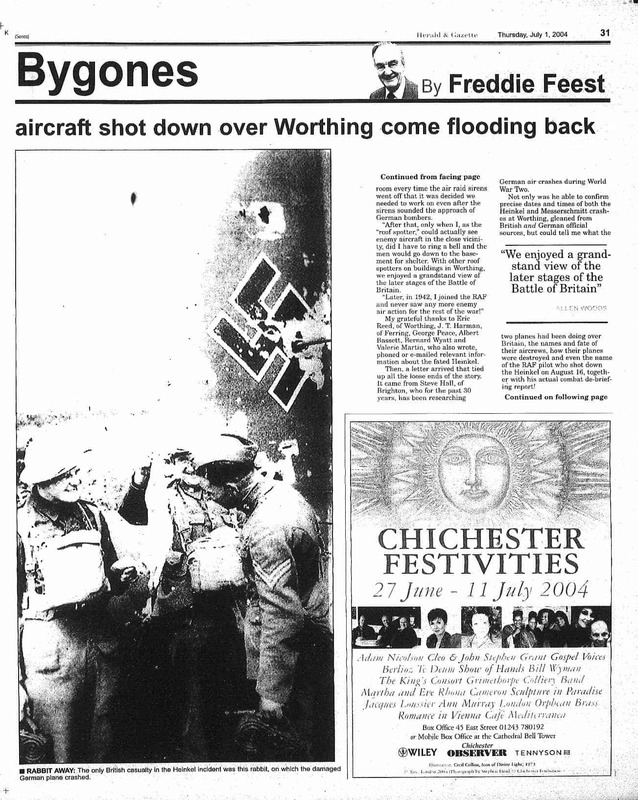 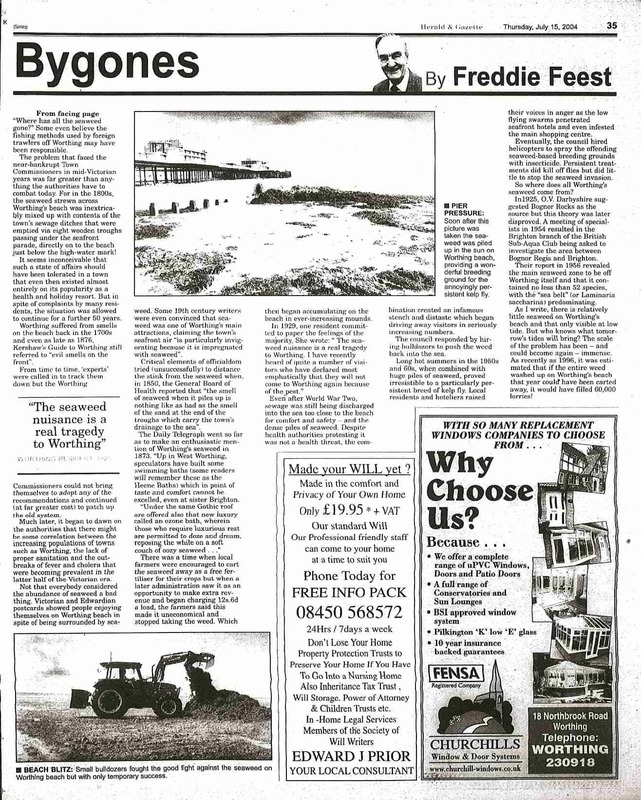 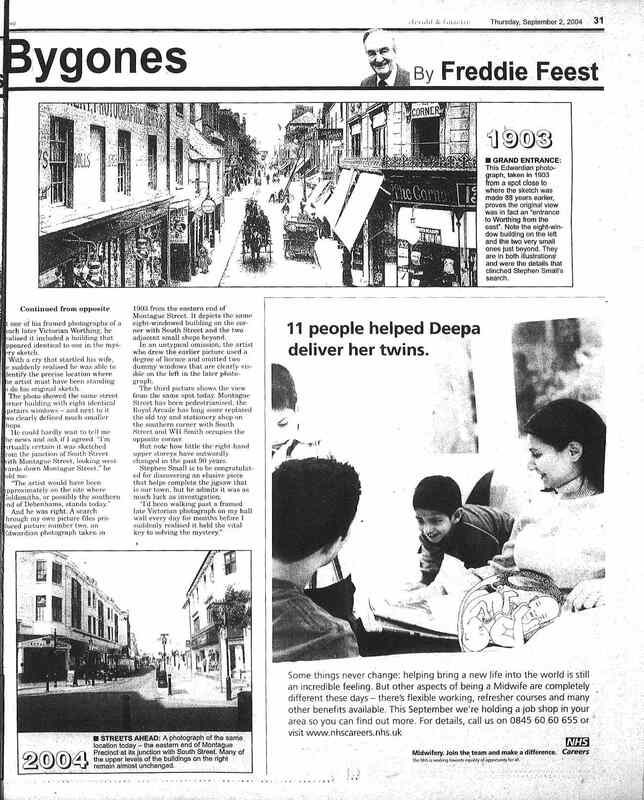 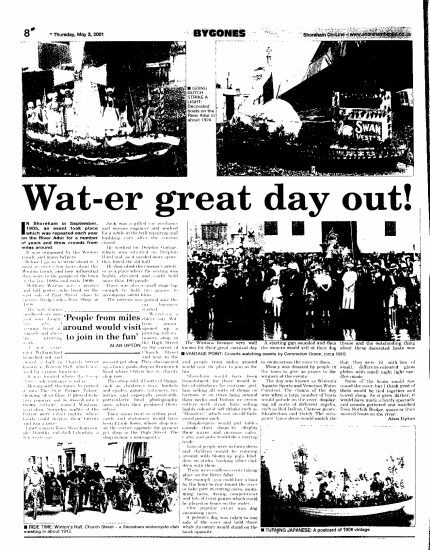 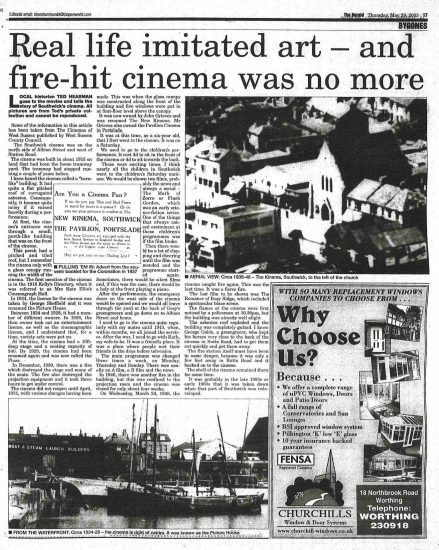 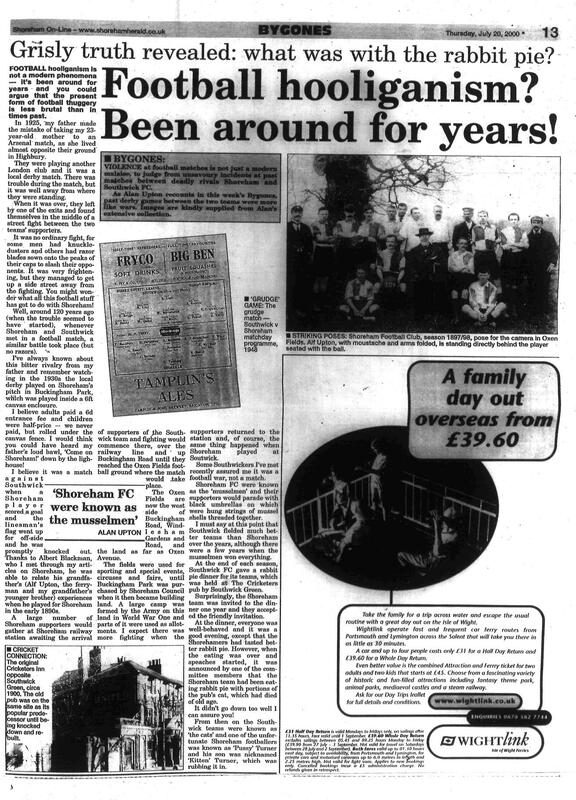 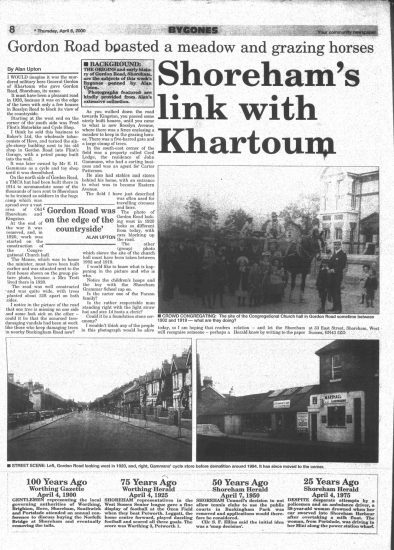 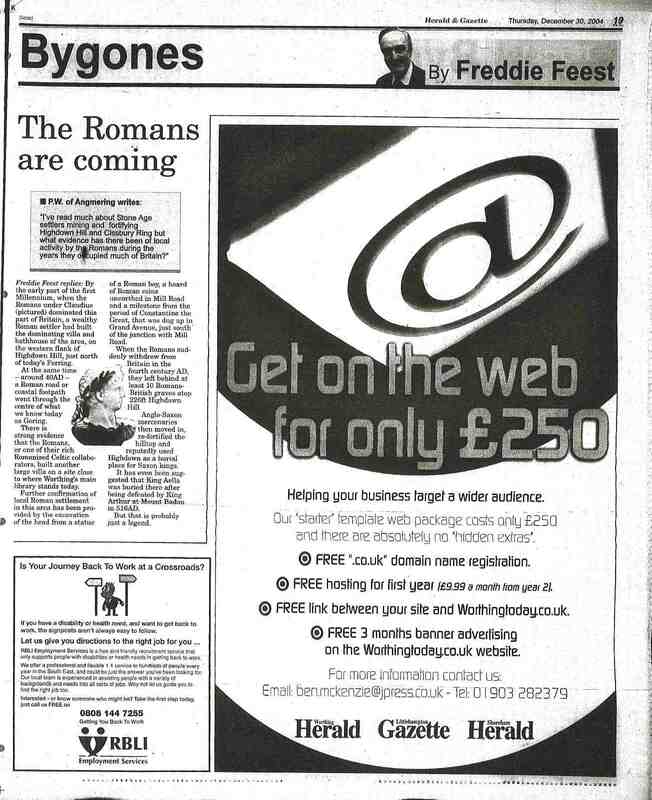 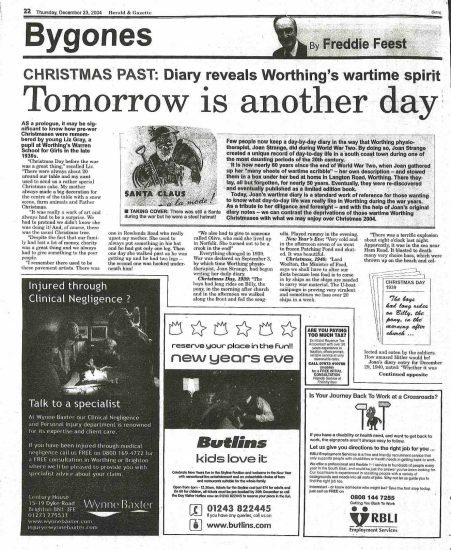 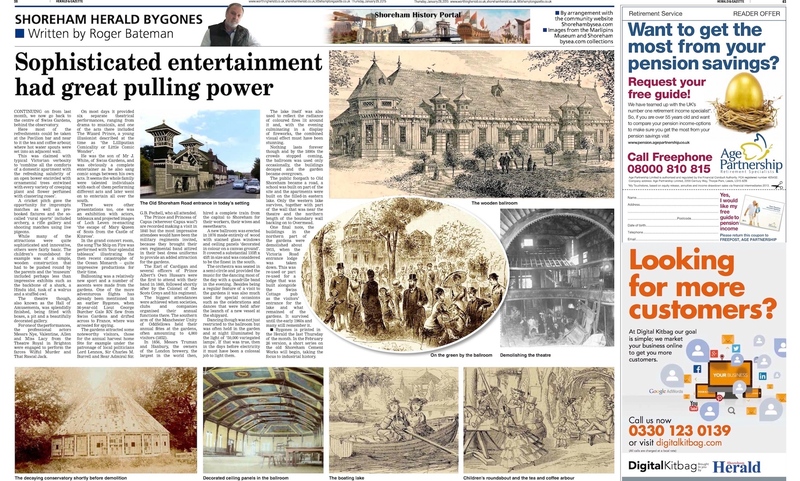 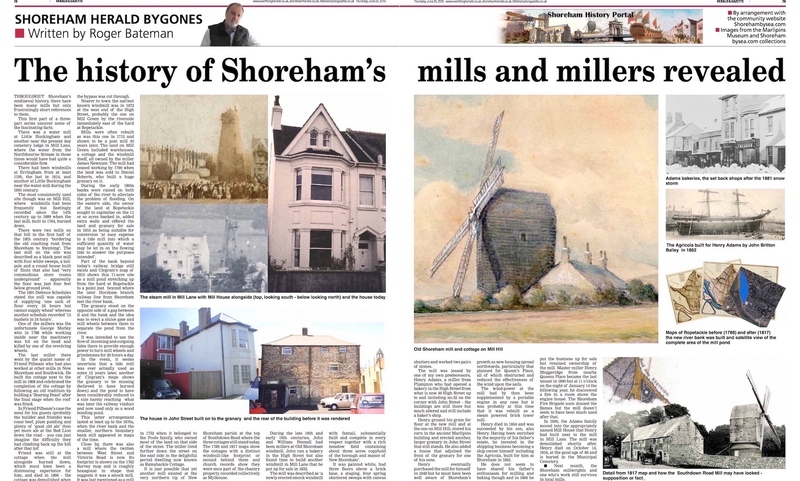 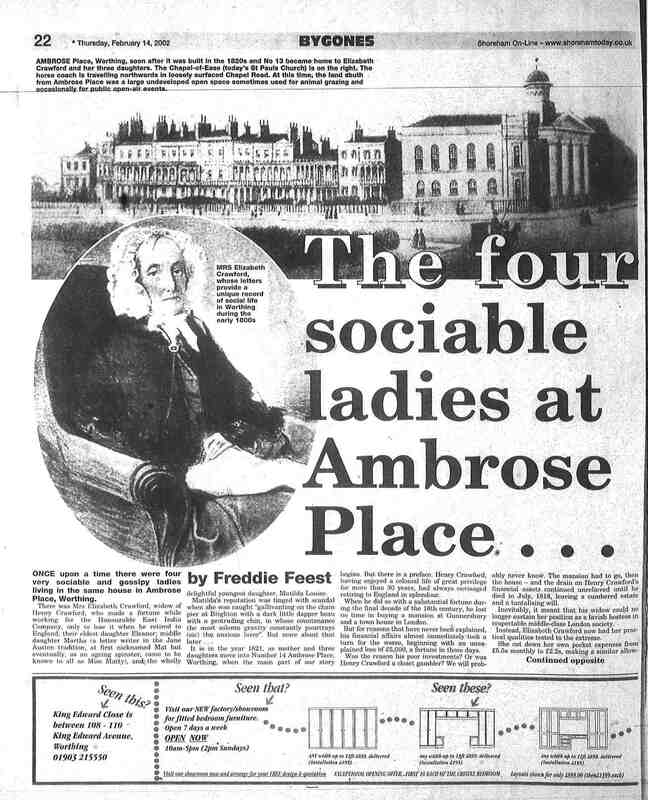 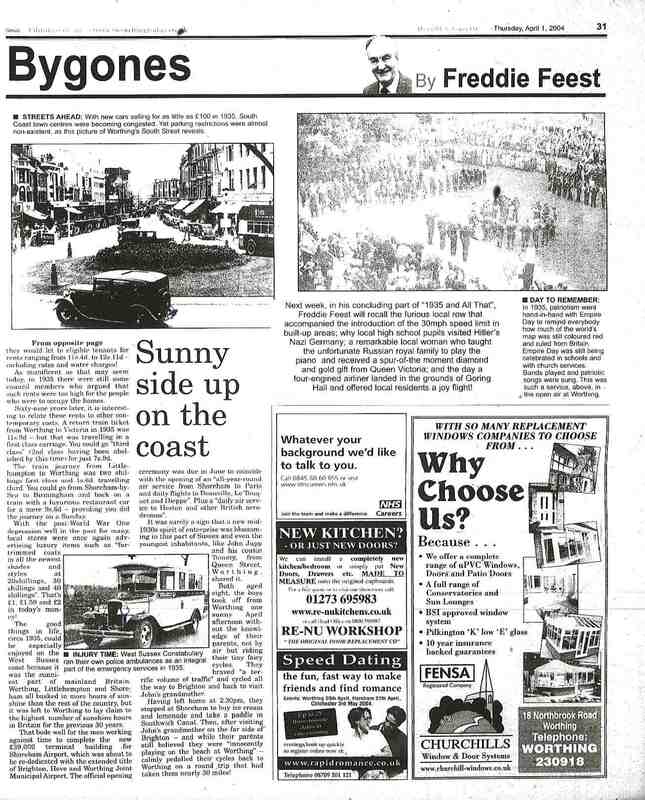 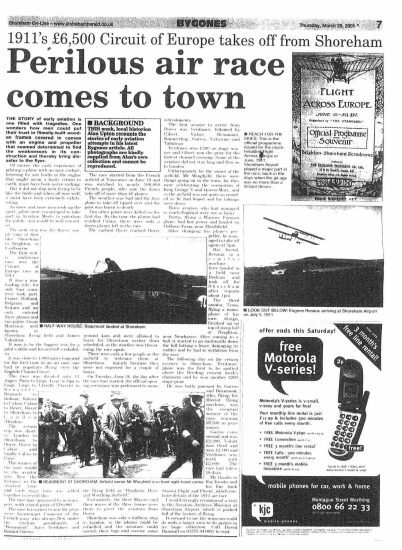 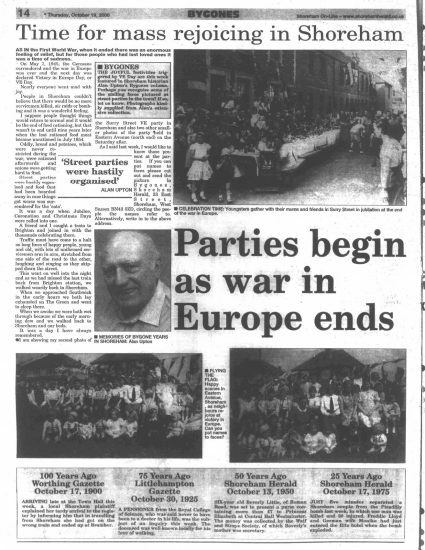 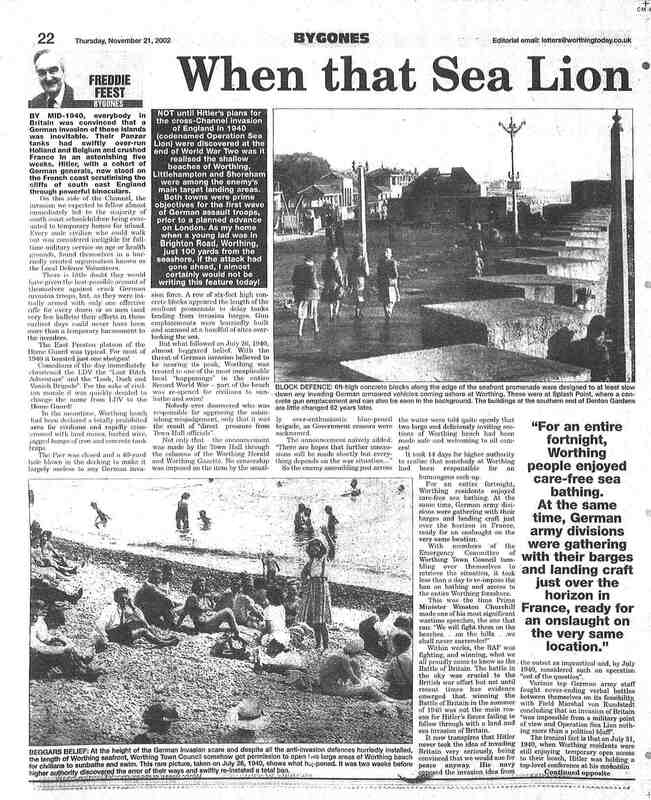 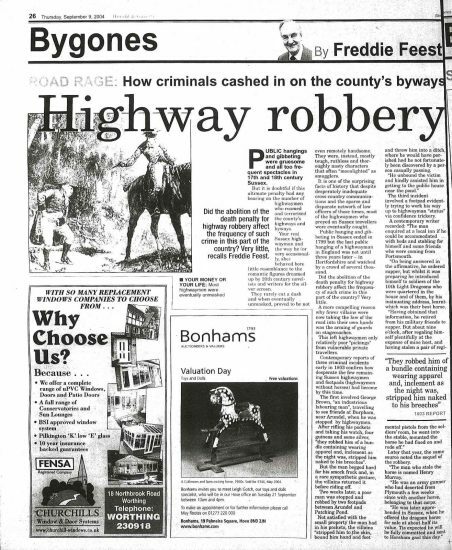 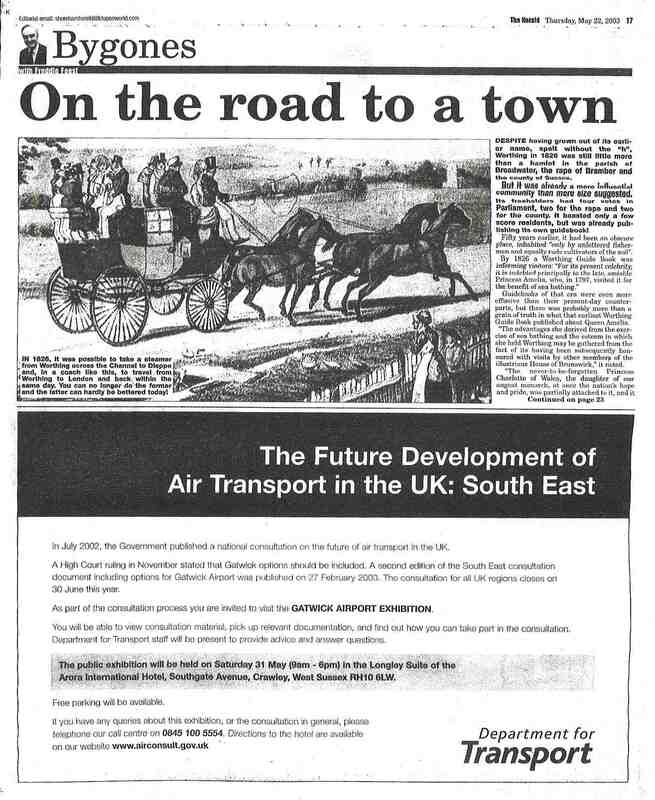 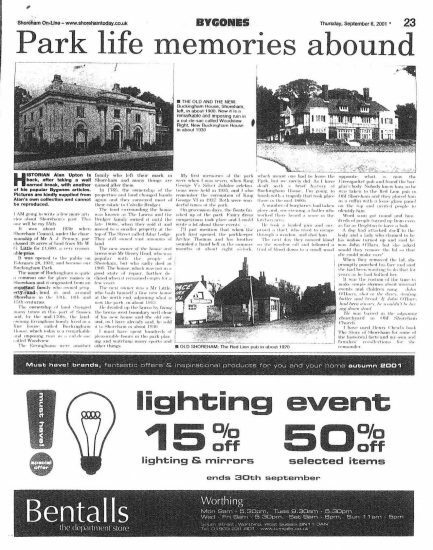 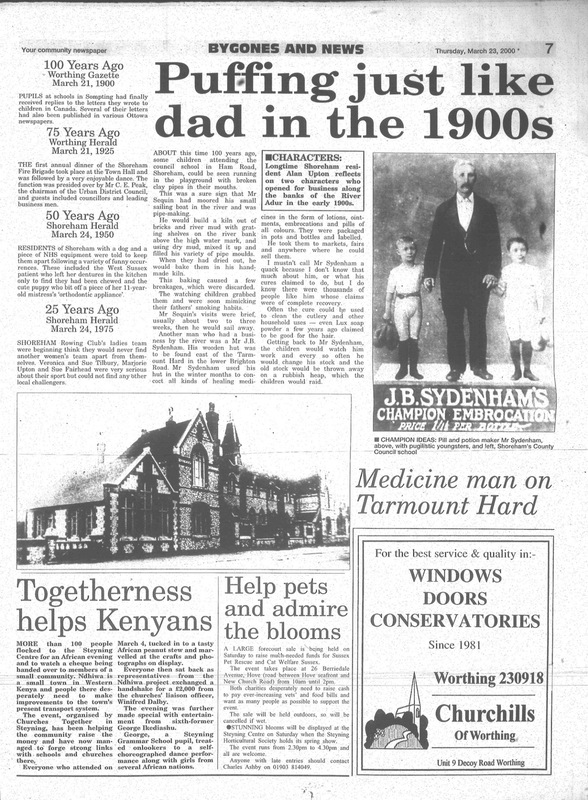 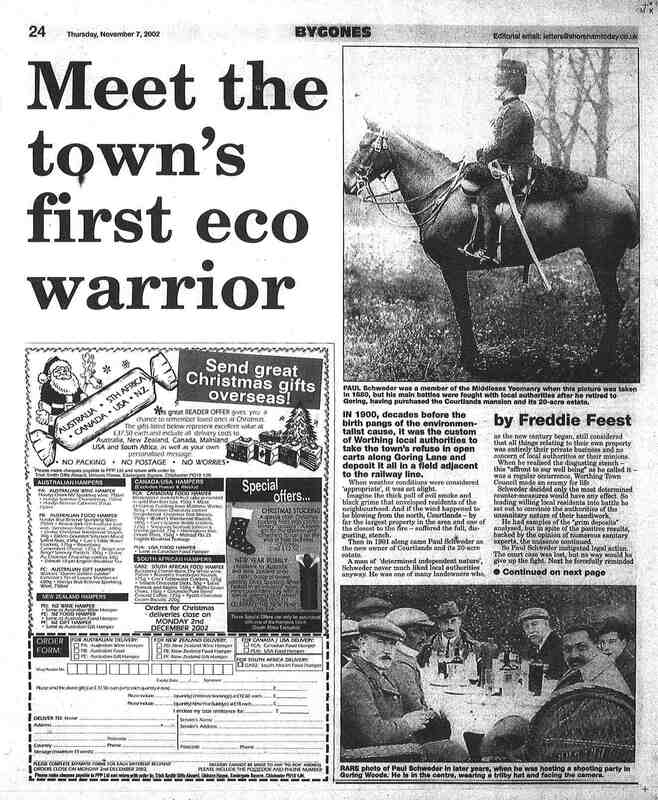 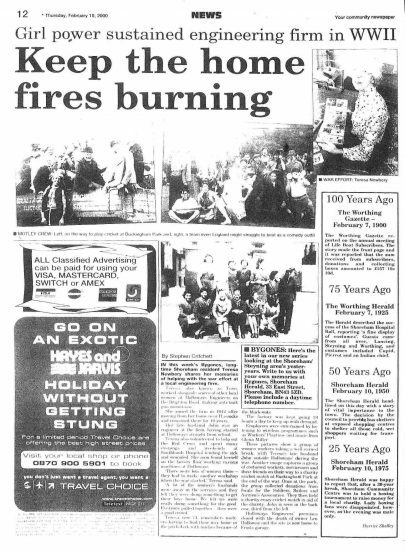 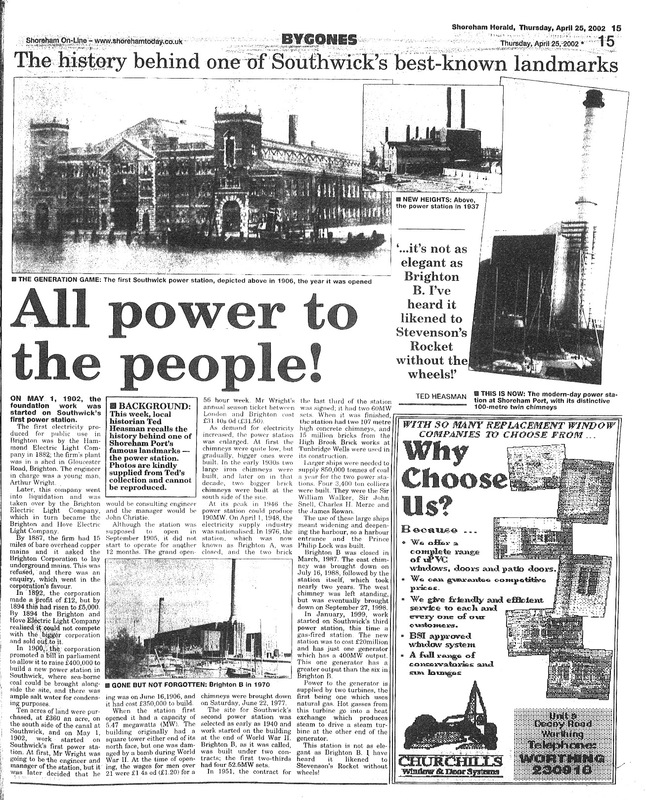 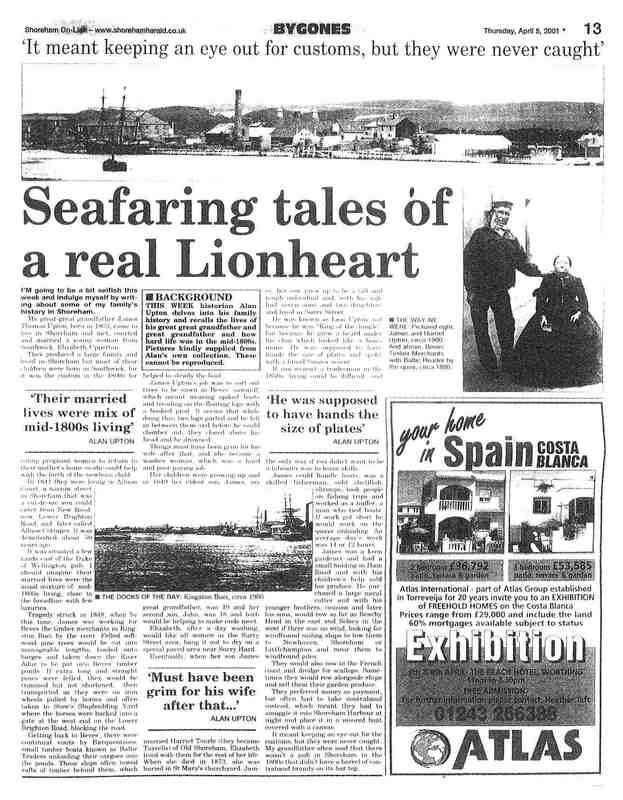 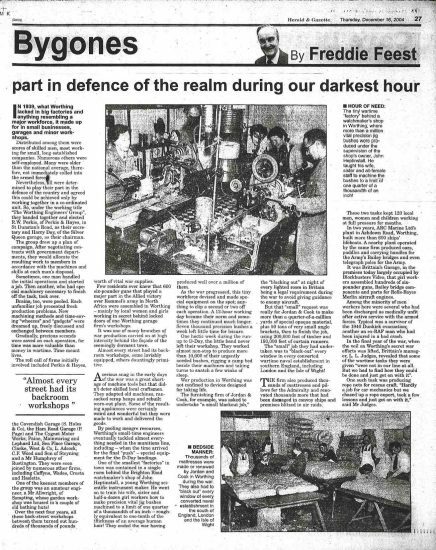 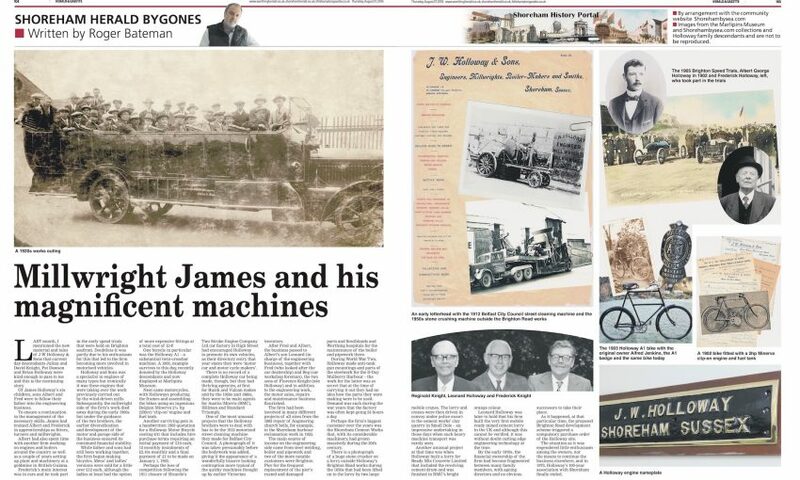 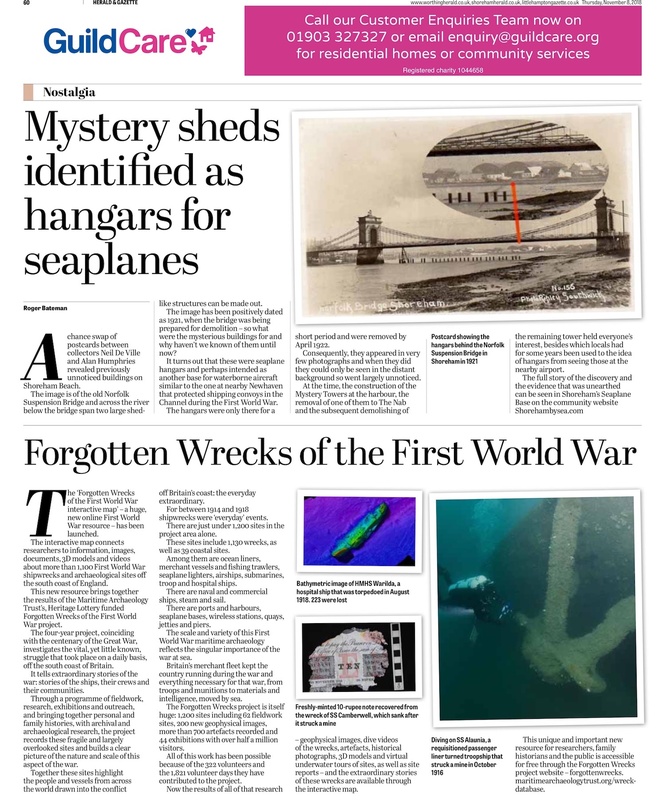 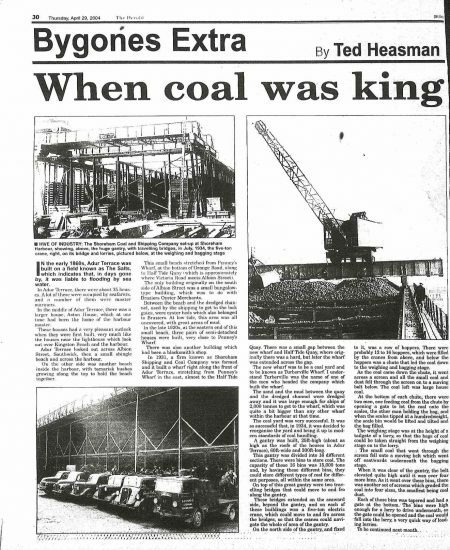 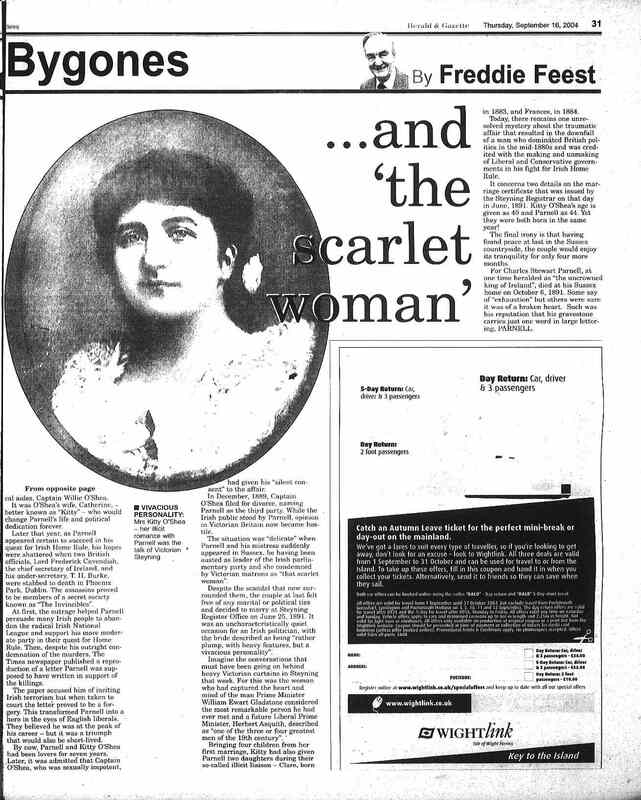 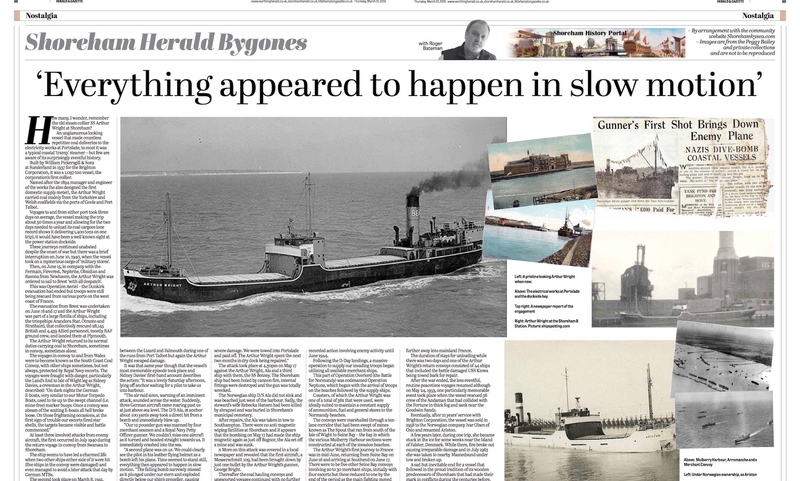 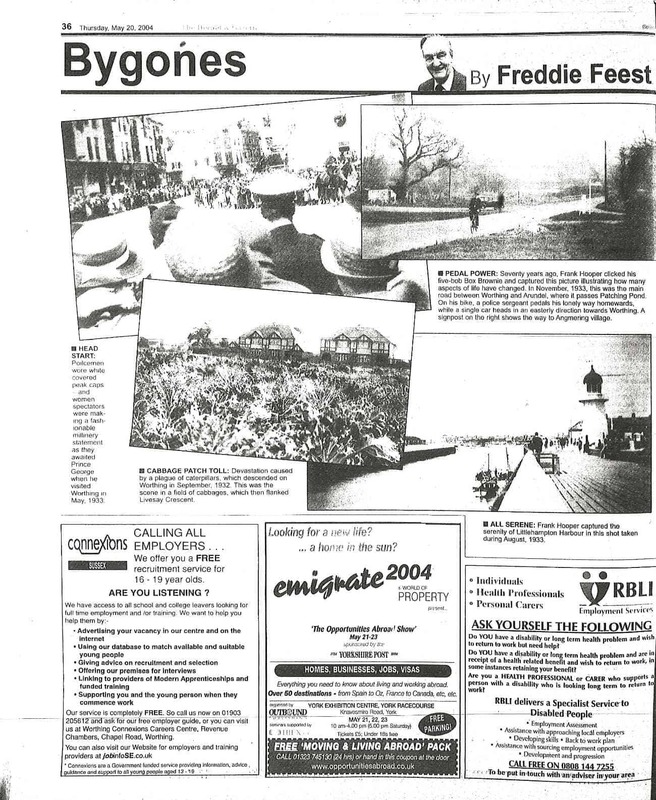 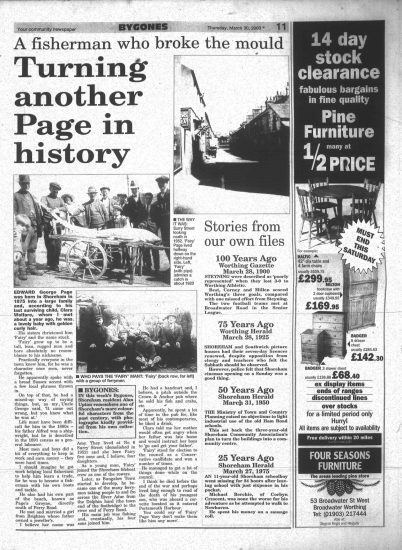 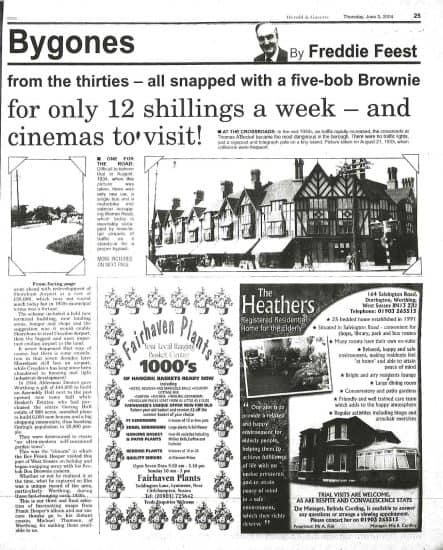 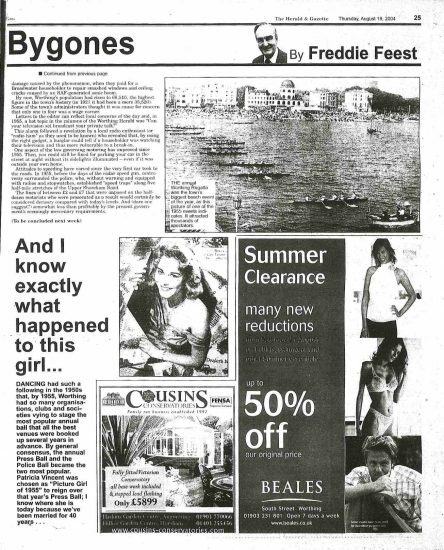 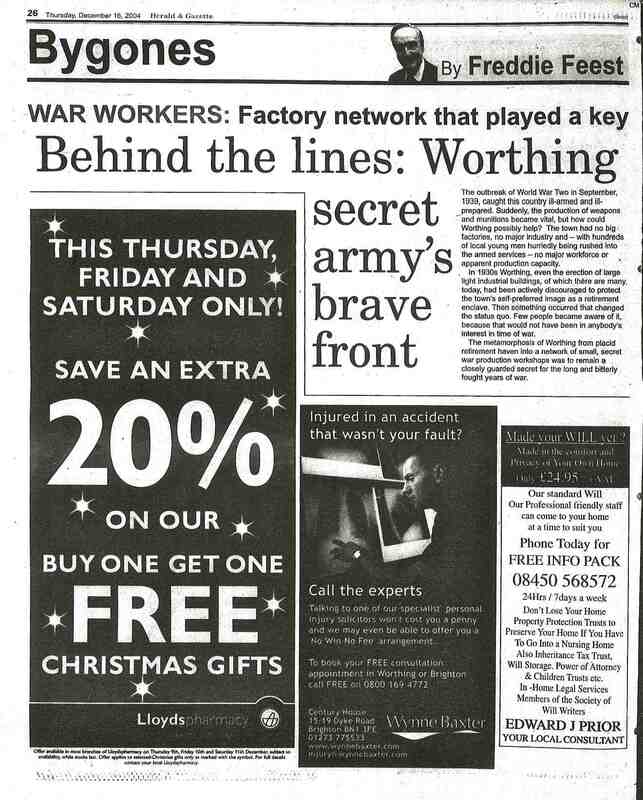 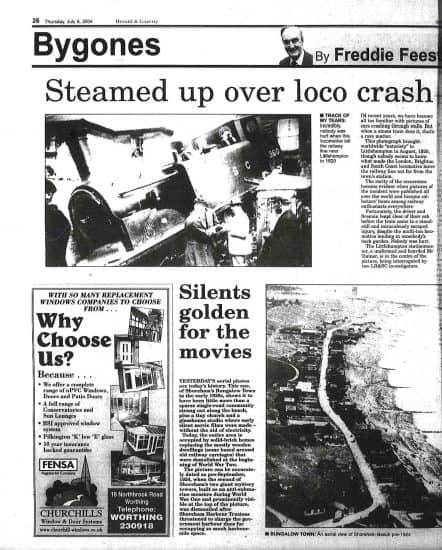 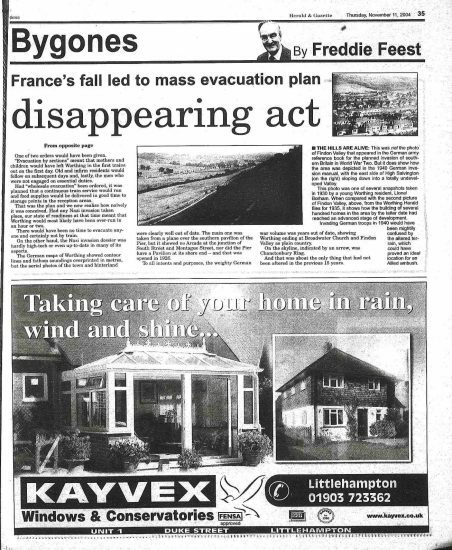 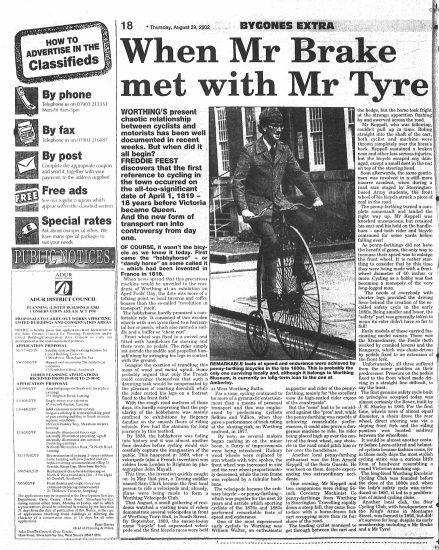 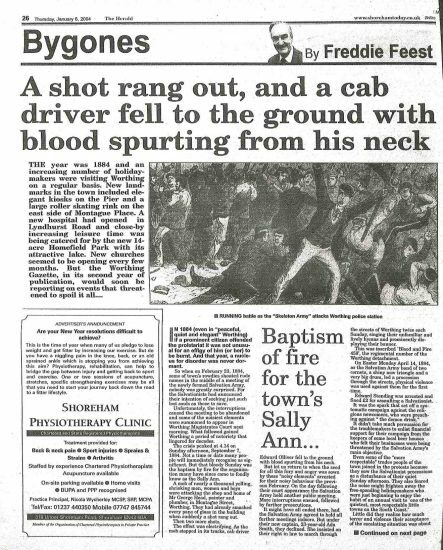 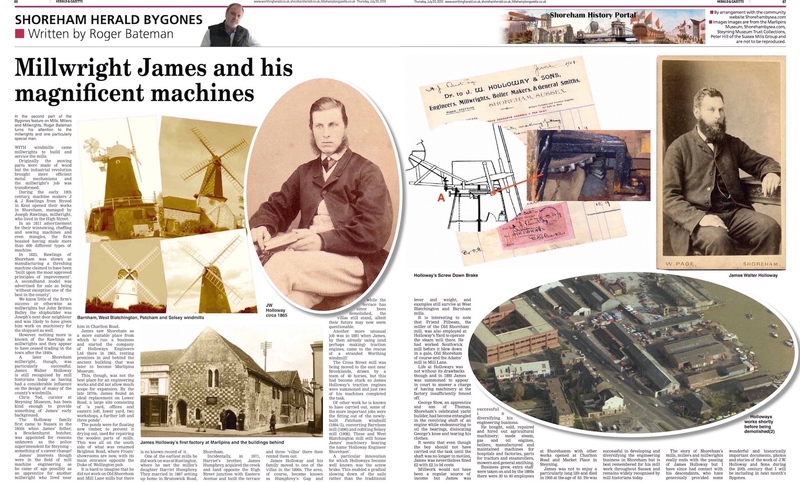 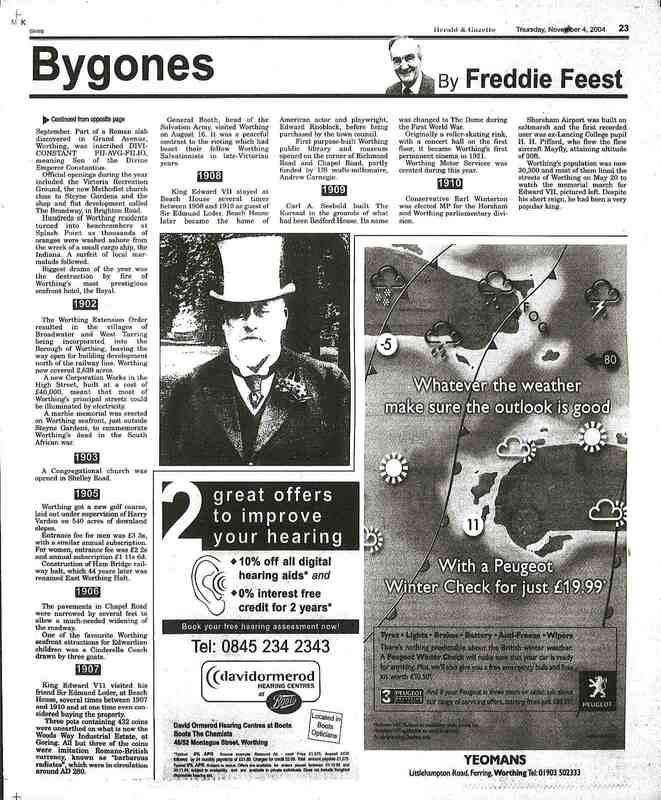 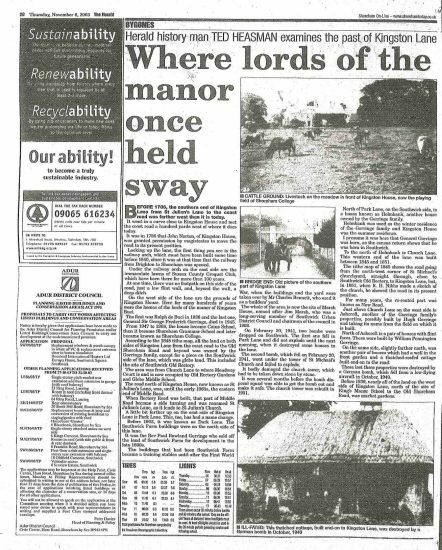 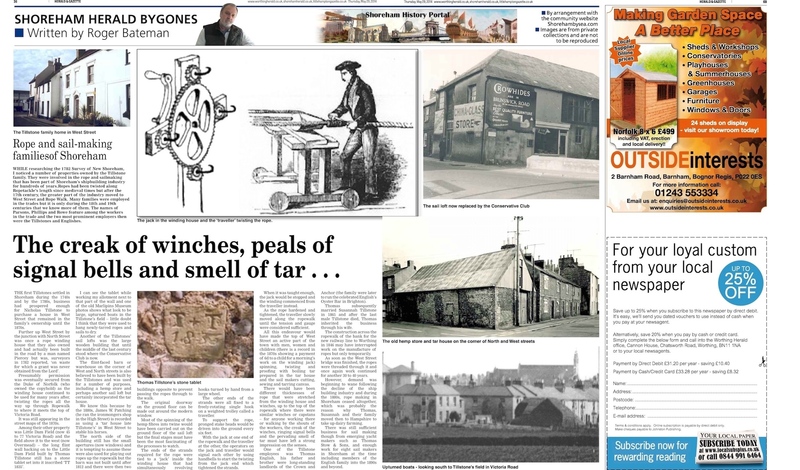 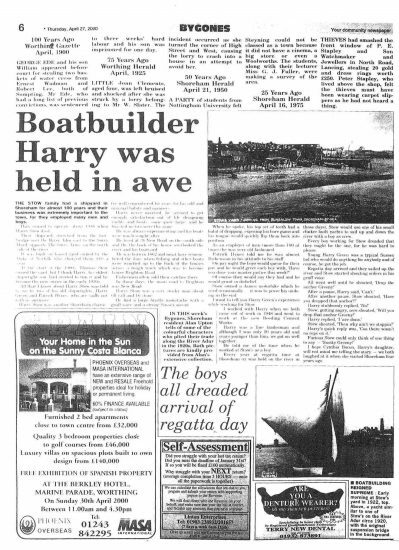 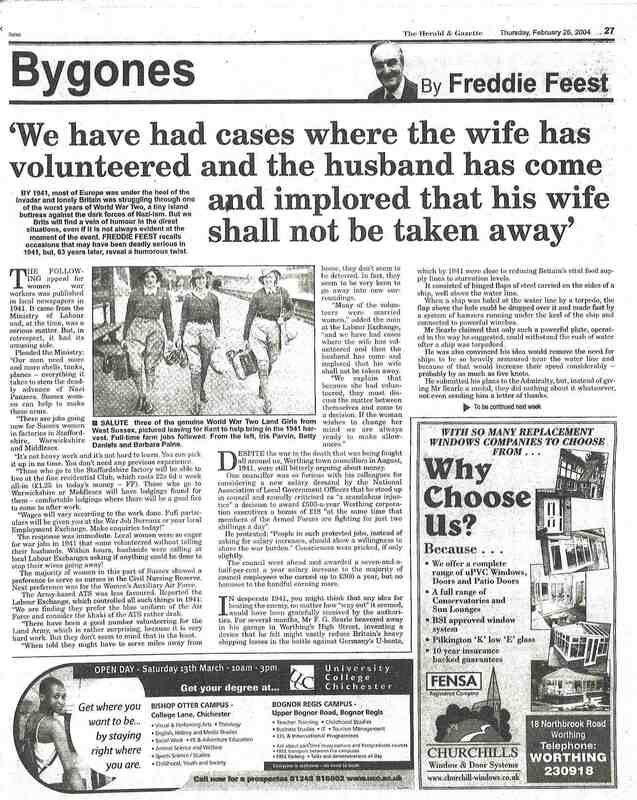 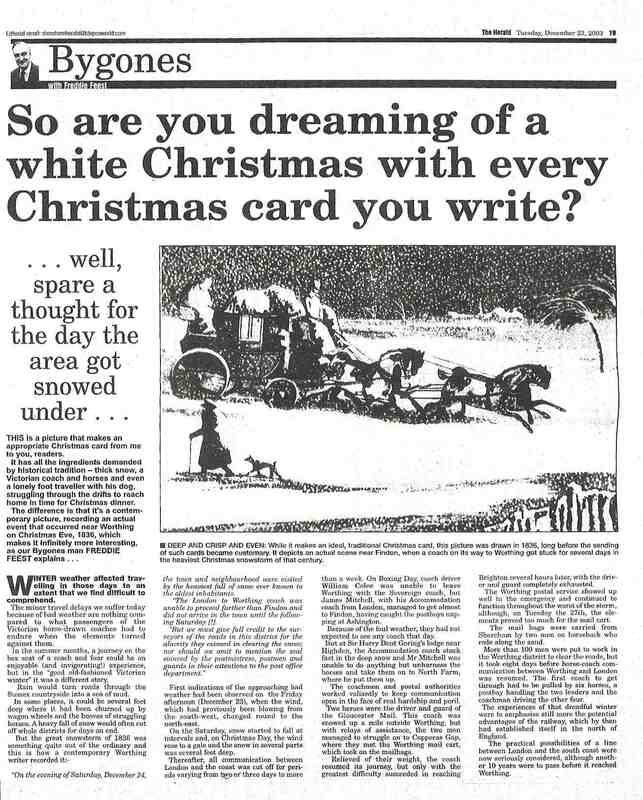 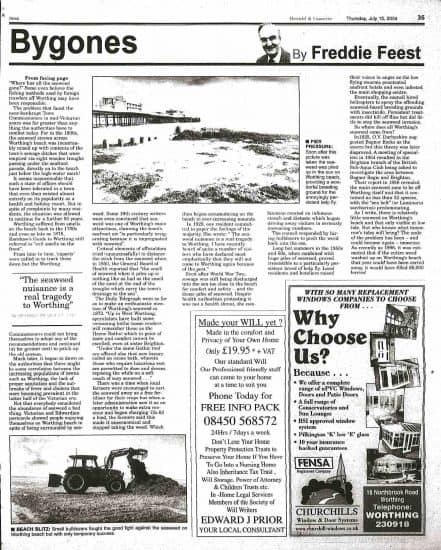 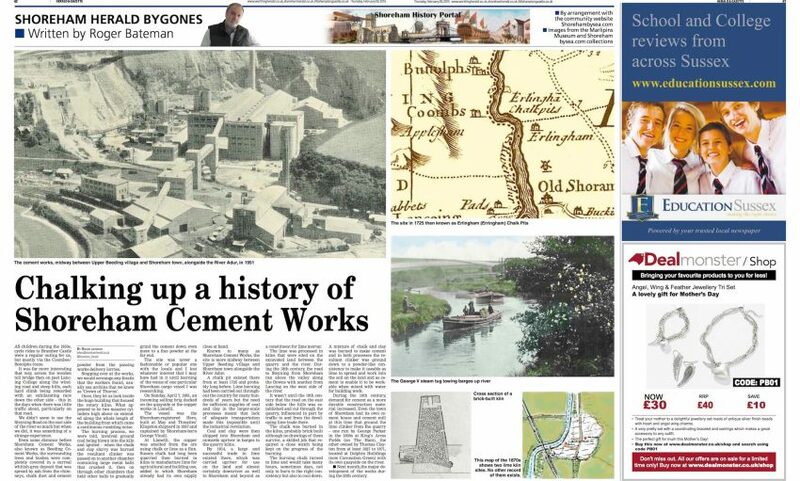 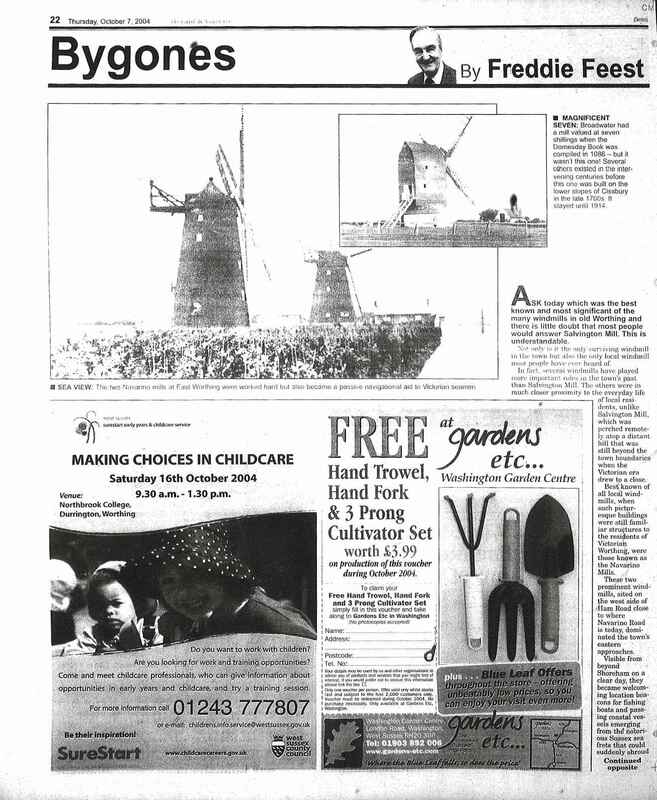 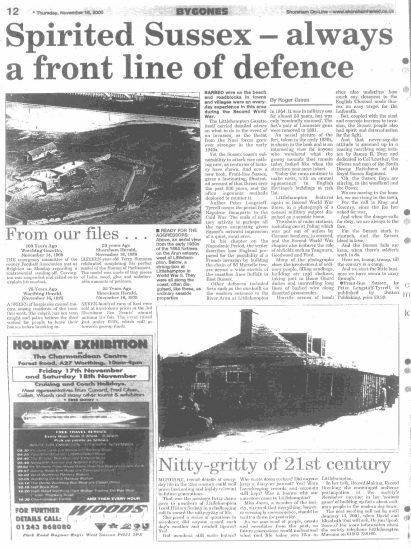 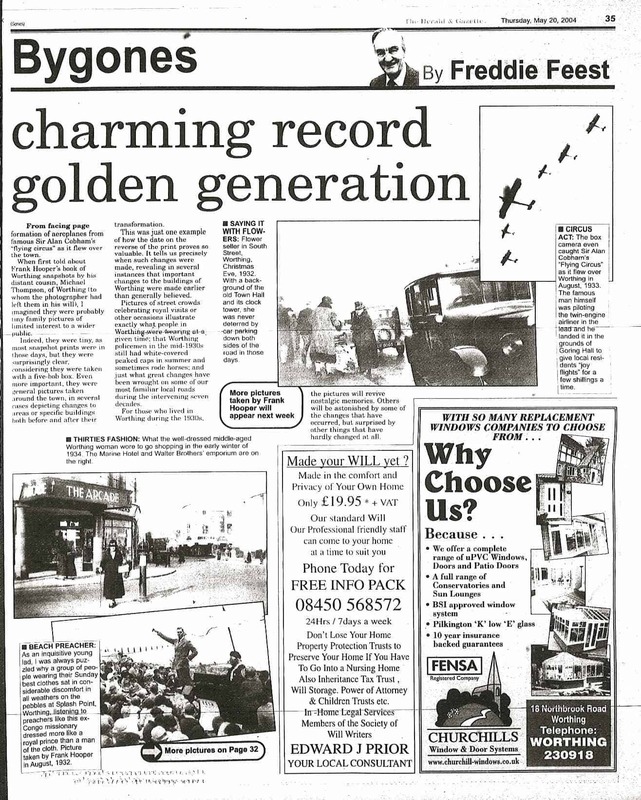 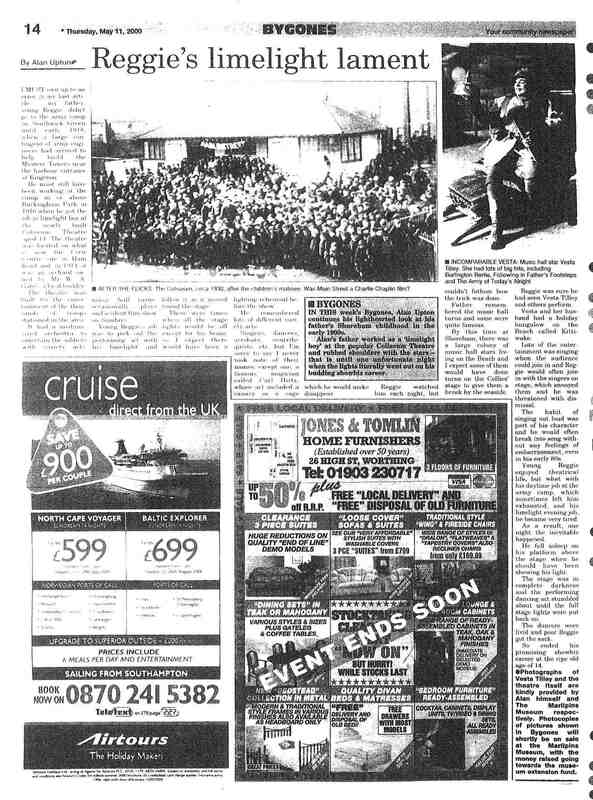 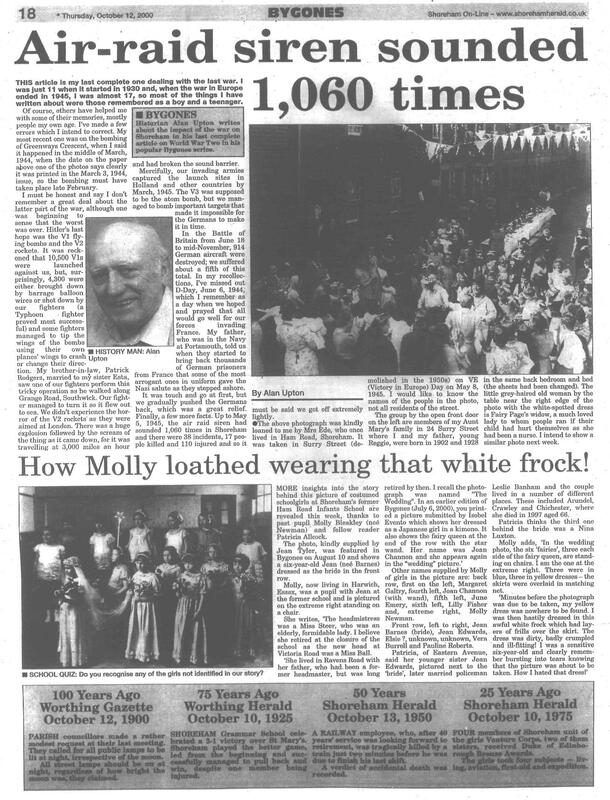 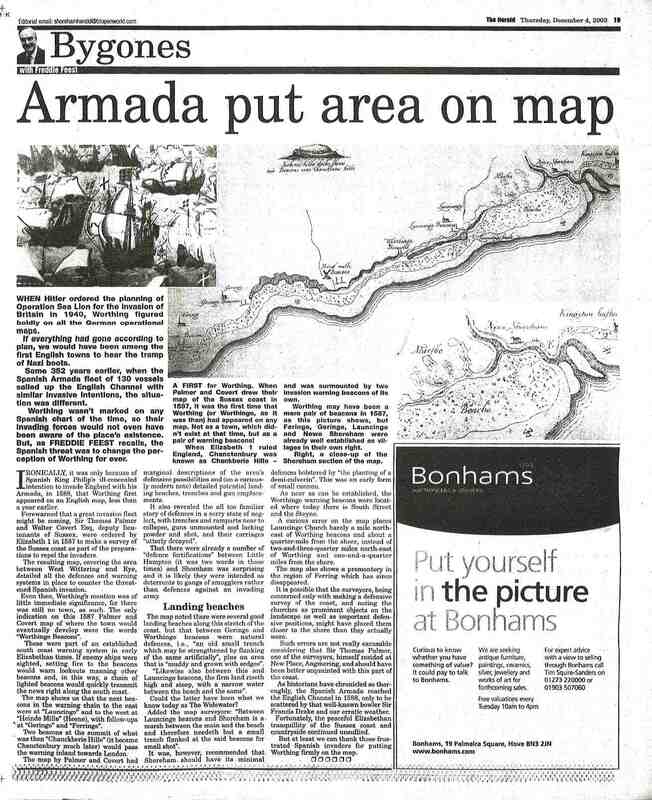 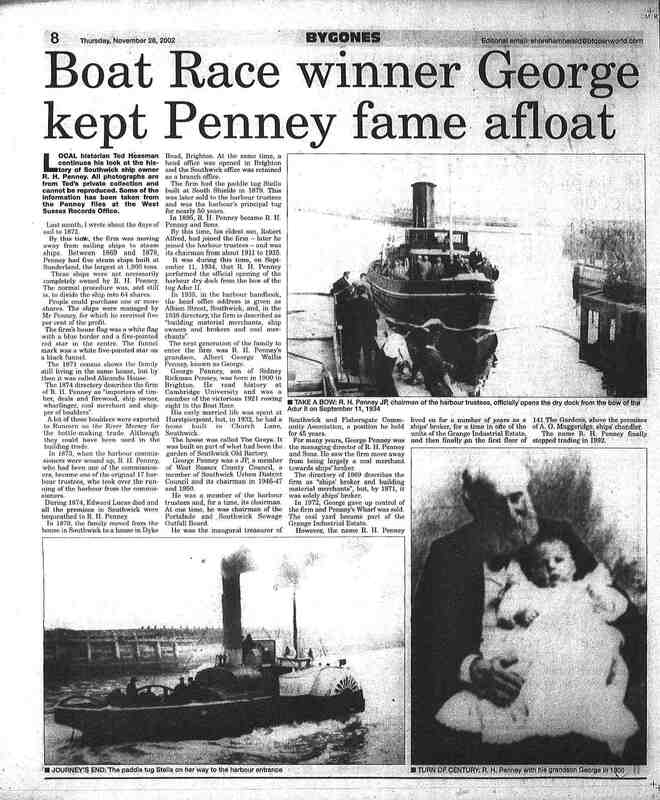 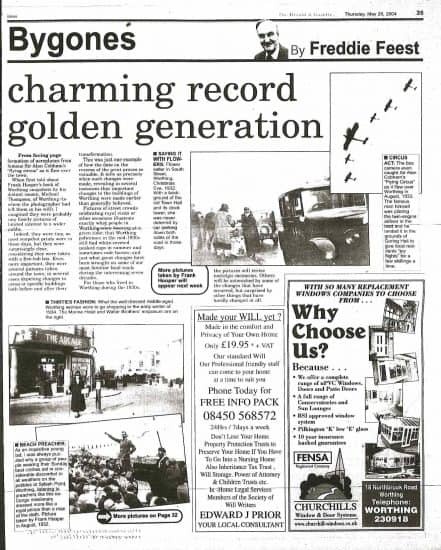 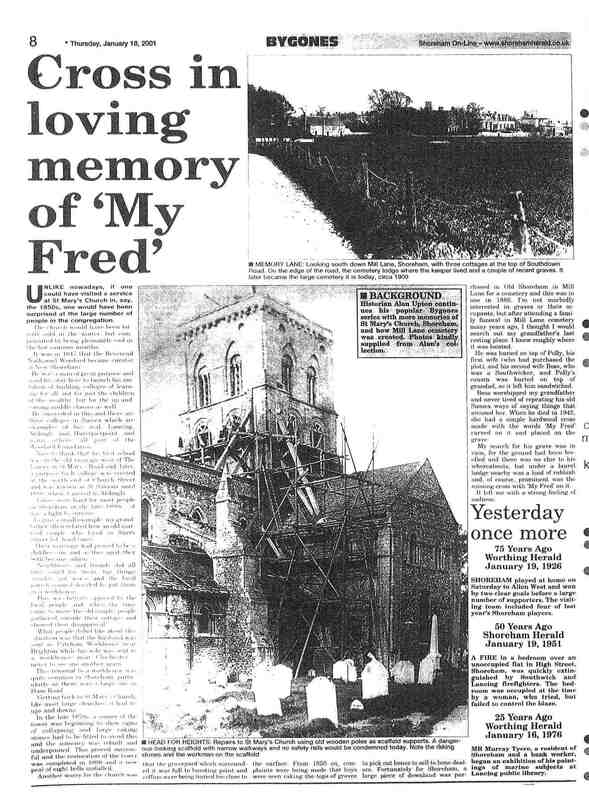 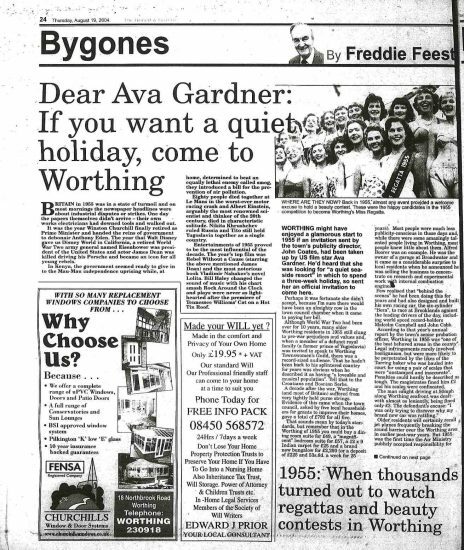 Following the Herald’s kind permission Martin Hayes, Local History Librarian for West Sussex Library Services, Tim Stanton at Crawley Library and their colleagues at Shoreham Library have made available their microfiche records for digitising. 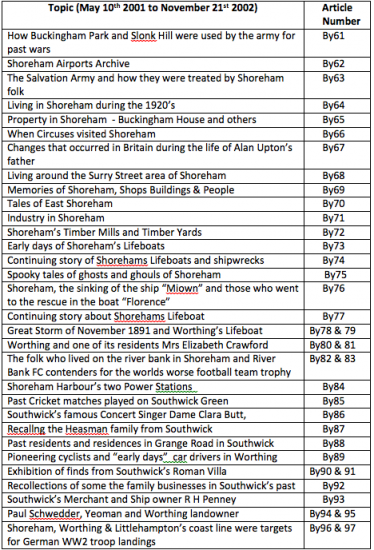 Shorehambysea.com’s team of Roger Bateman, Derek Brazier, Paul Osborne and Mike Suter spent many hours to create an index then copy and edit the article images. 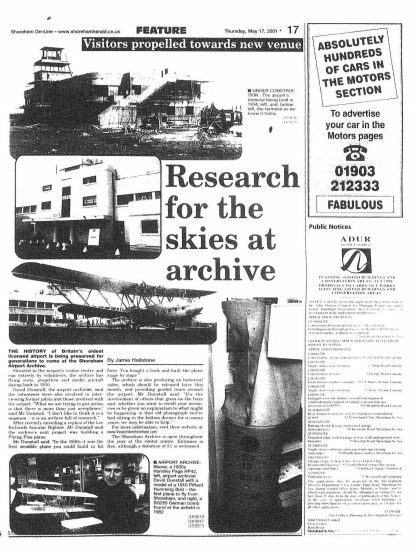 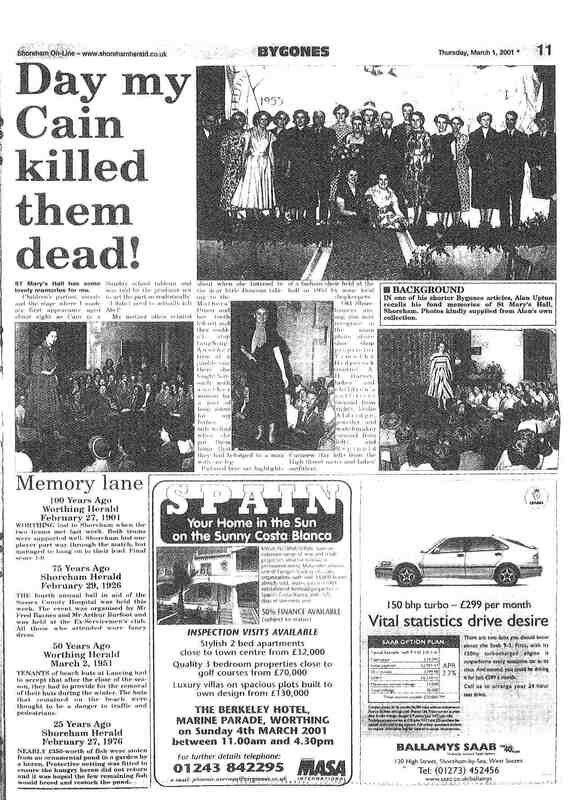 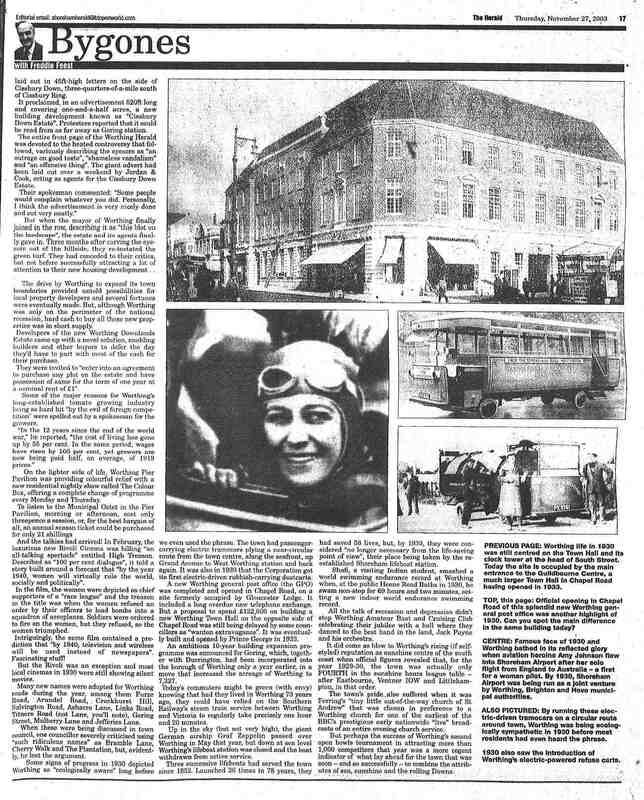 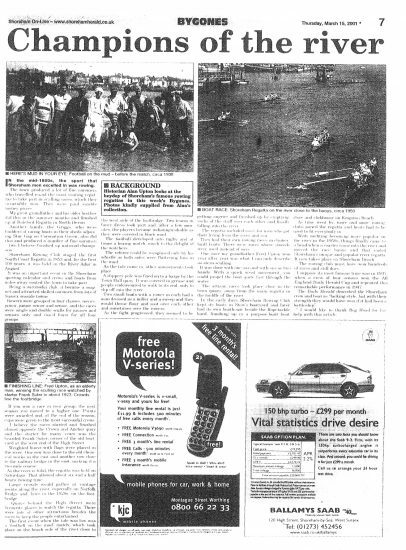 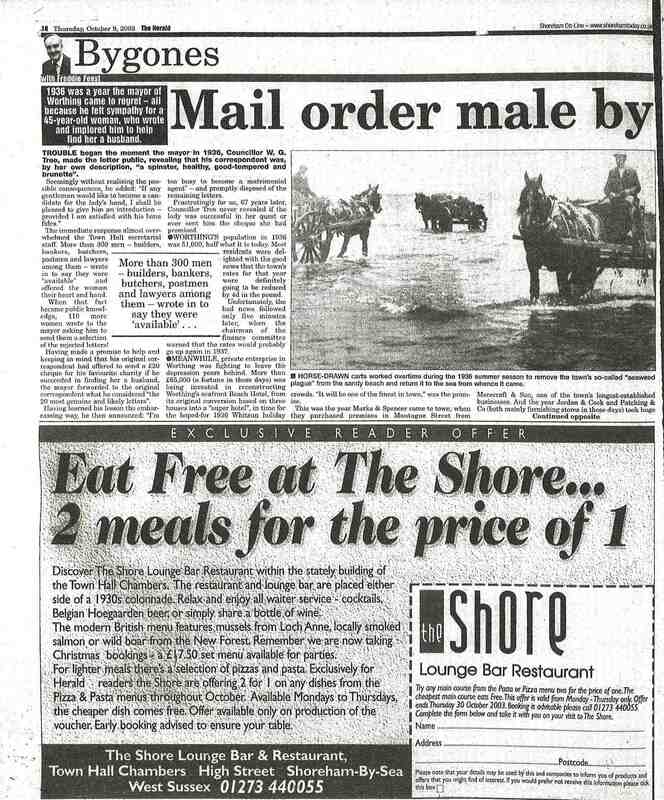 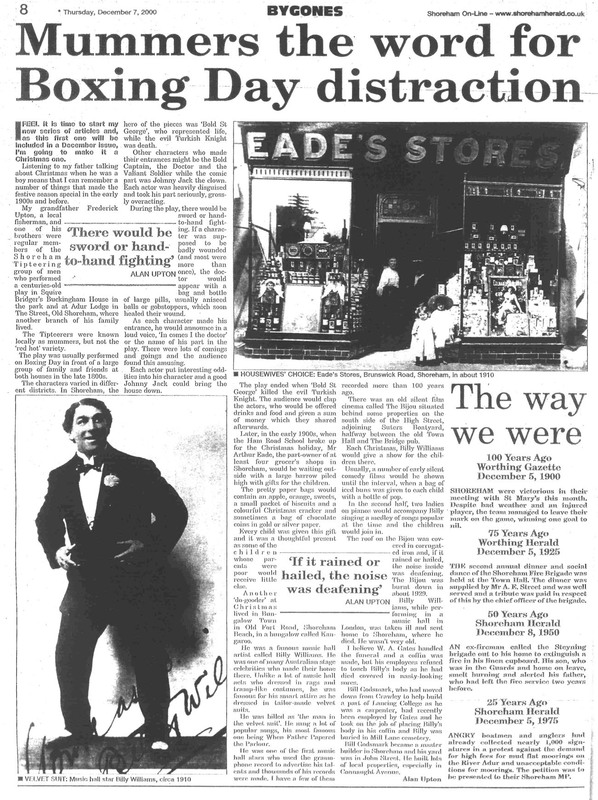 Please bear in mind that the reproduced articles here have been copied from microfiche and the newsprint and photos can only be as clear as the original. 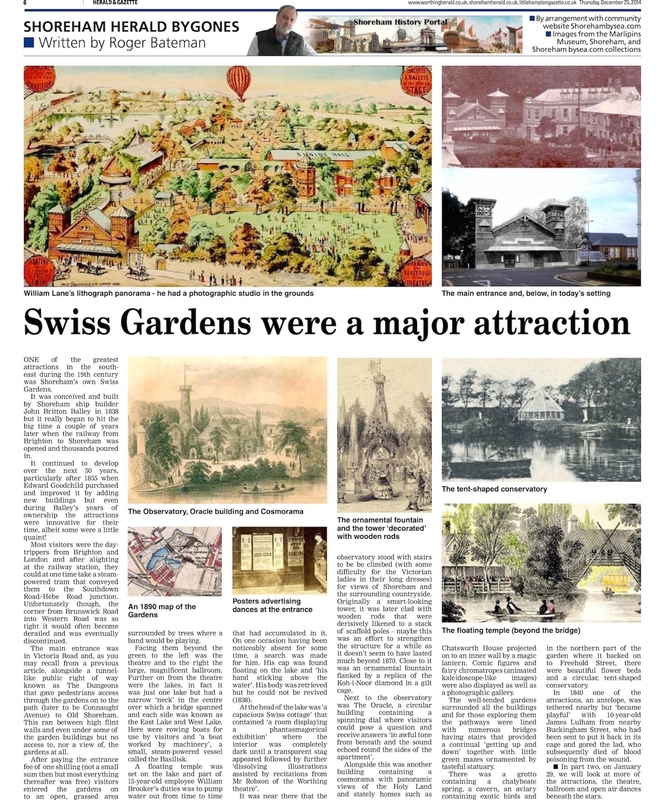 You can see each image in more detail simply by clicking on it. A plus sign will then appear on your cursor – click again to enlarge the image. To return to viewing all the images in normal size just click the return arrow at the top left of the screen on your computer. 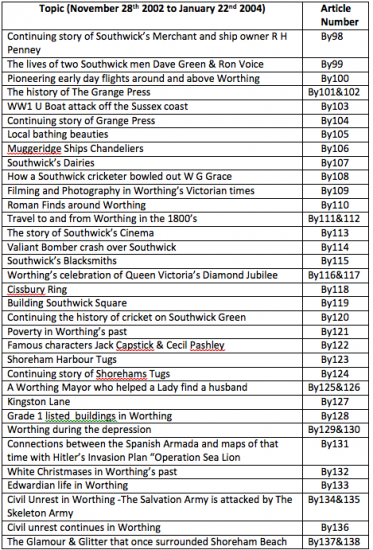 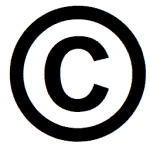 The following (non-interactive) index provides an identification of the subject matter for each of the numbered articles.